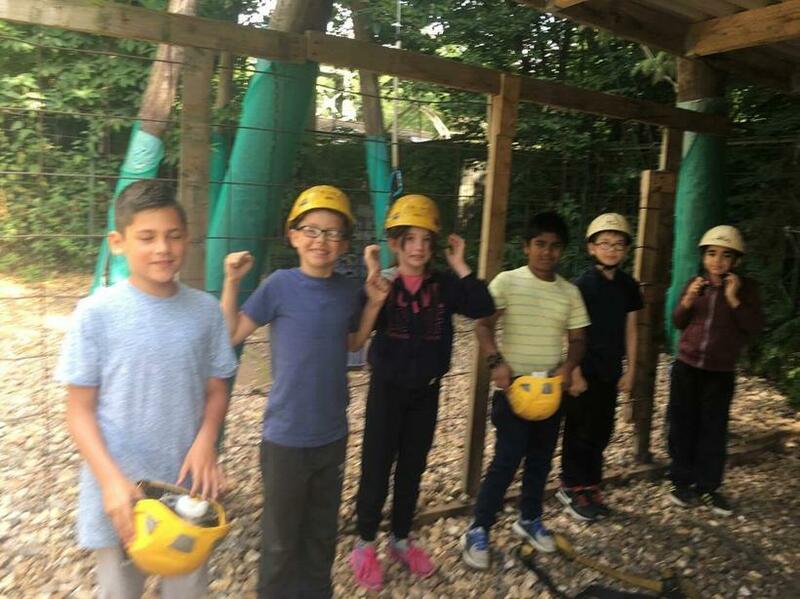 We are all up and ready to go after a restful sleep! 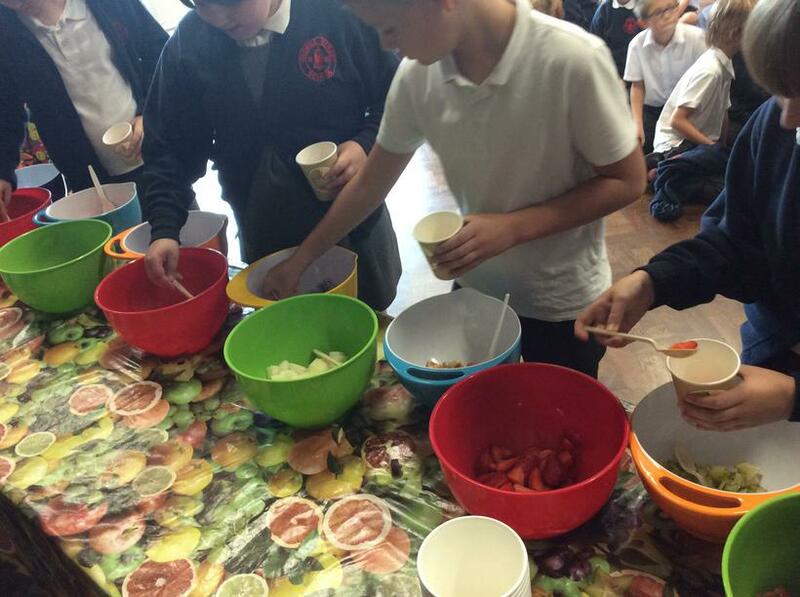 We had cereal, sausage and hash brown bap, yoghurt and juice for breakfast. 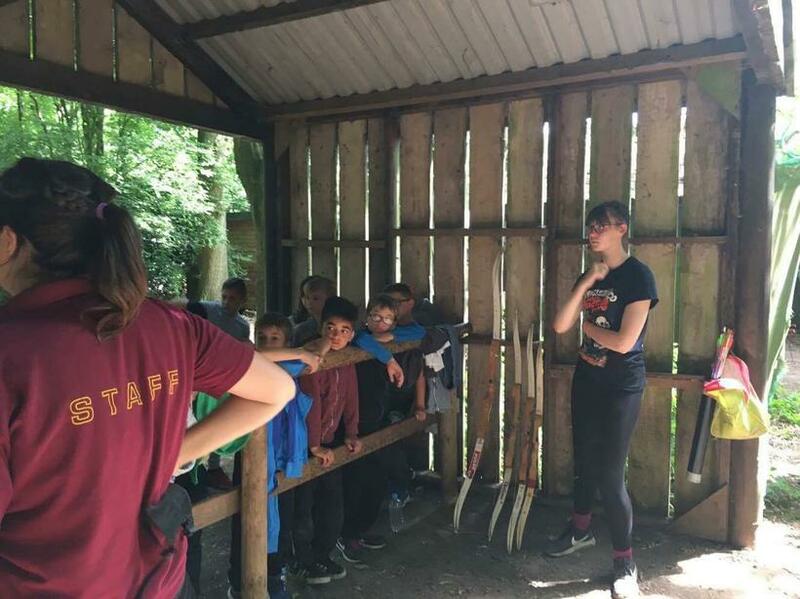 We are all very organised; we're packed up and waiting for our first activities of the day to start. 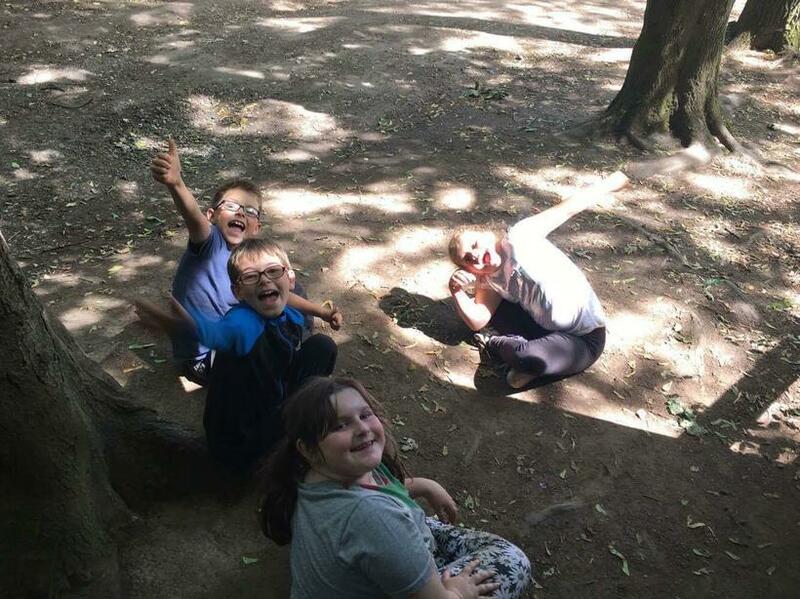 We are playing hide and seek in the lodge before we head off! 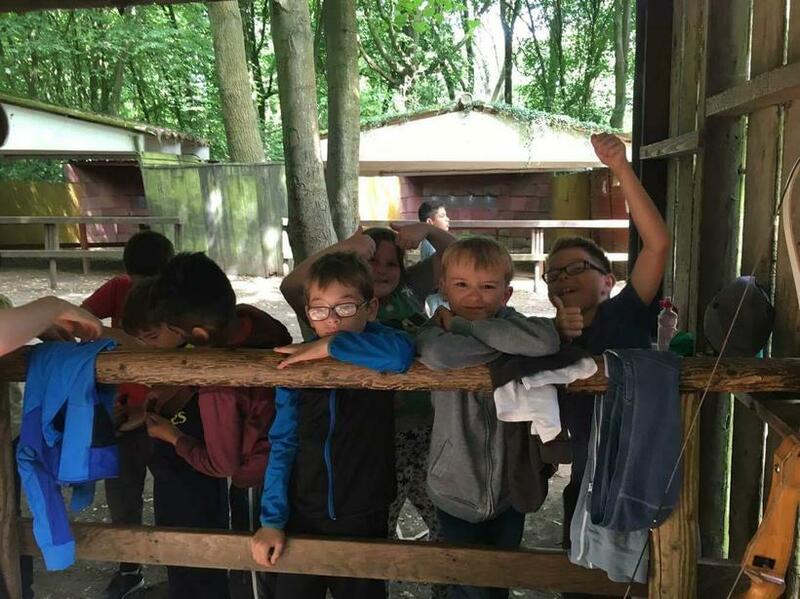 We have arrived safe and sound (with no travel sickness) after a short journey. 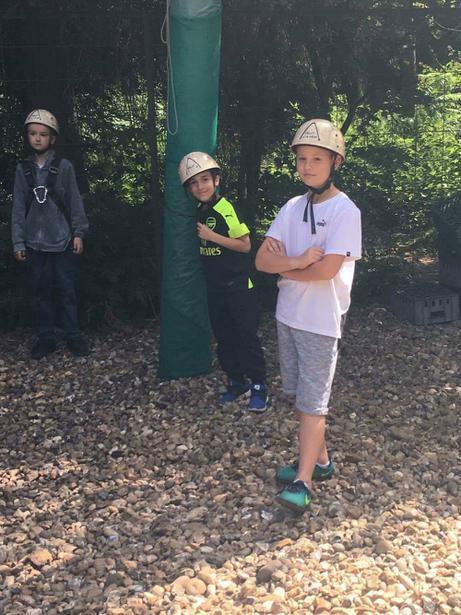 Our lodge is a nice new one and we are all pleased with our rooms. 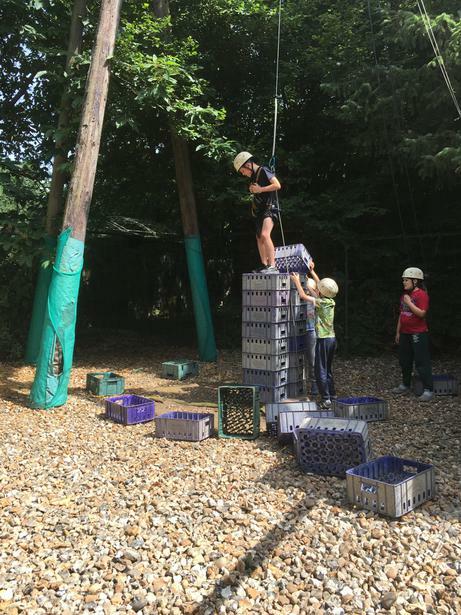 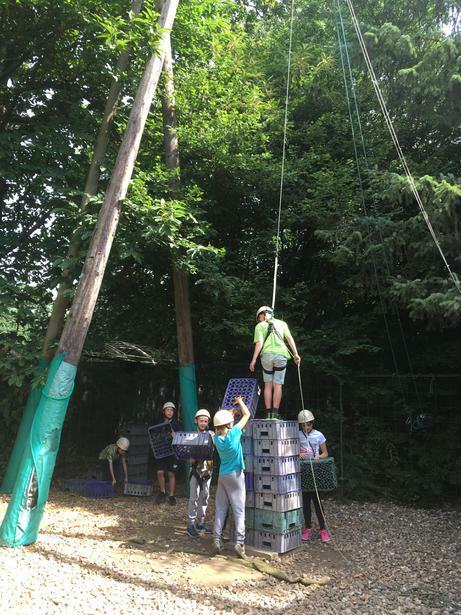 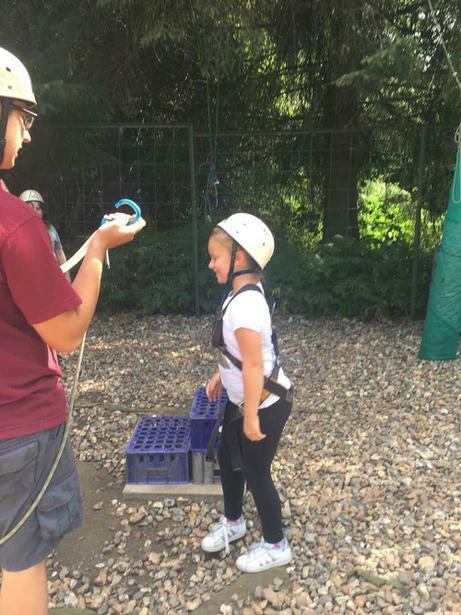 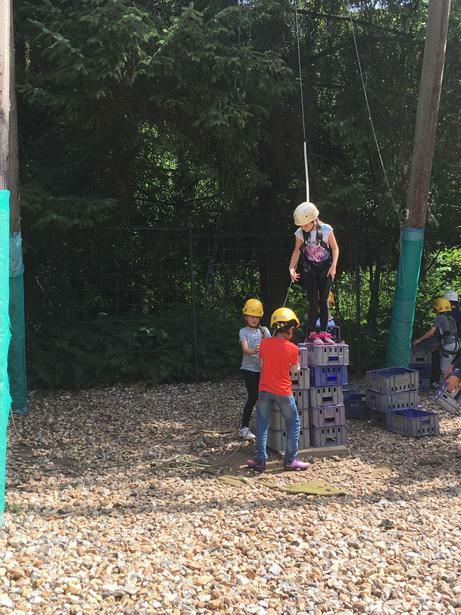 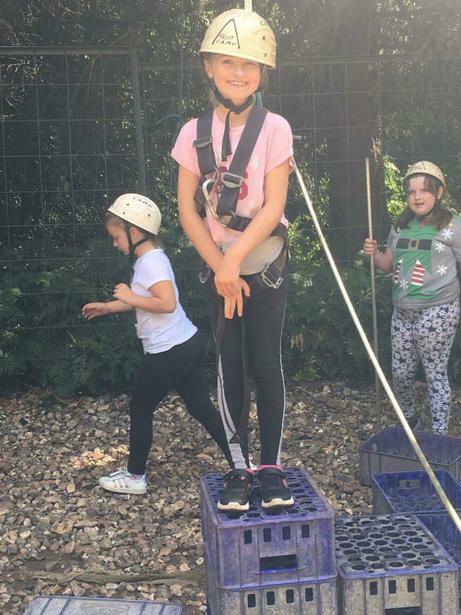 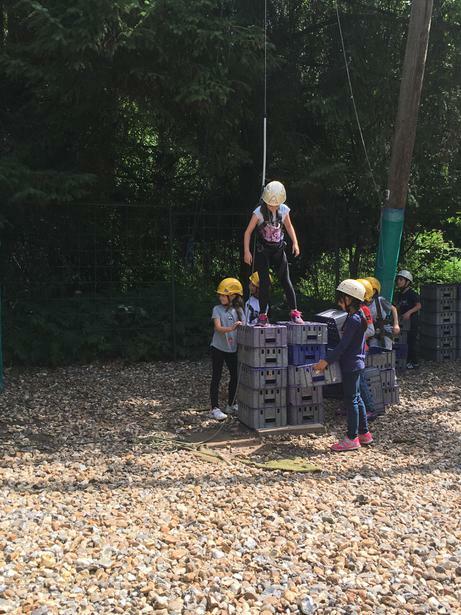 We're having fun staking crates and climbing. 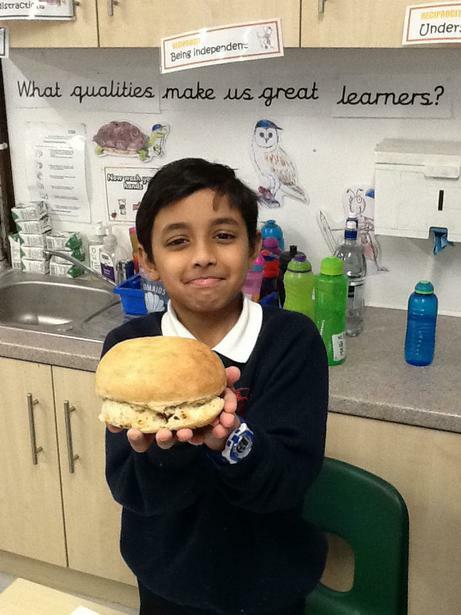 The sun is shining and lunch was great! 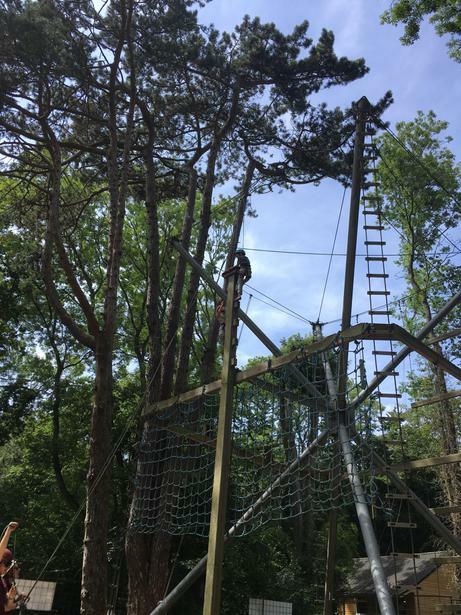 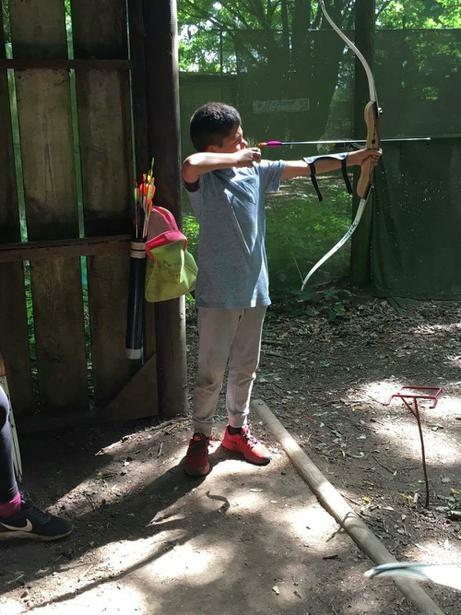 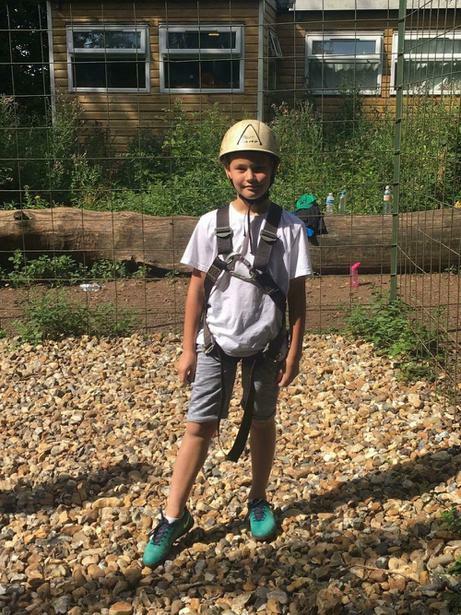 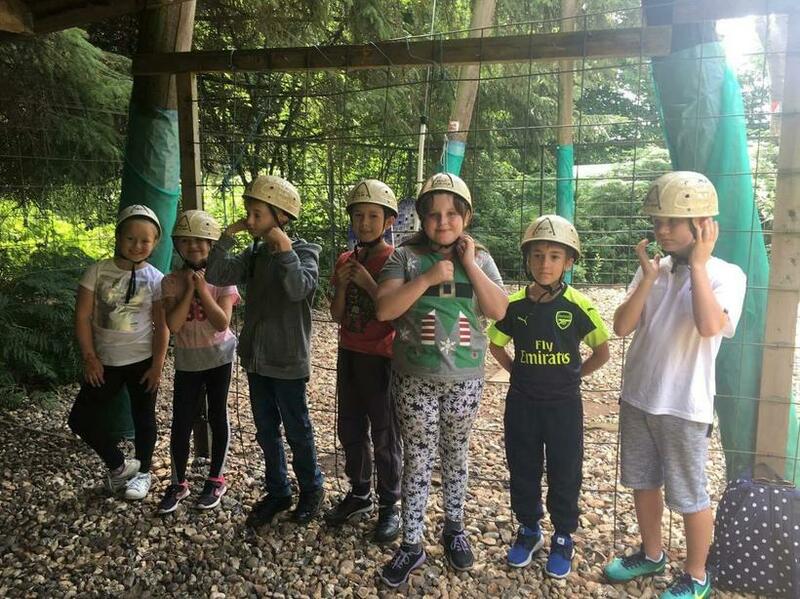 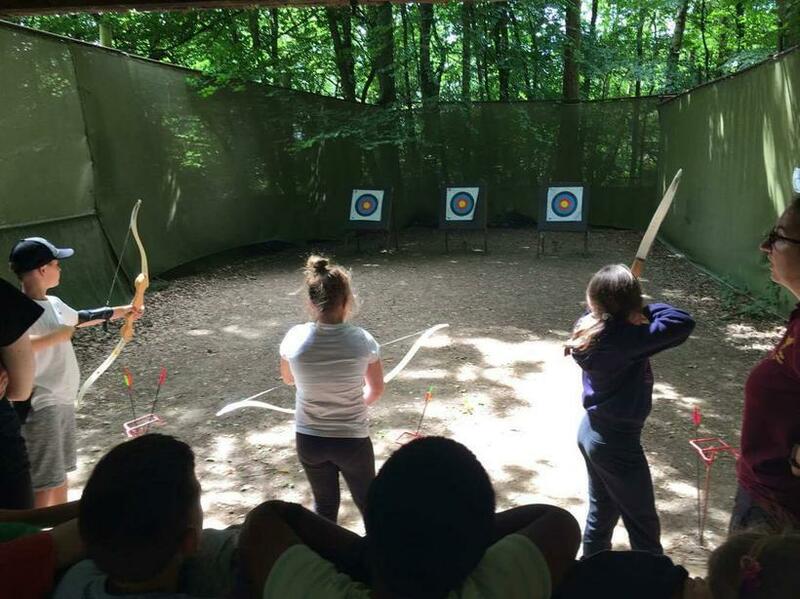 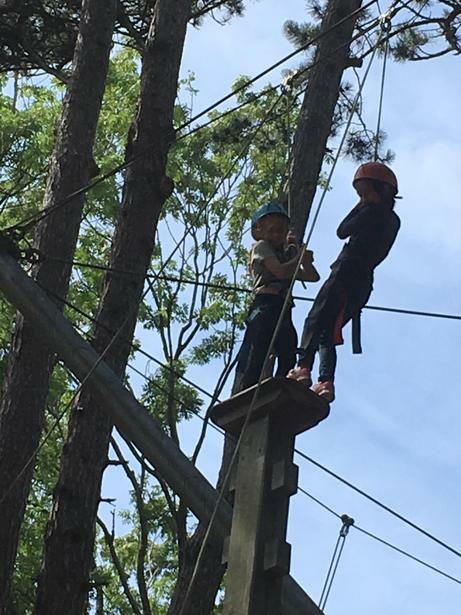 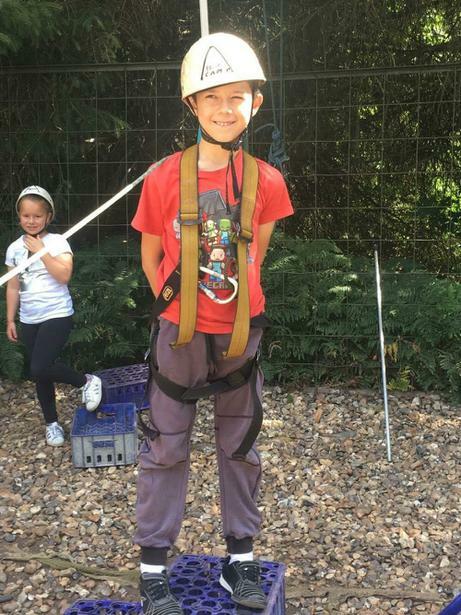 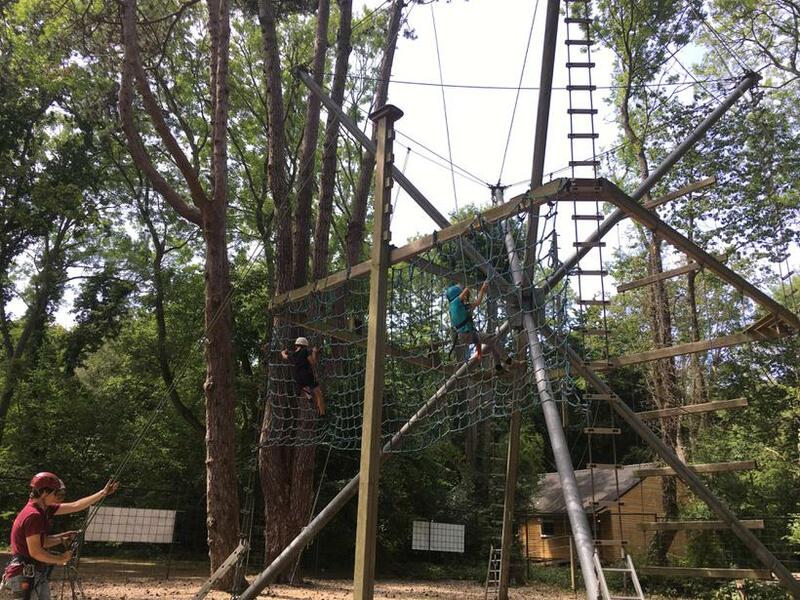 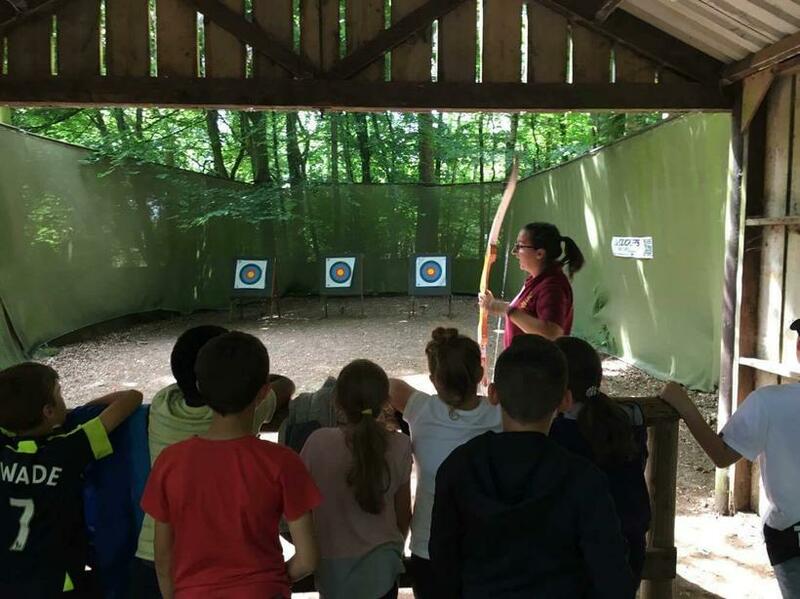 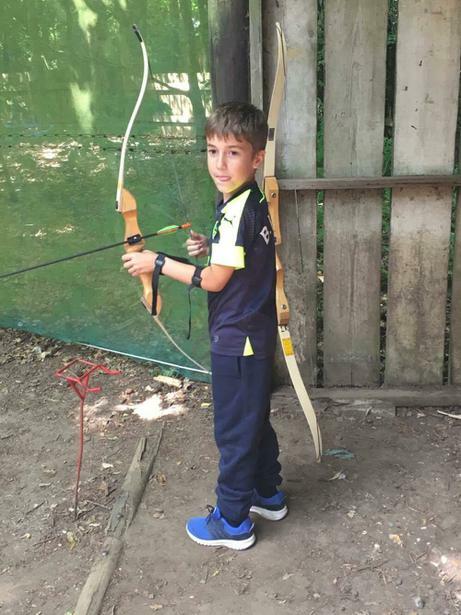 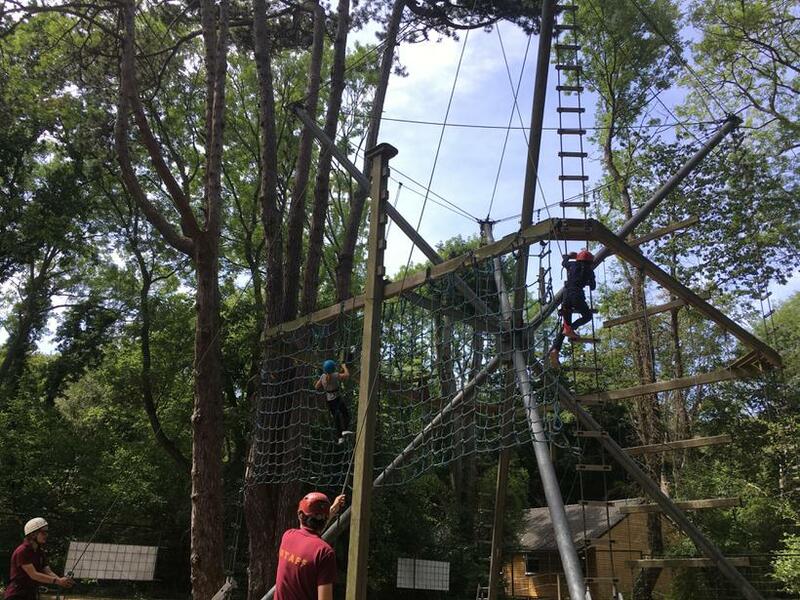 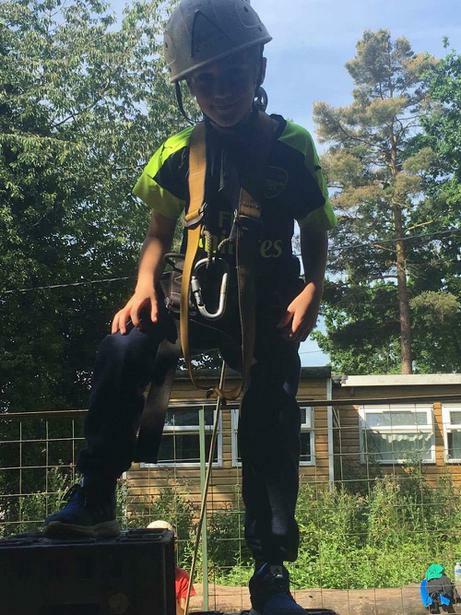 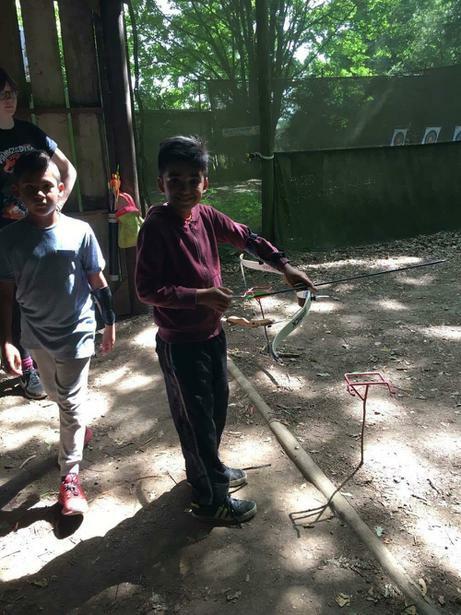 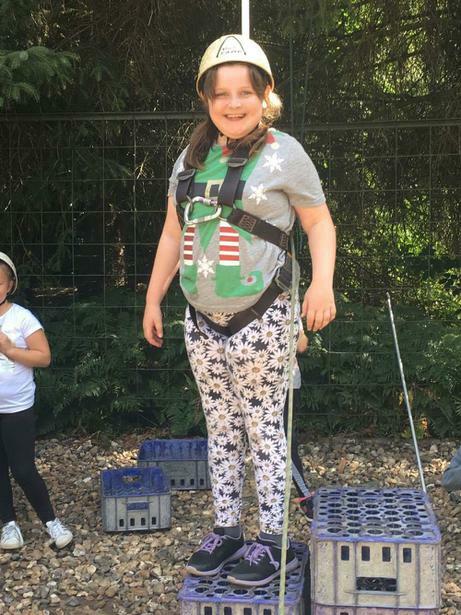 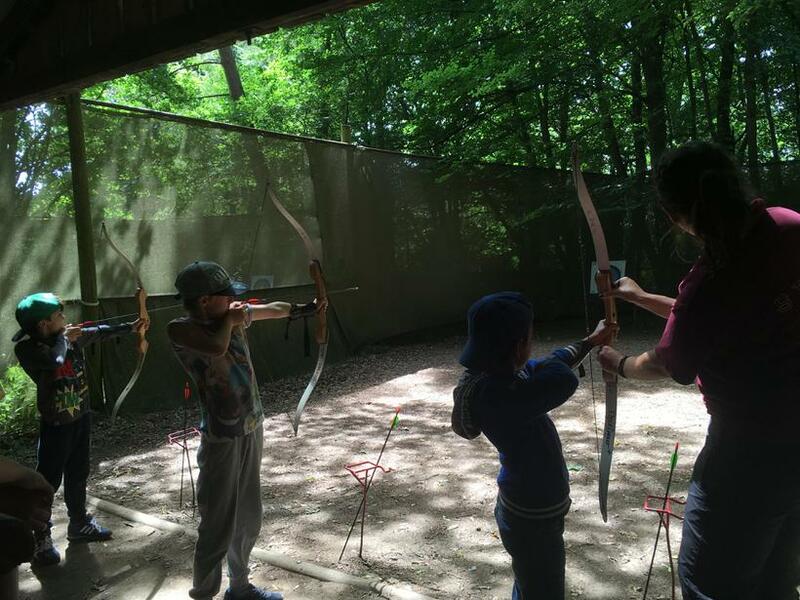 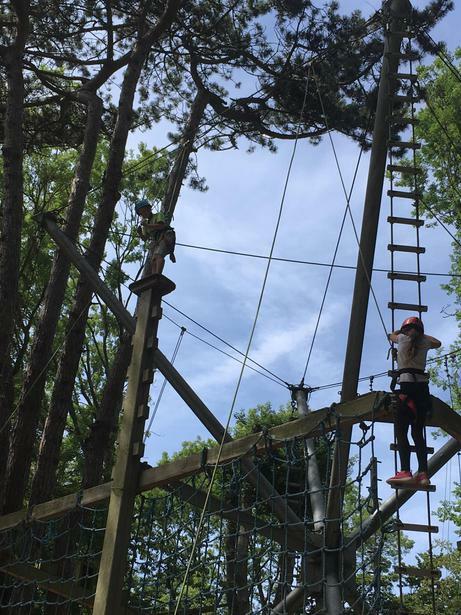 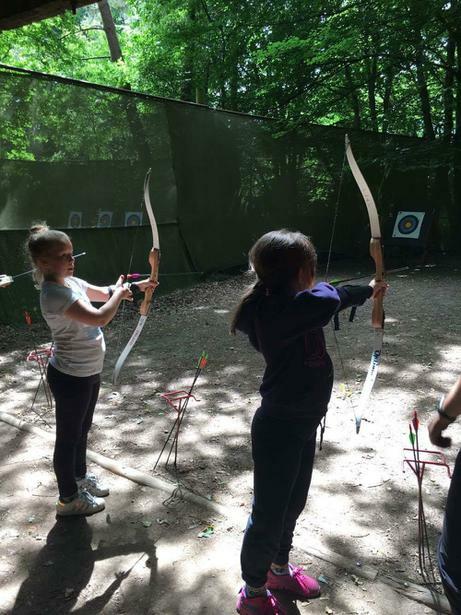 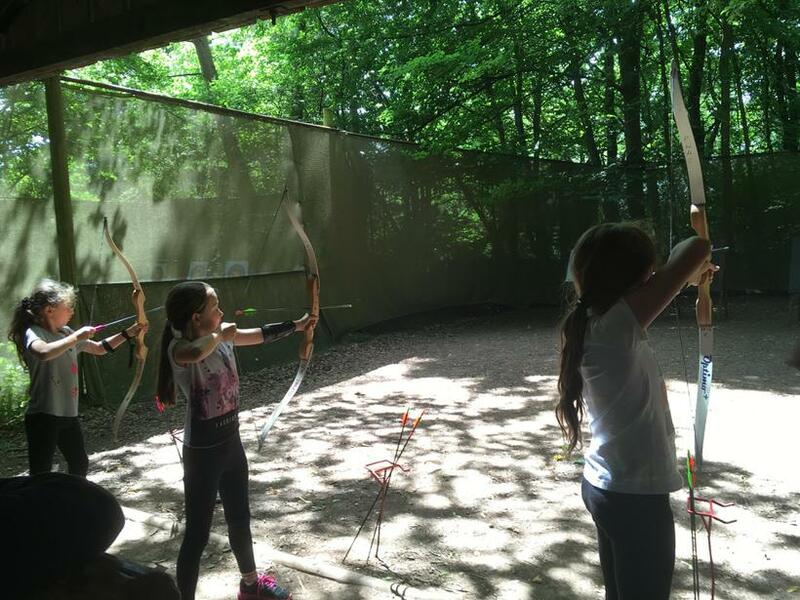 This afternoon we are doing archery and high ropes!! 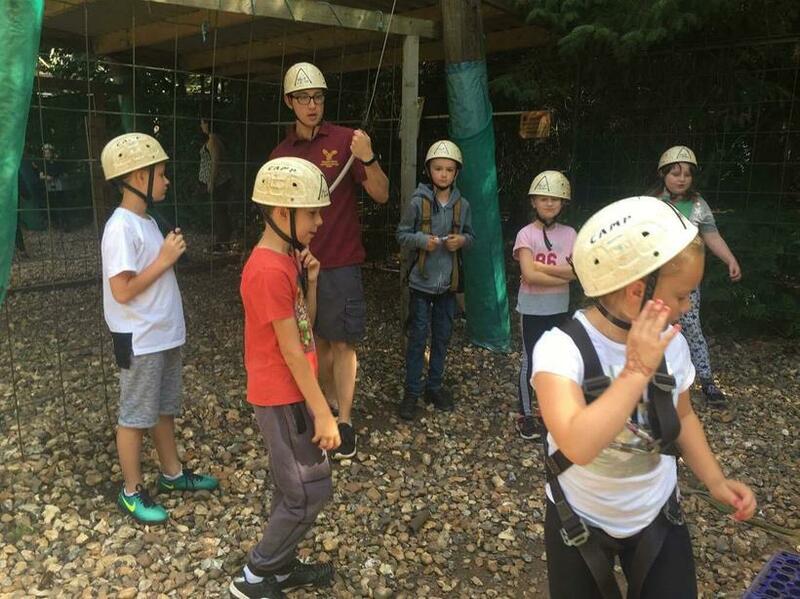 The signal is very patchy here but hopefully we'll be able to update you this evening after our chicken fajitas and evening activity!!! 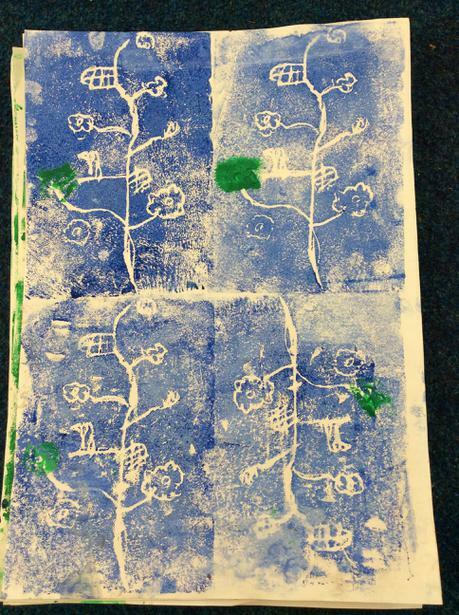 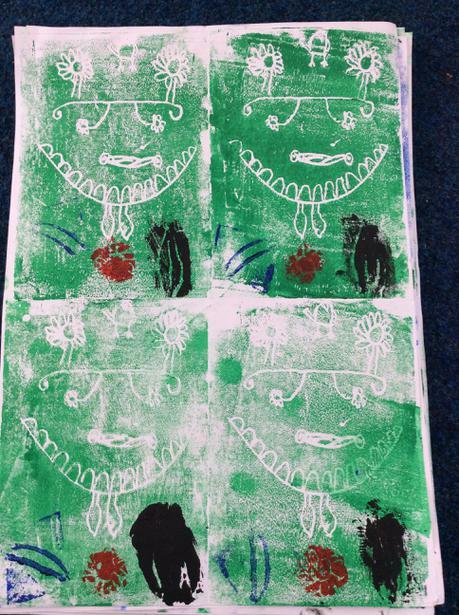 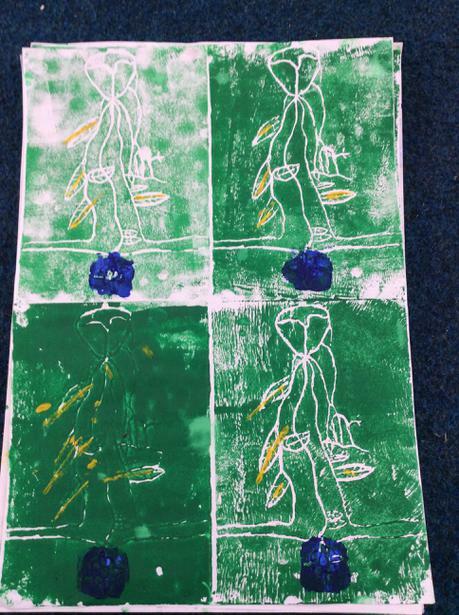 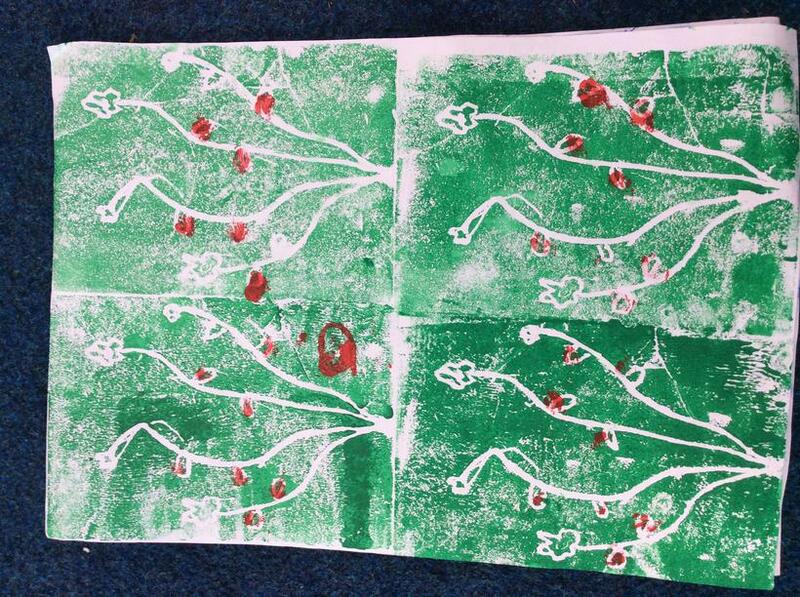 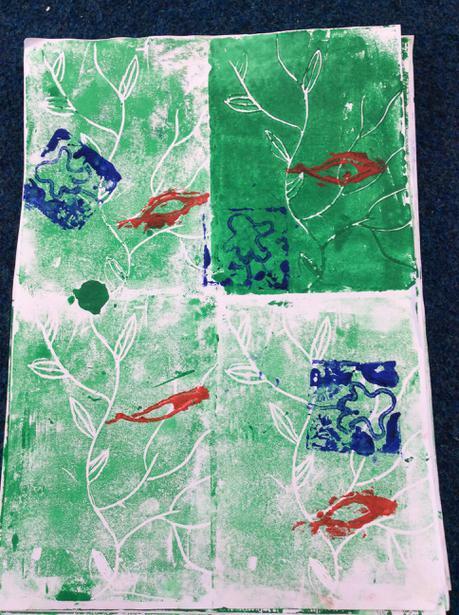 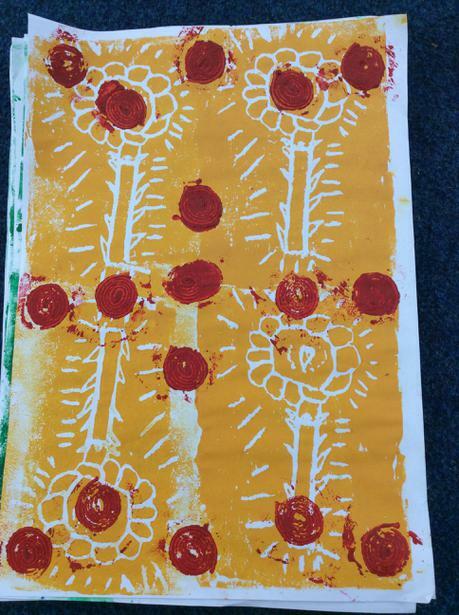 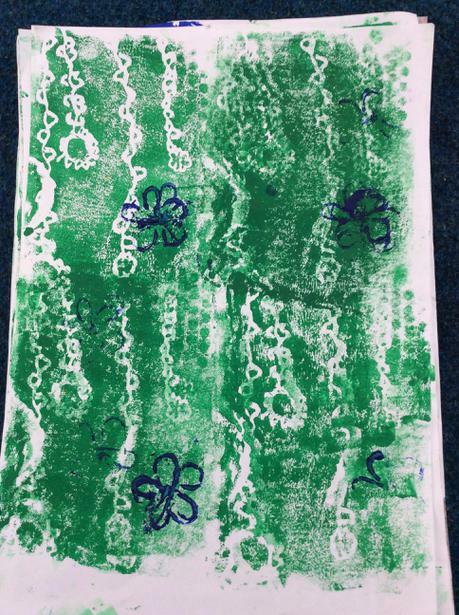 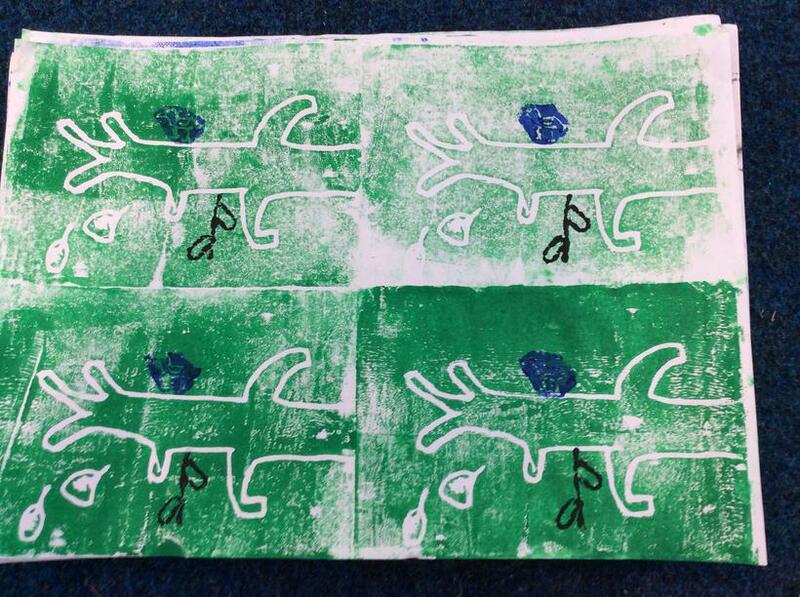 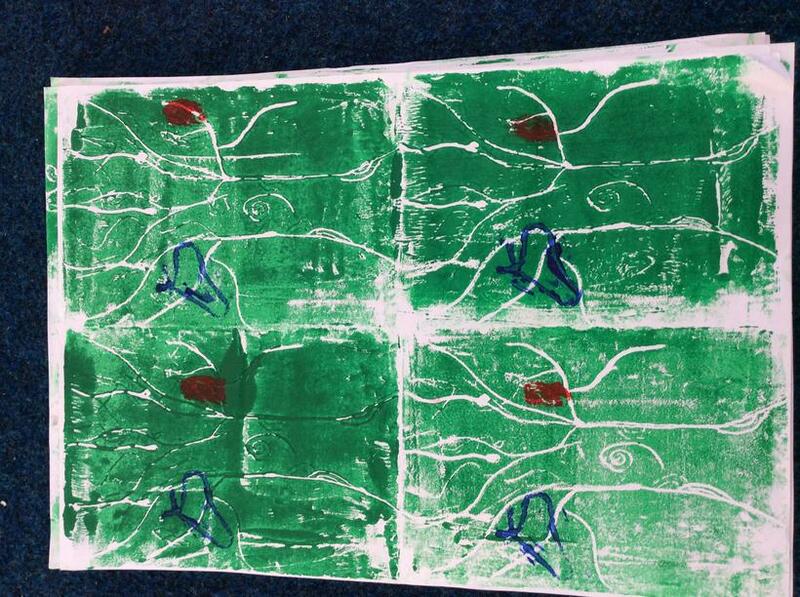 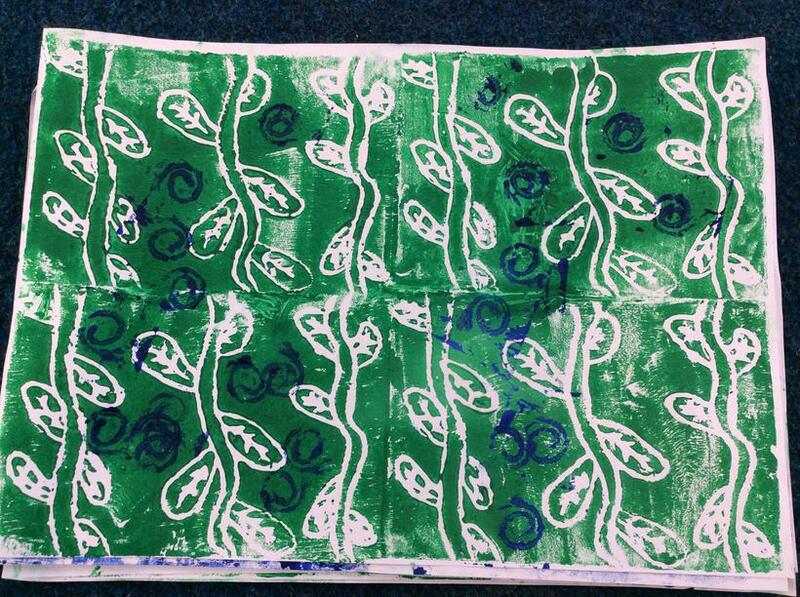 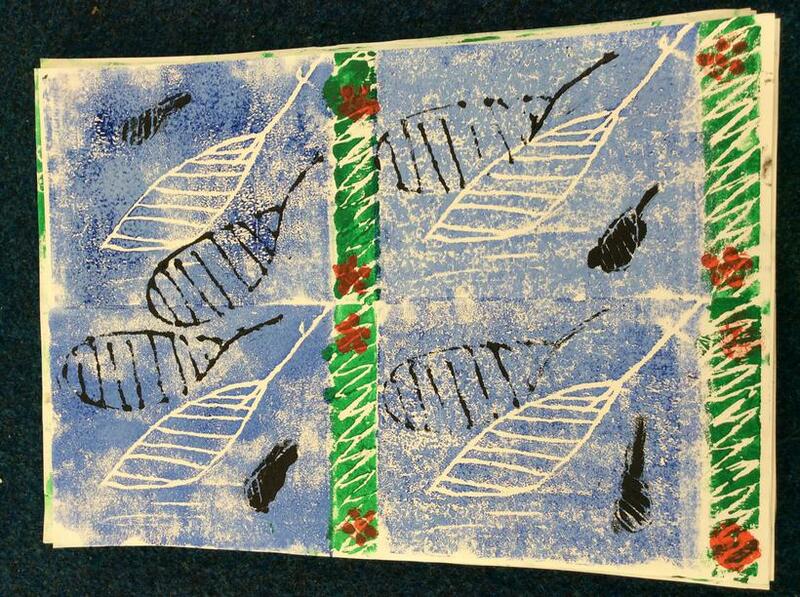 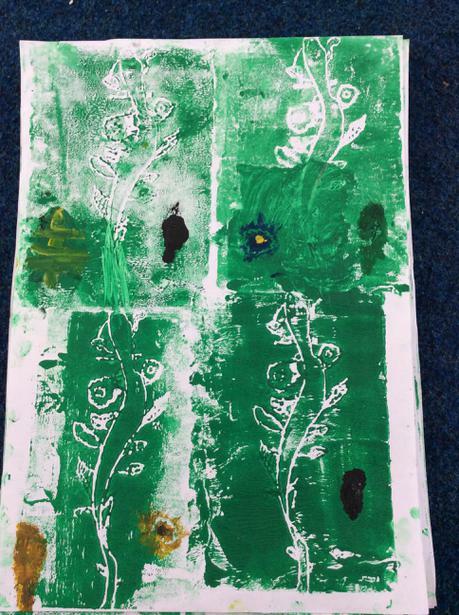 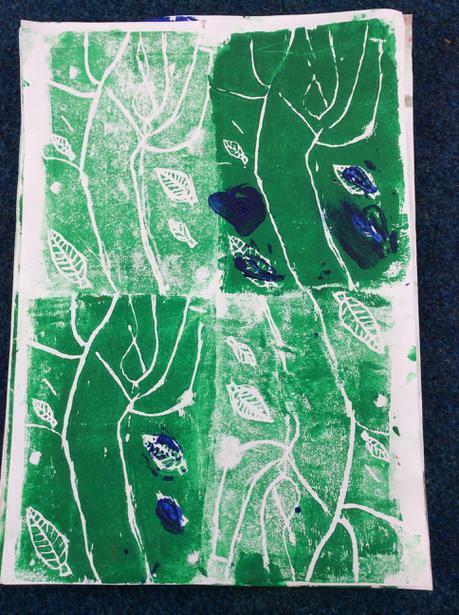 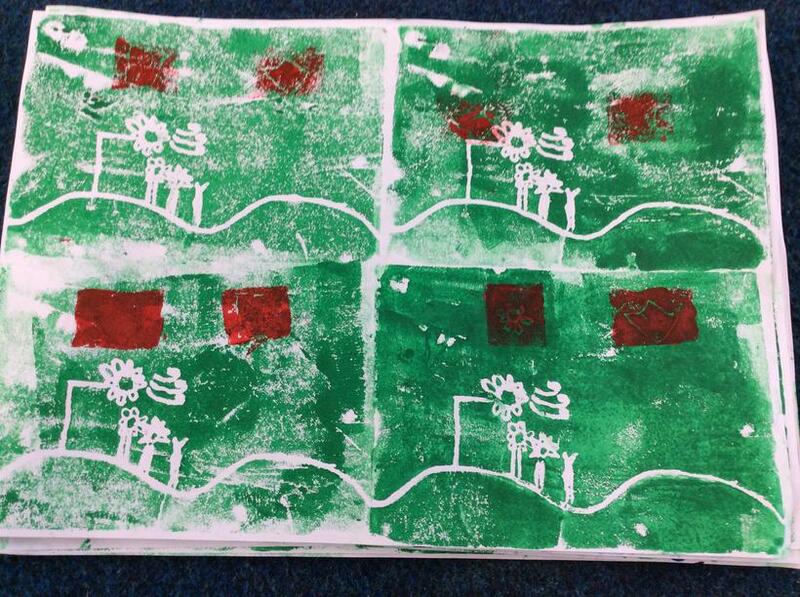 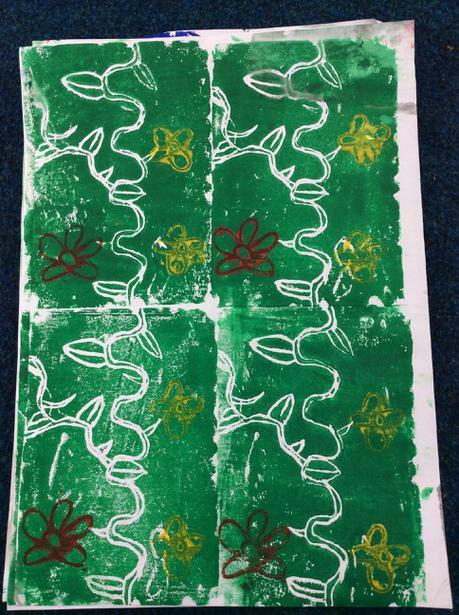 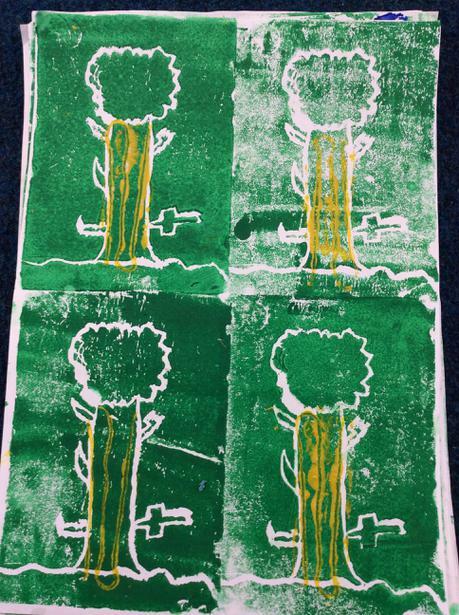 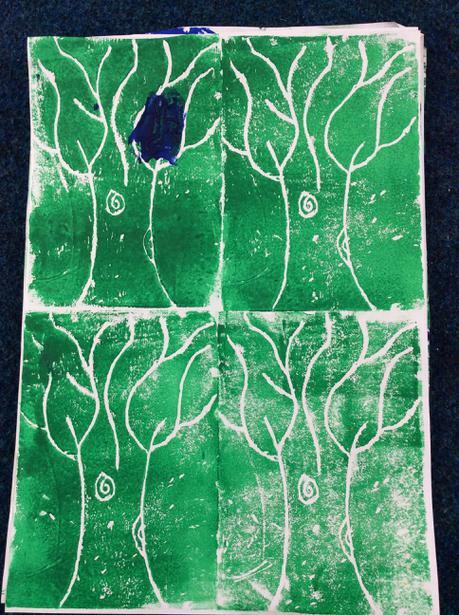 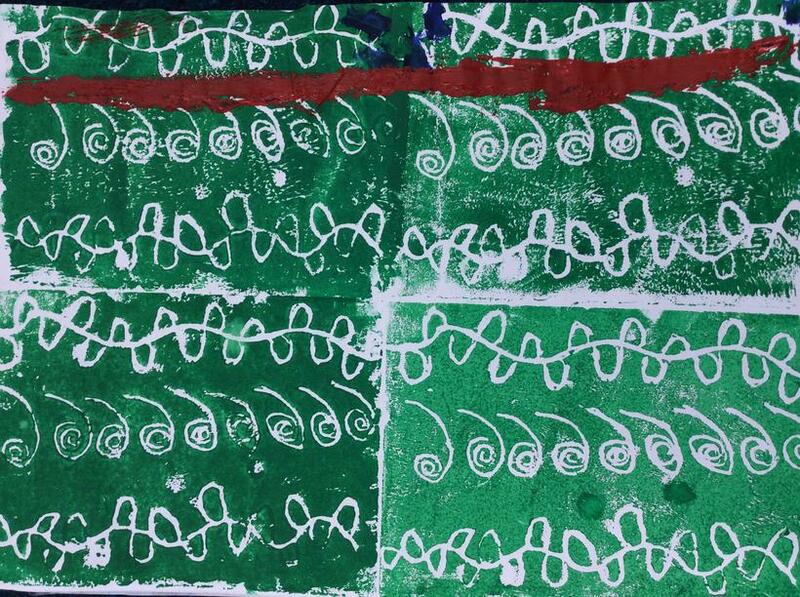 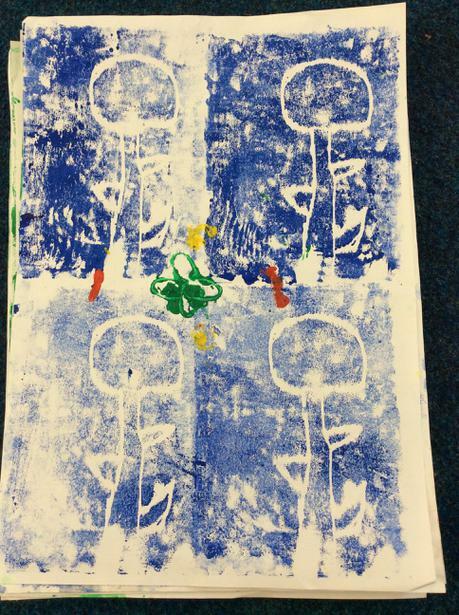 The week we have been making our own prints inspired by William Morris. 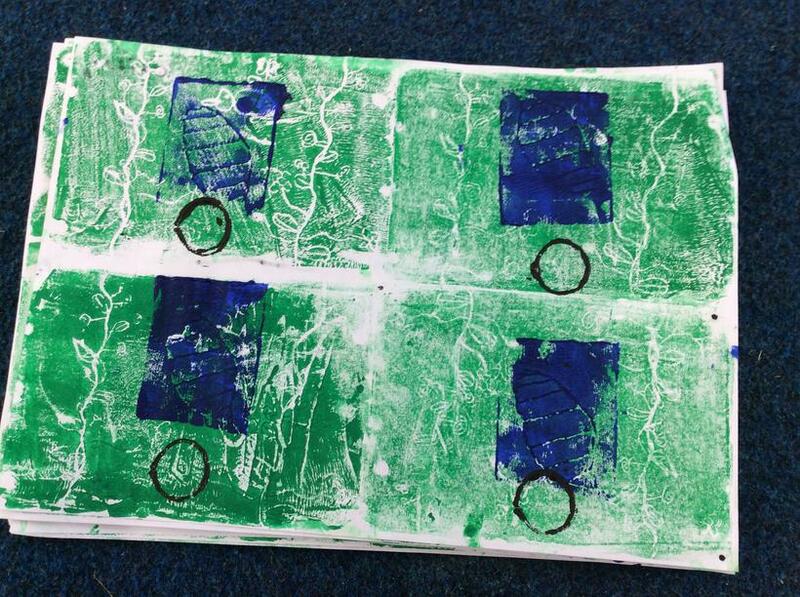 We used foam boards and etched our designed into them before using rollers to cover them in printing paint. 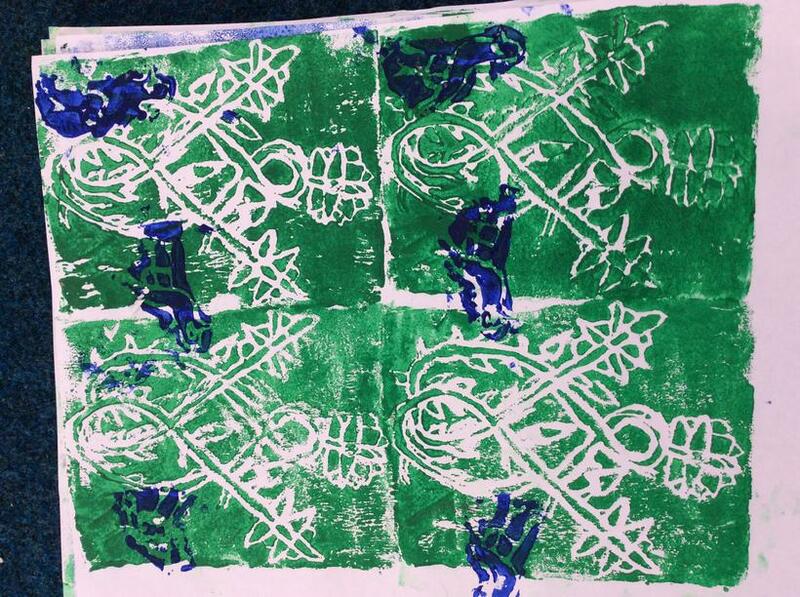 We the added to our designed by using string and card to make stampers. 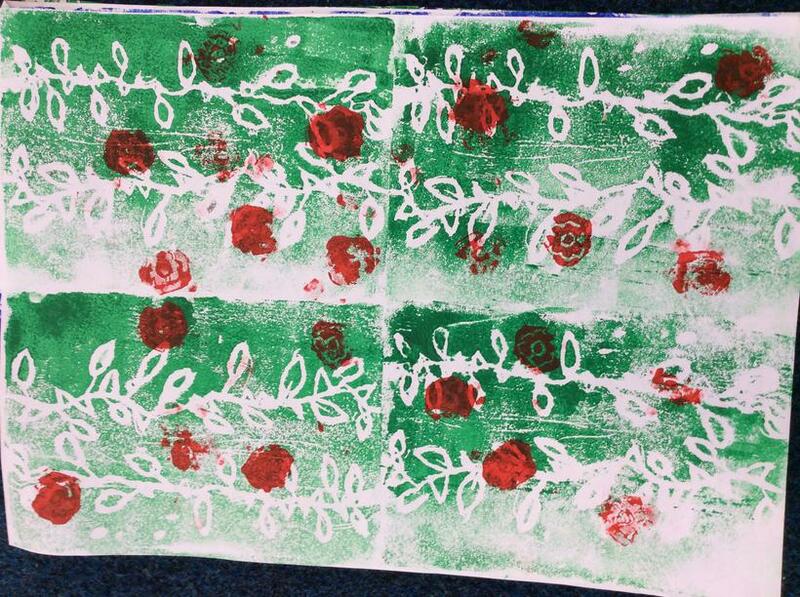 We attended 'Artsfest' at Adeyfield School this morning. 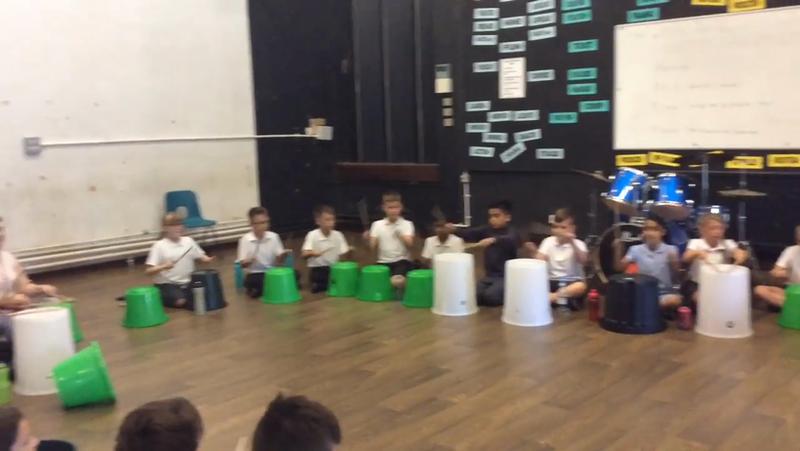 We had the opportunity to play the keyboards all together, do some bucket drumming and sing some new songs together! 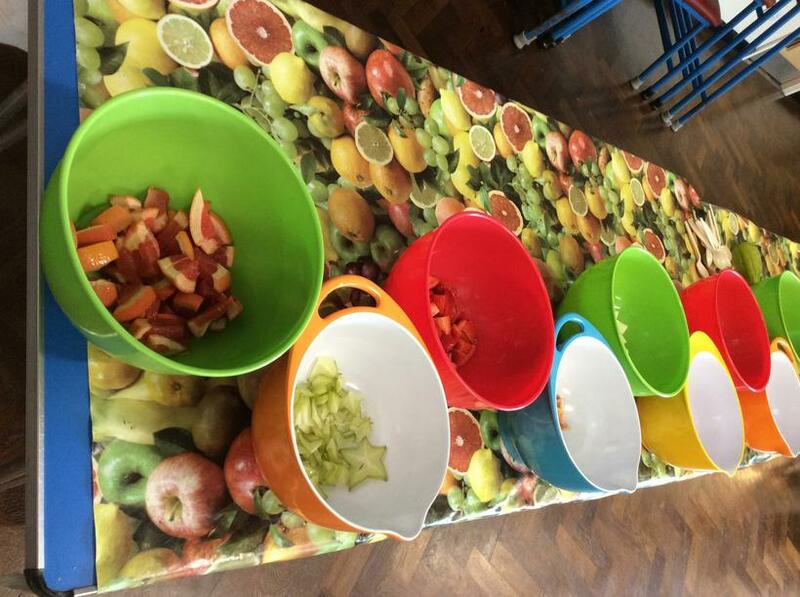 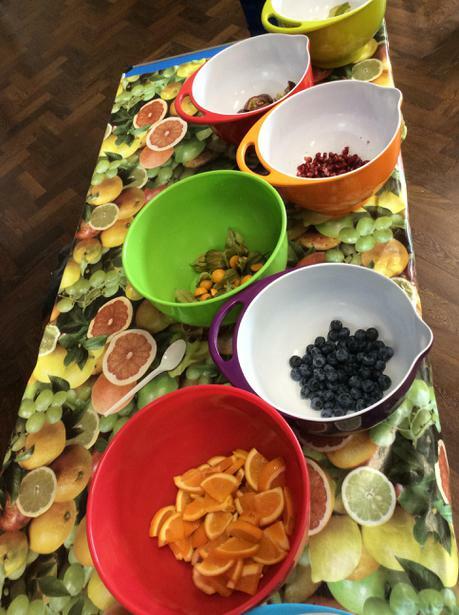 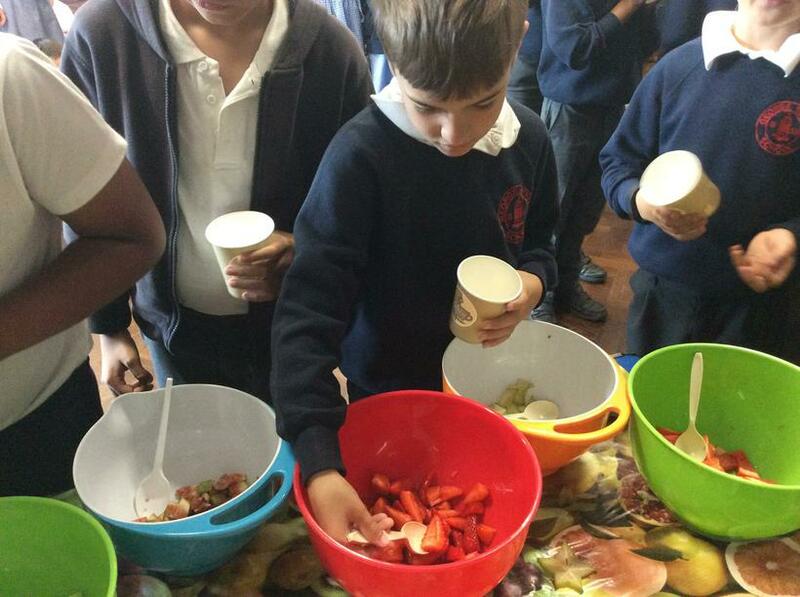 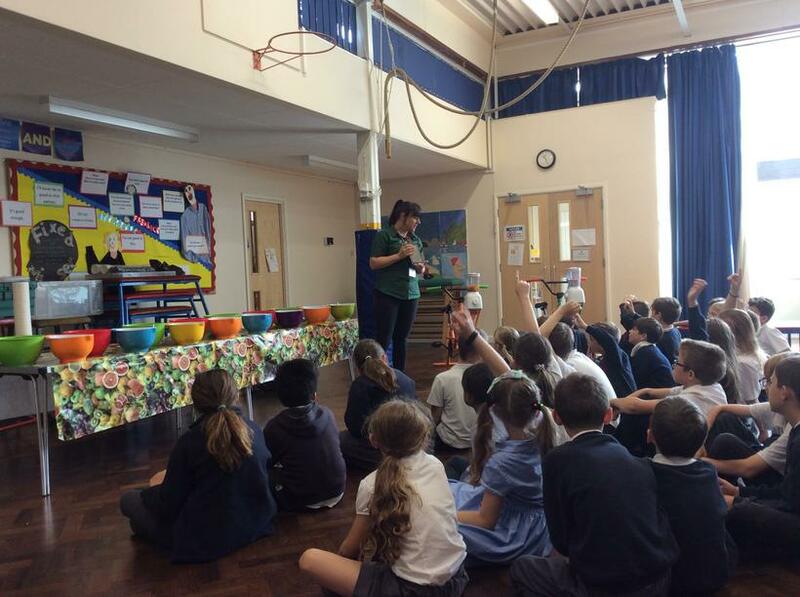 We were lucky enough to take part in a fruit workshop today. 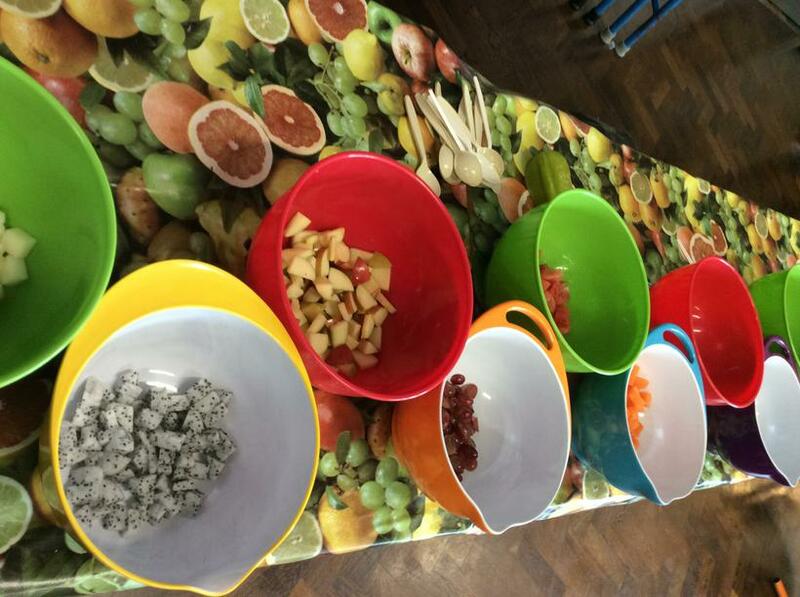 We learned about some more unusual fruits and got to try some fruits we had never had before, as well as eat some of our firm favourites! 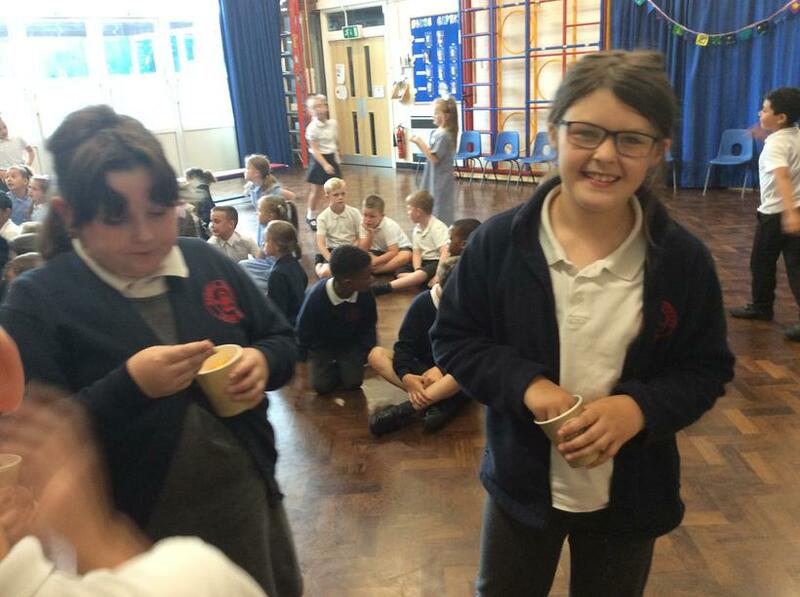 We took part in the 'line challenge'- eating line without reacting. 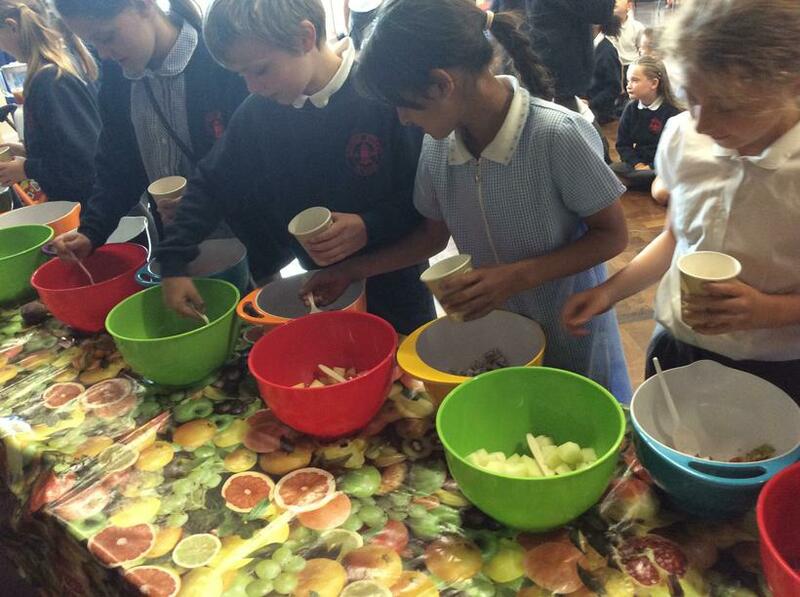 (Emma beat the lady sharing the fruit with us.) 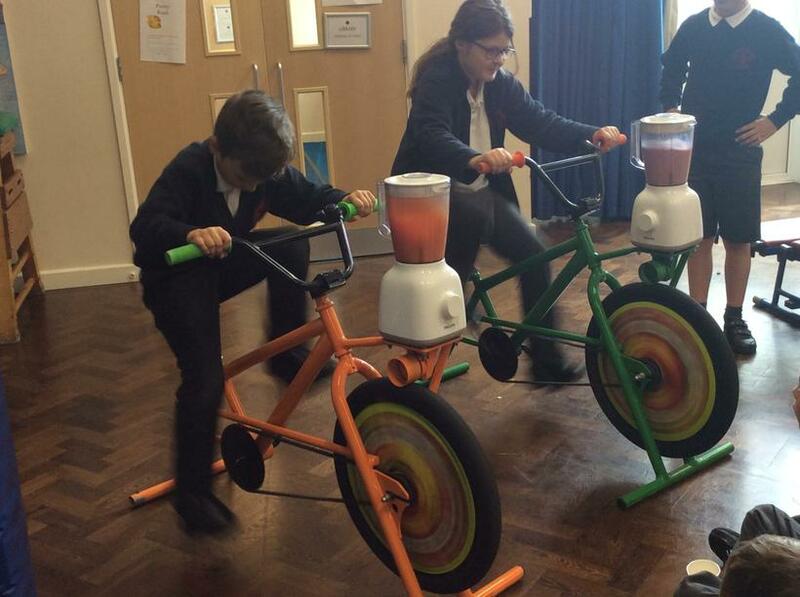 Daniel and Hannah then had to power the smoothie bikes to blend some fruits for us to all enjoy a smoothie. 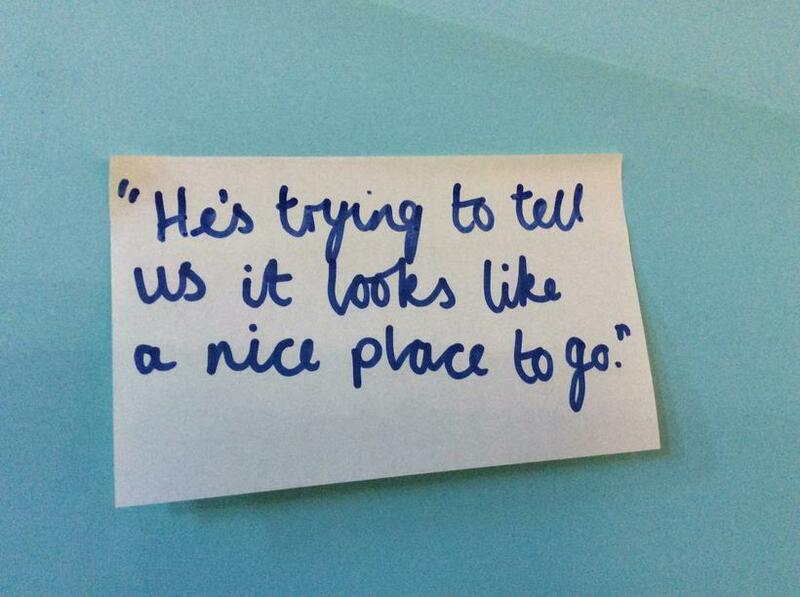 We looked at the book 'Ahmed and the Feather Girl' this week. 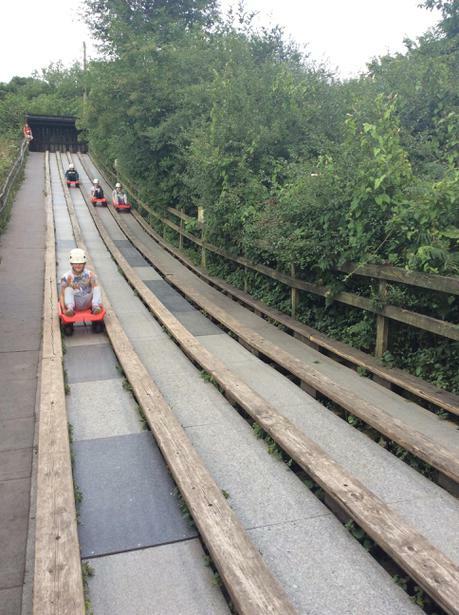 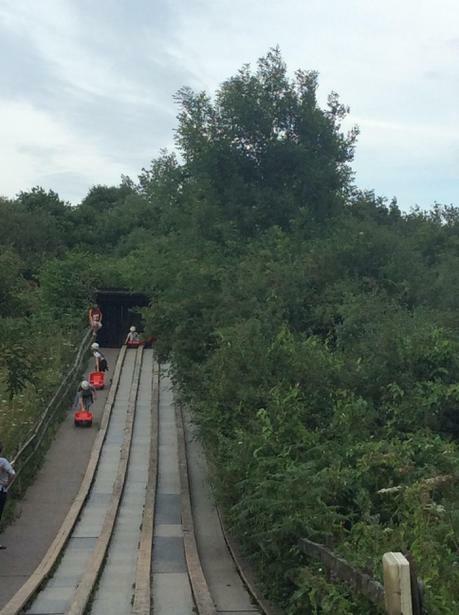 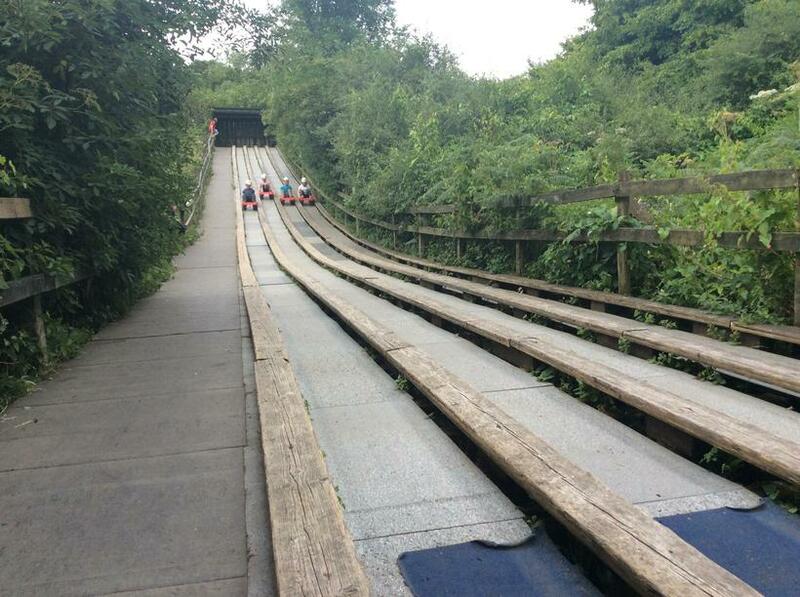 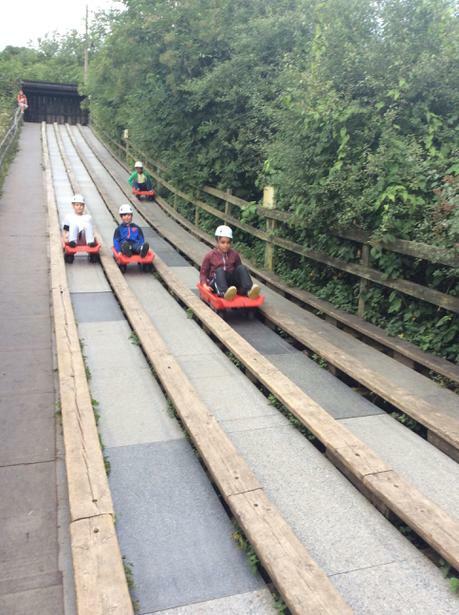 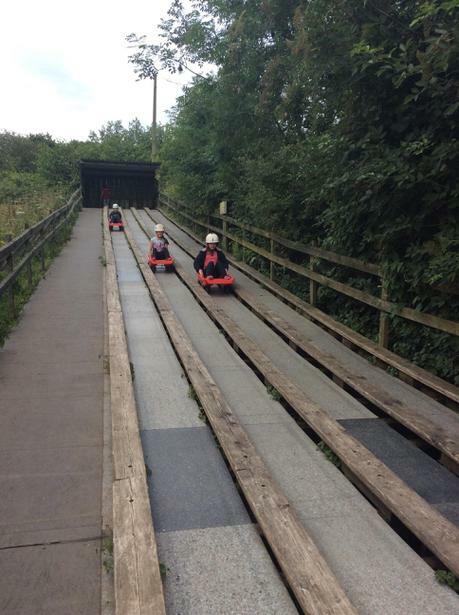 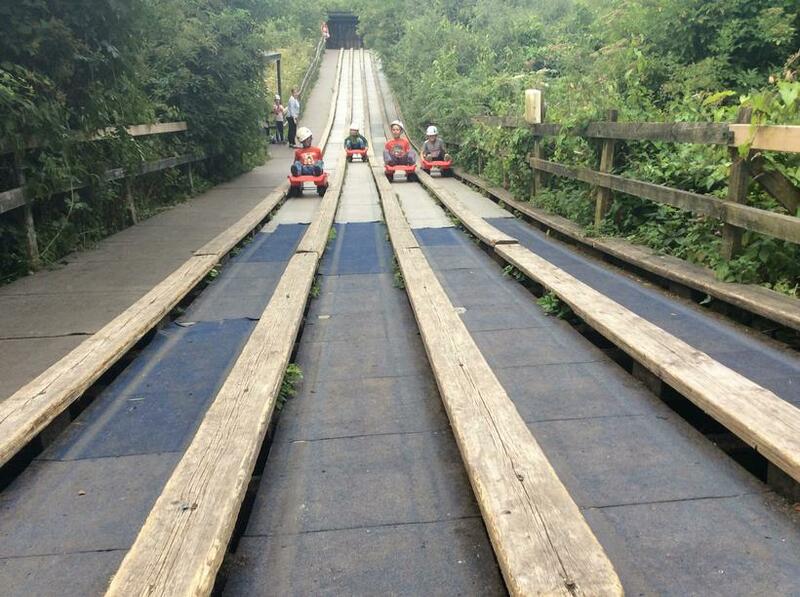 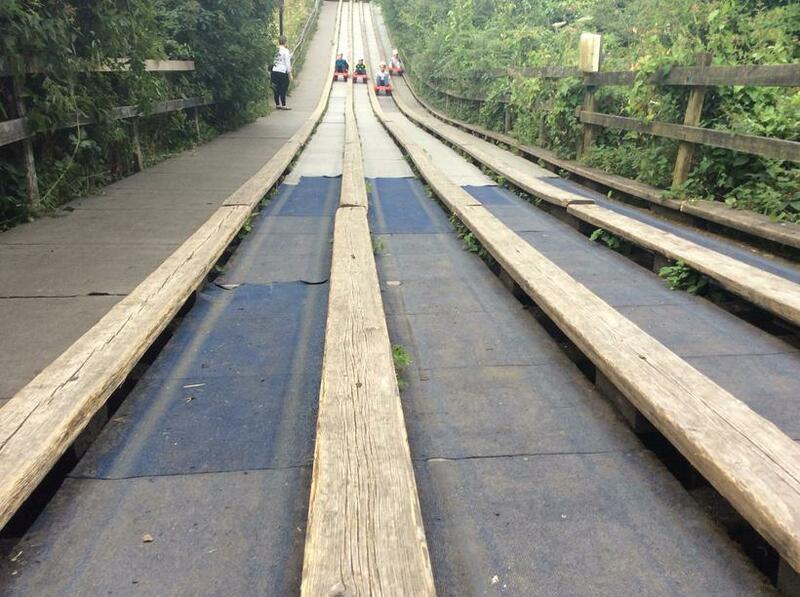 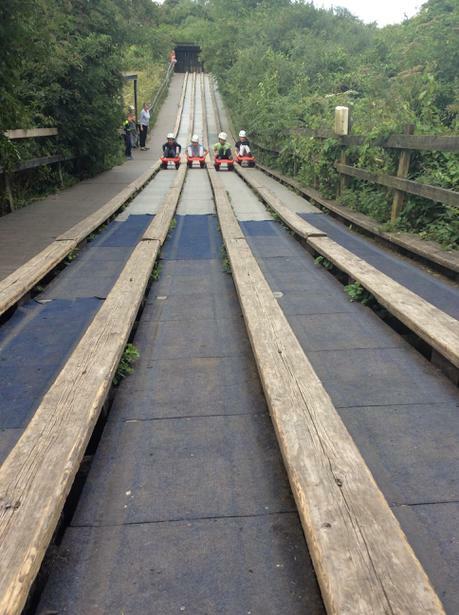 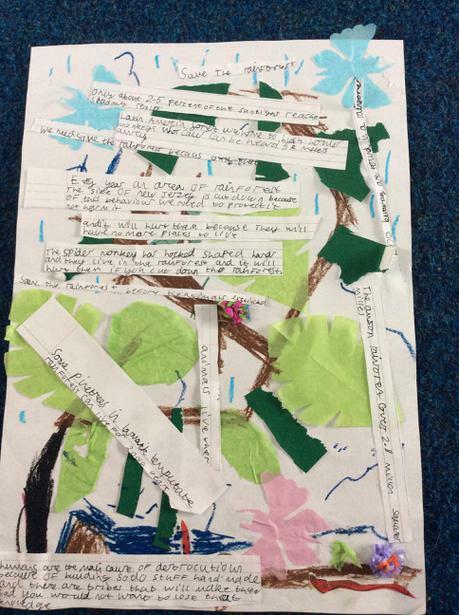 We did lots of fun things linked to it! 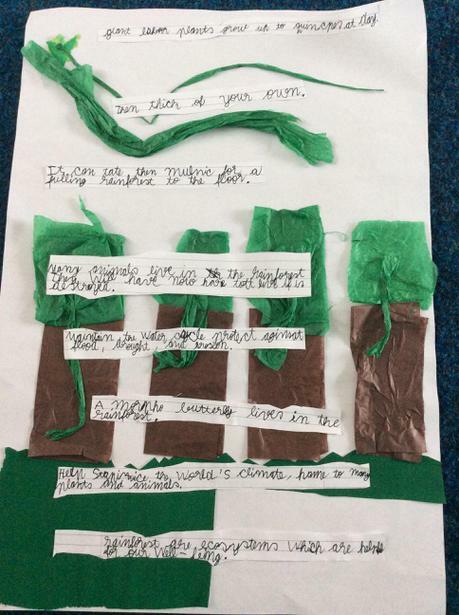 We made wool feathers, thought about our own hopes and dreams, wrote in character, did an experiment about flight, learned about the history of the circus and some famous circuses from around the world. 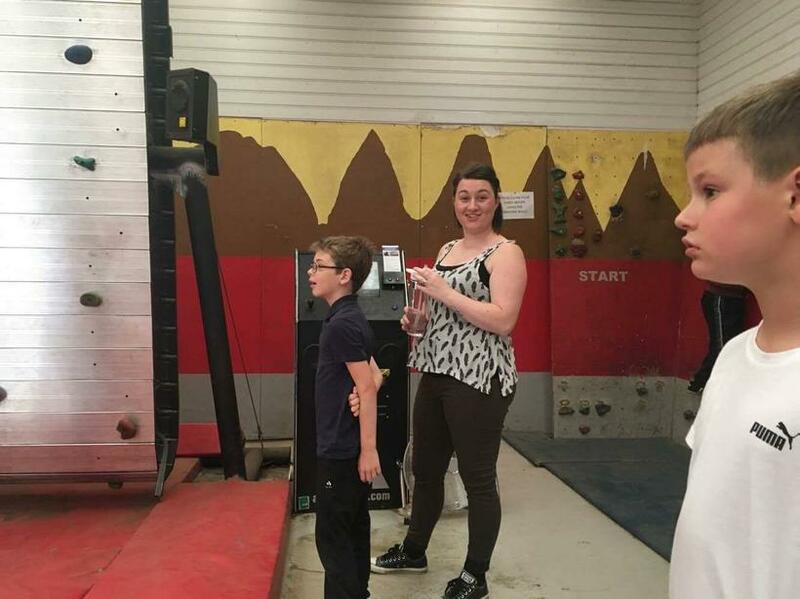 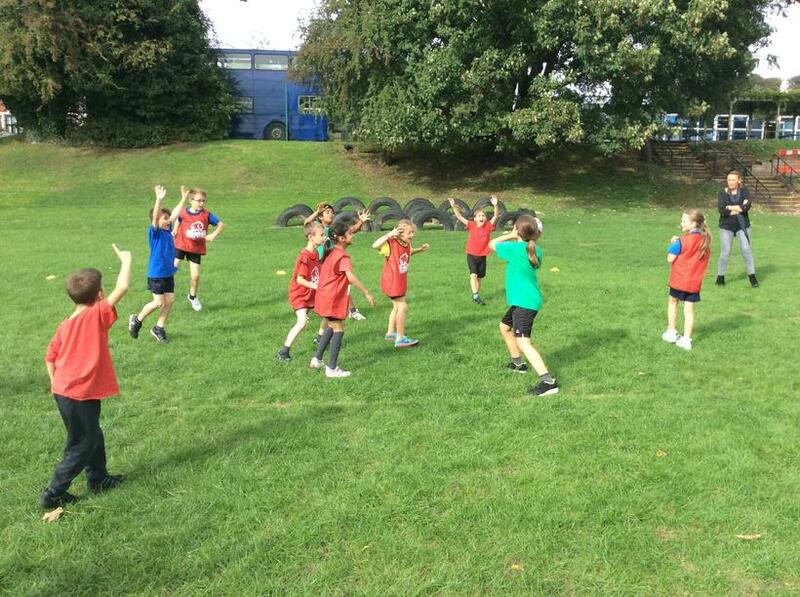 We had a go in PE at some of the skills we had see performers use. 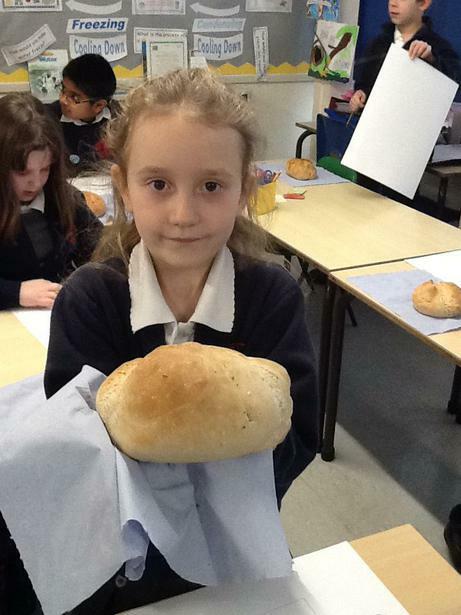 It was a very busy week! 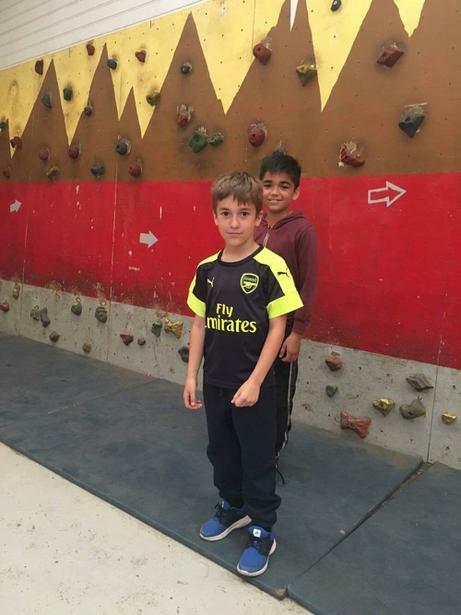 We have continued to work practically to multiply and scale up. 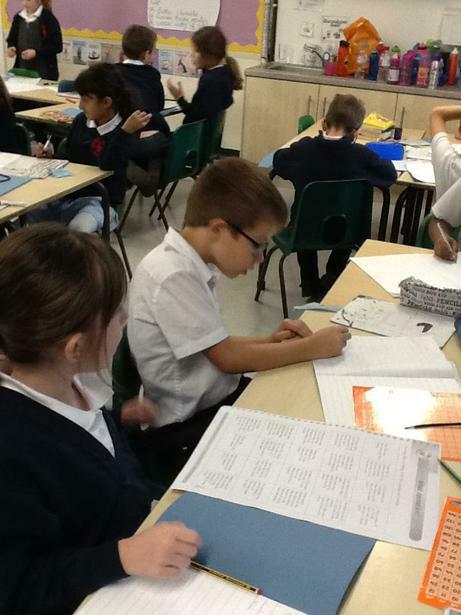 We have been learning about Roman mosaics this week. 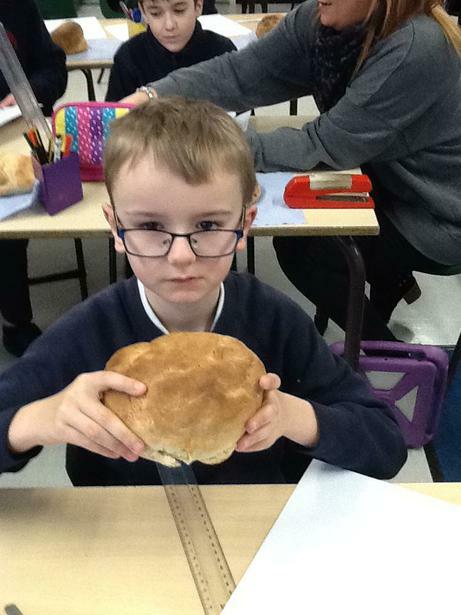 We have used them in maths to look at symmetry and fractions and we have then had a go at designing and making our own. 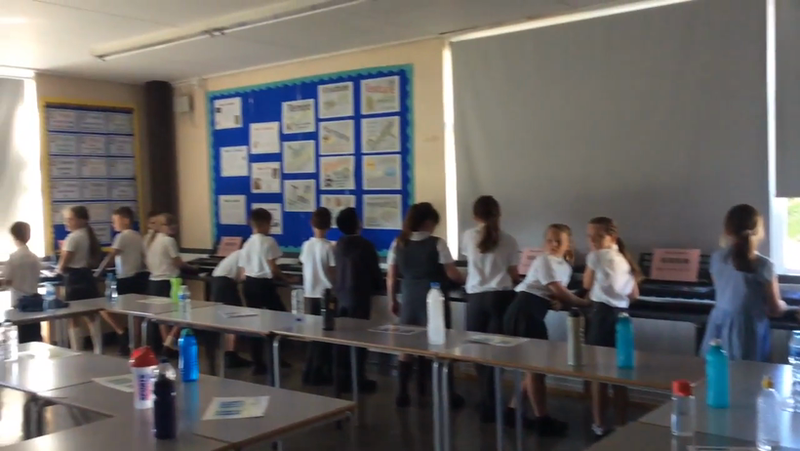 Today we held a tribal meeting. 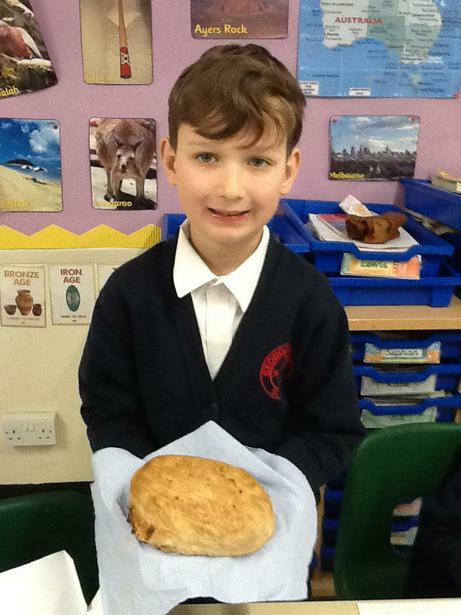 We had received word from the St Albans tribe that the Romans are coming! 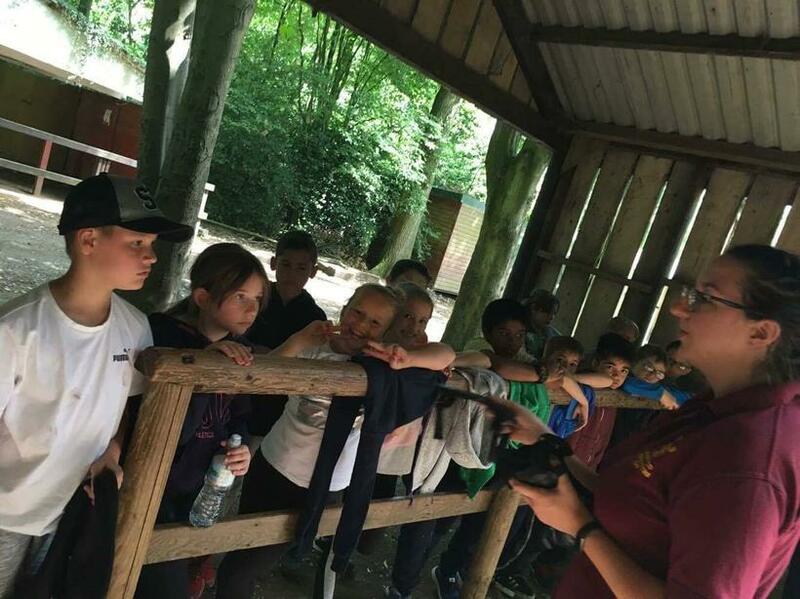 What do we want to do? 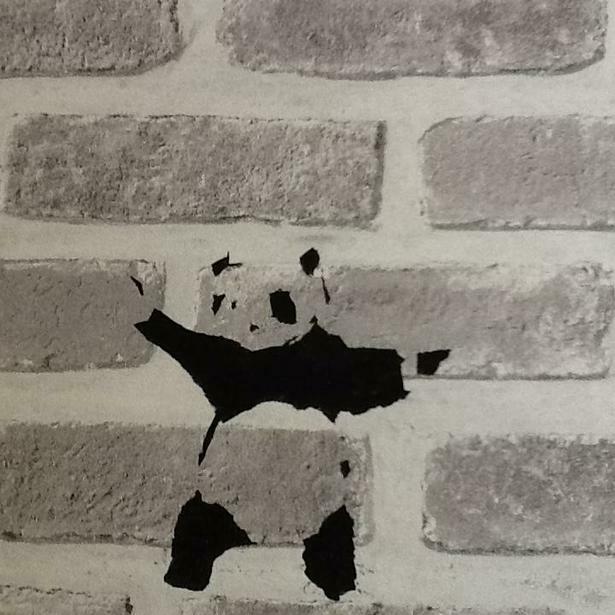 Fight? 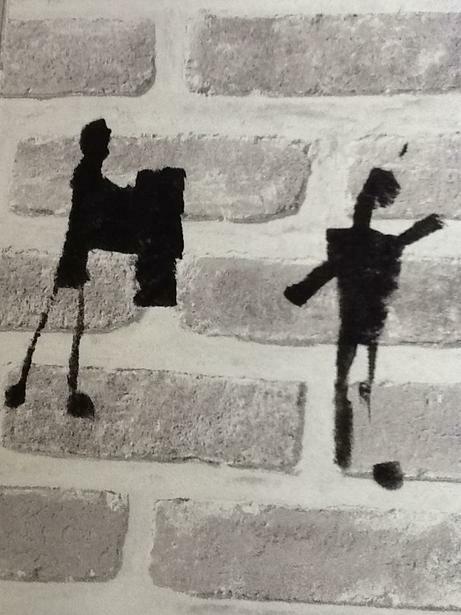 Meet with them? 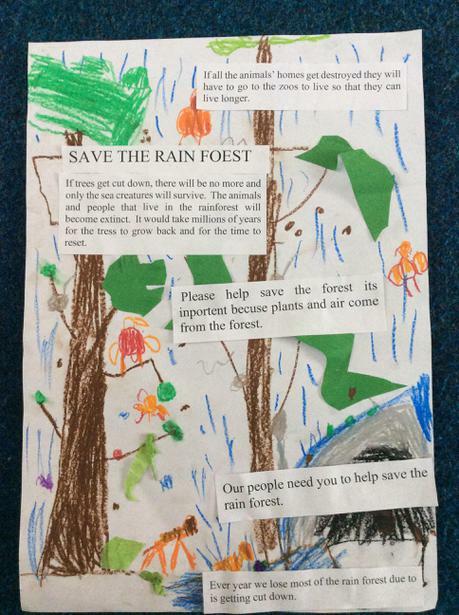 We will be writing to our chief tomorrow, explaining our own points of view and trying to persuading them to do what we think is best. 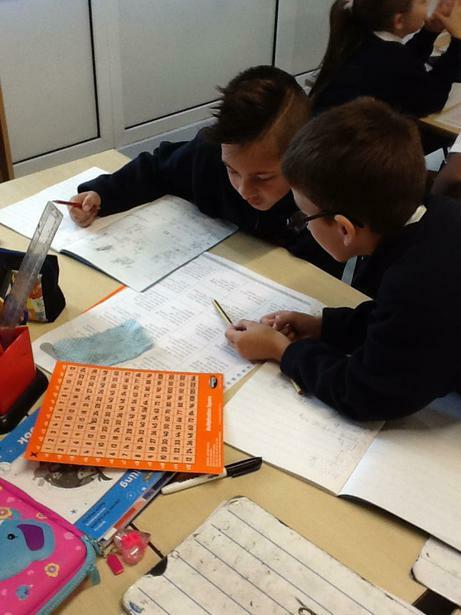 In maths we have been trying to show all the different ways we can represent a half- we have been trying to be as creative as possible! 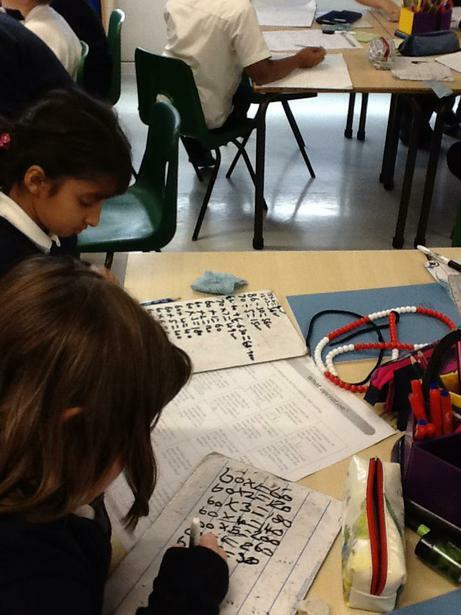 We have been learning how to code. 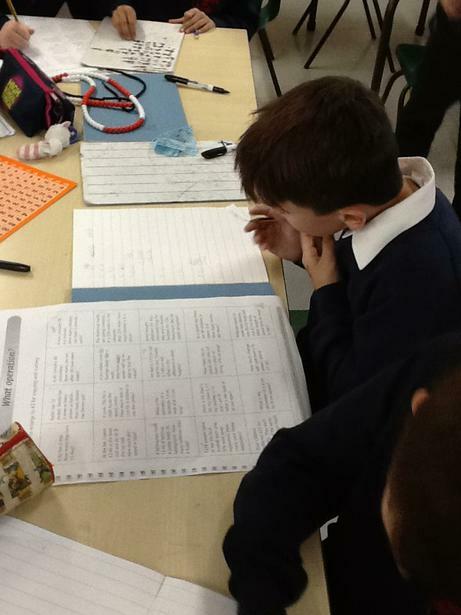 Coding is writing instructions for computers. 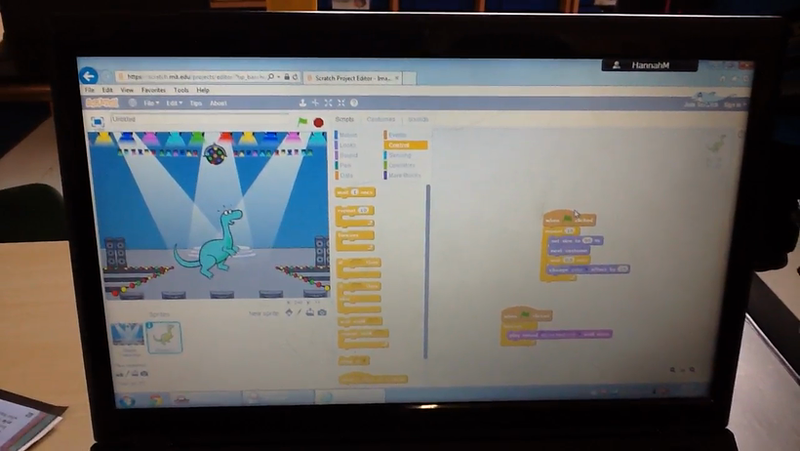 The finished code is called a program. 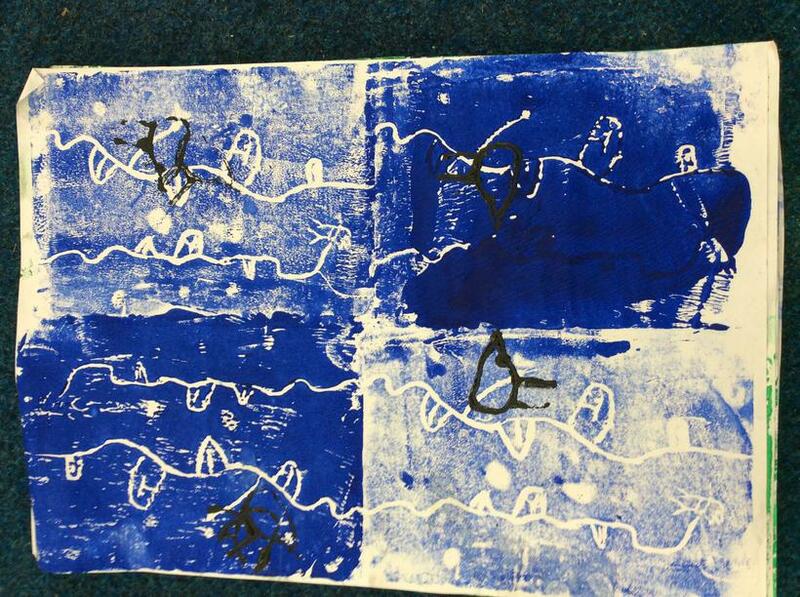 We have been creating our own programs using 'Scratch'. 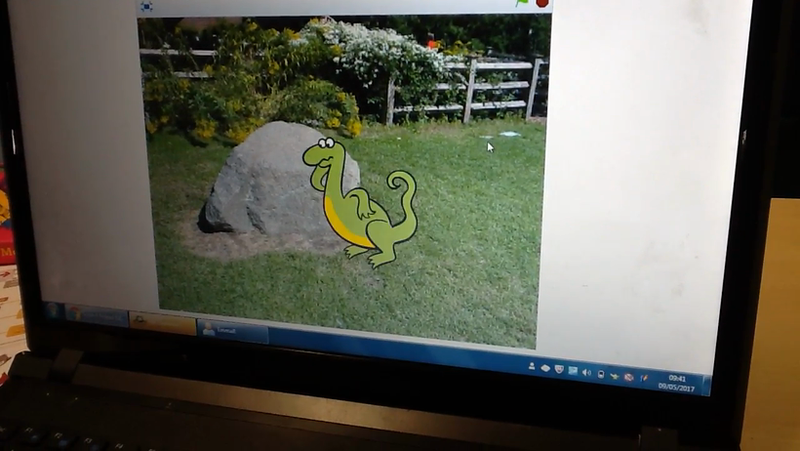 So far we have: made a game, where our cat sprite chases a mouse, made dinosaurs dance and built a band! 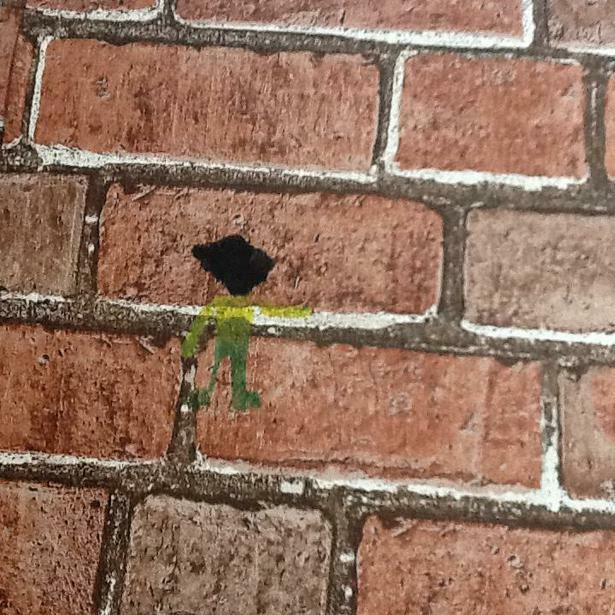 We returned after Easter to find some graffiti in our classroom. 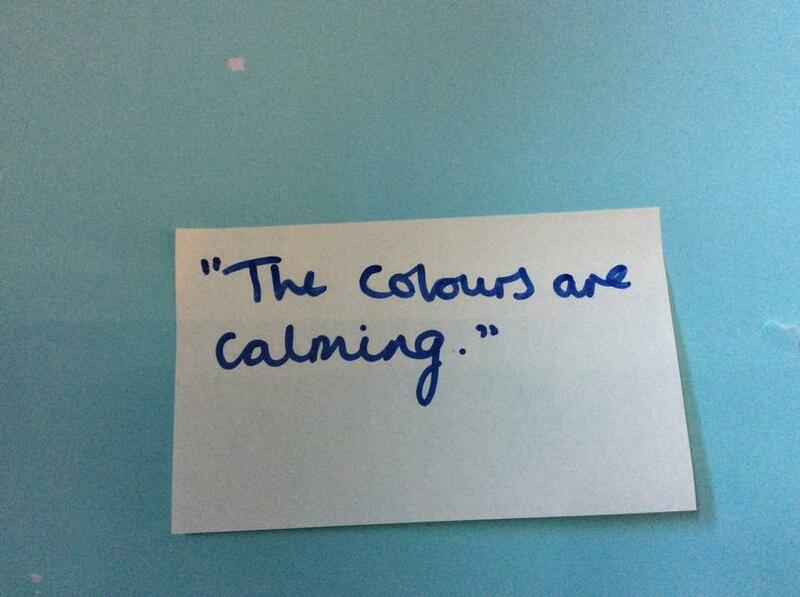 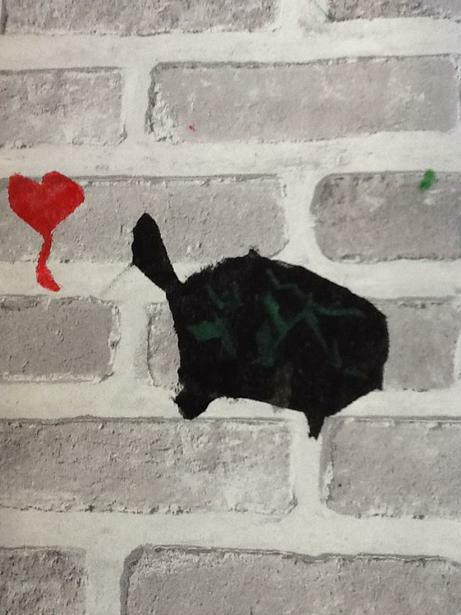 This led us to question if it was art of vandaliam, we did lots of discussion and then did some writing about it. 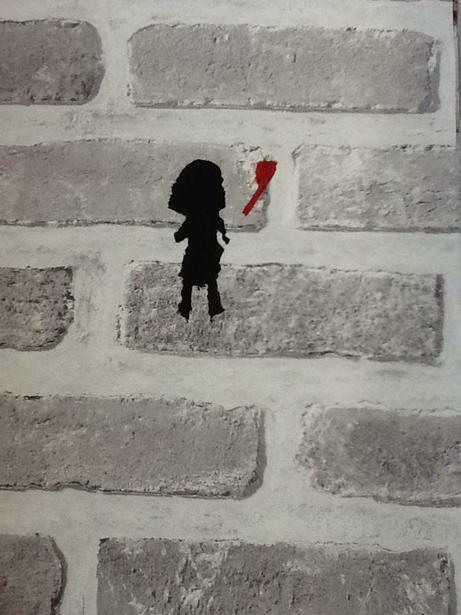 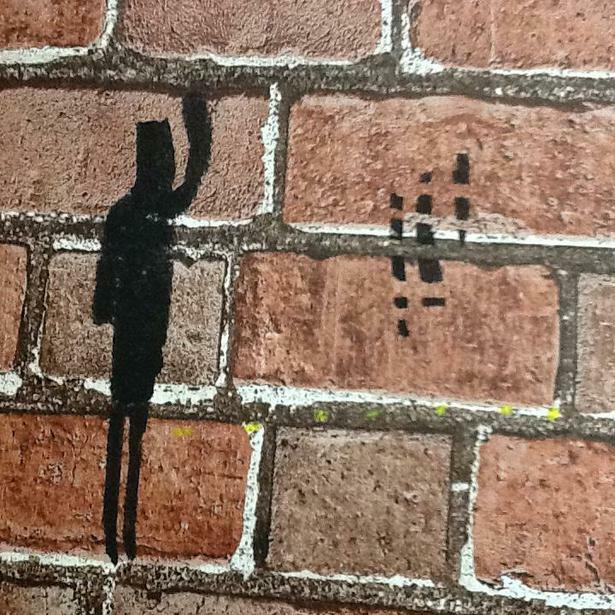 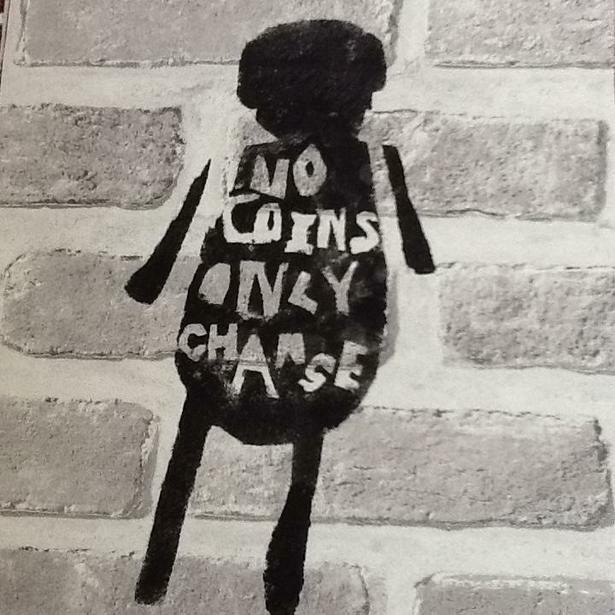 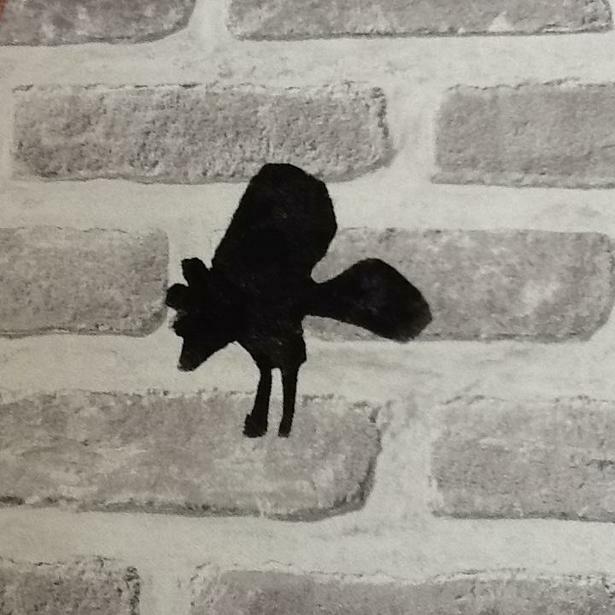 We learned about Banksy and how he uses stencils to create his work. 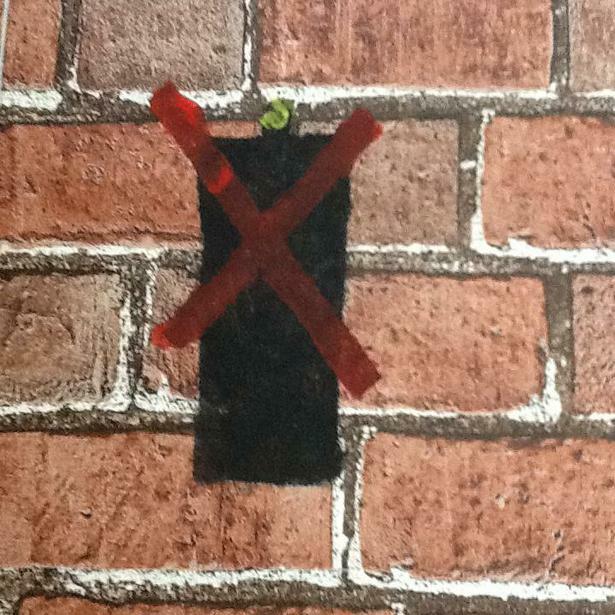 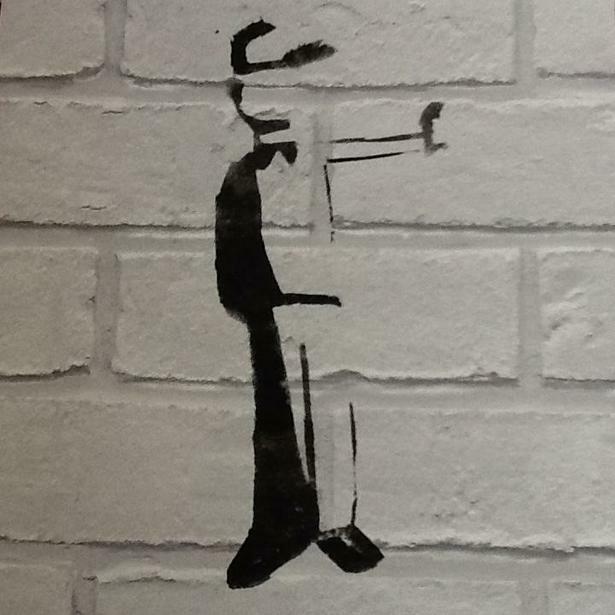 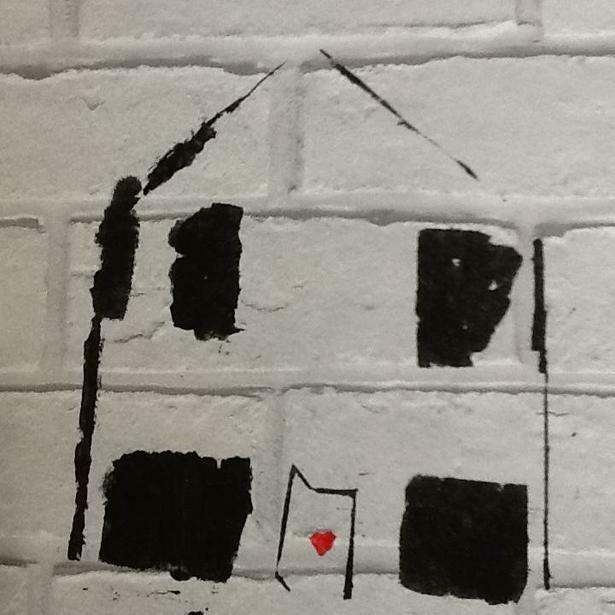 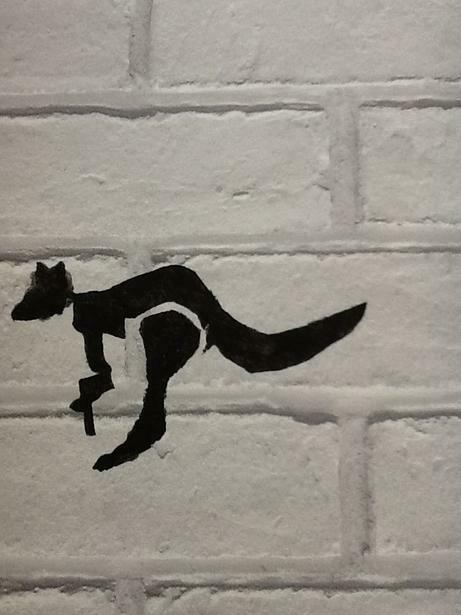 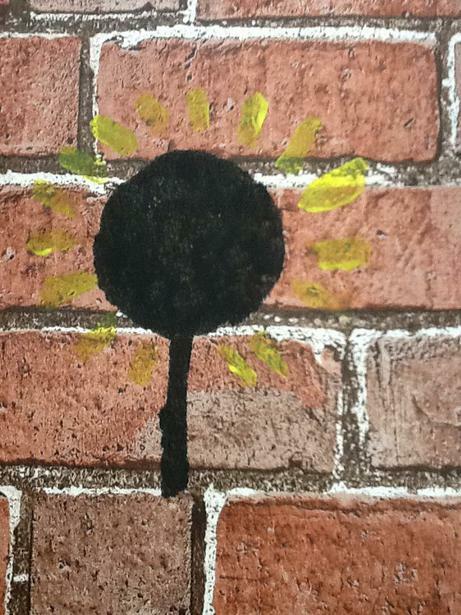 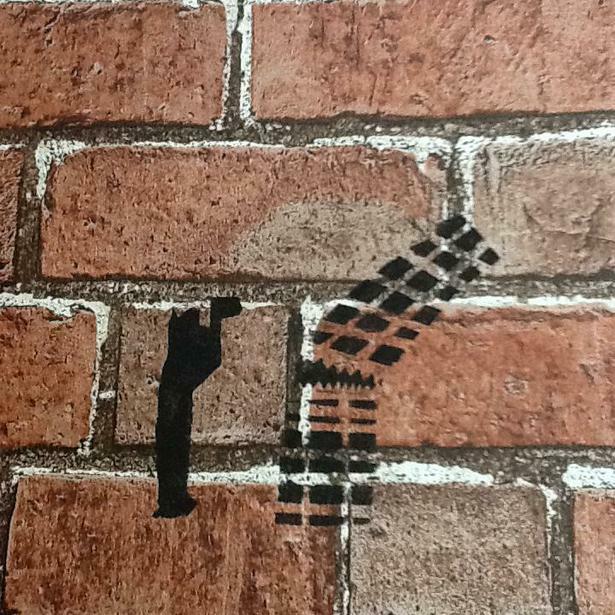 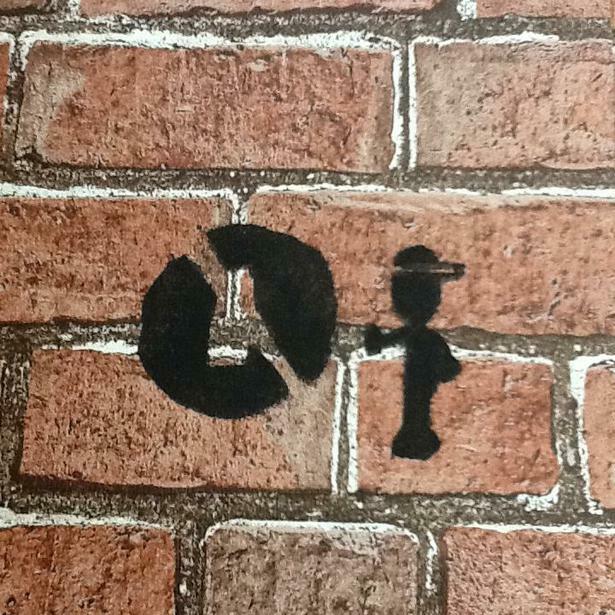 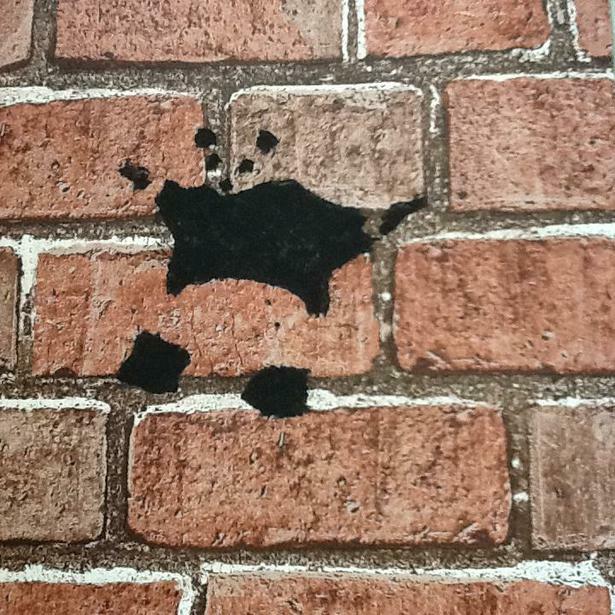 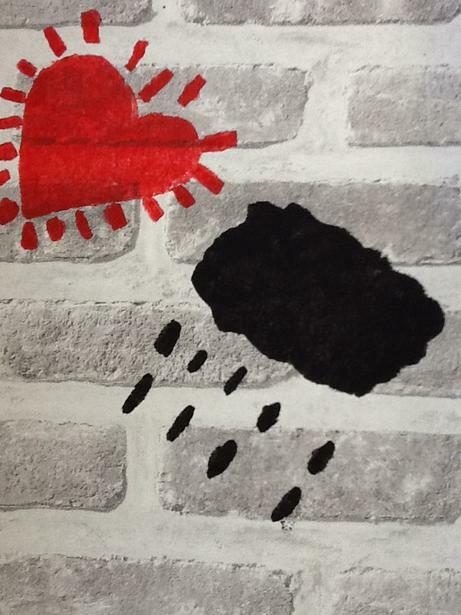 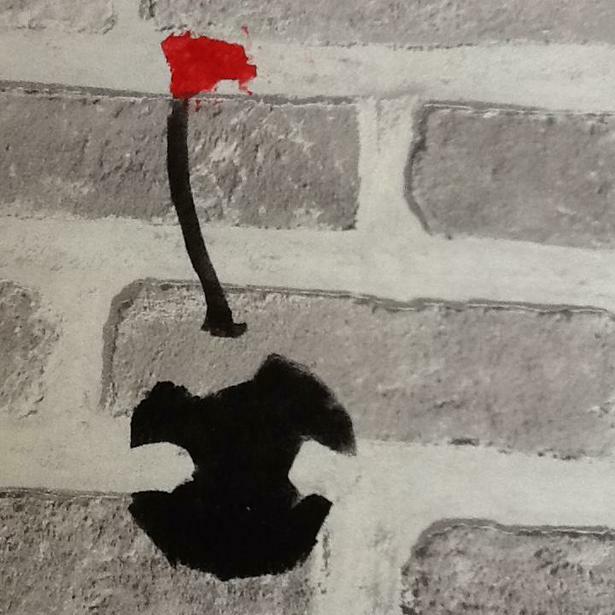 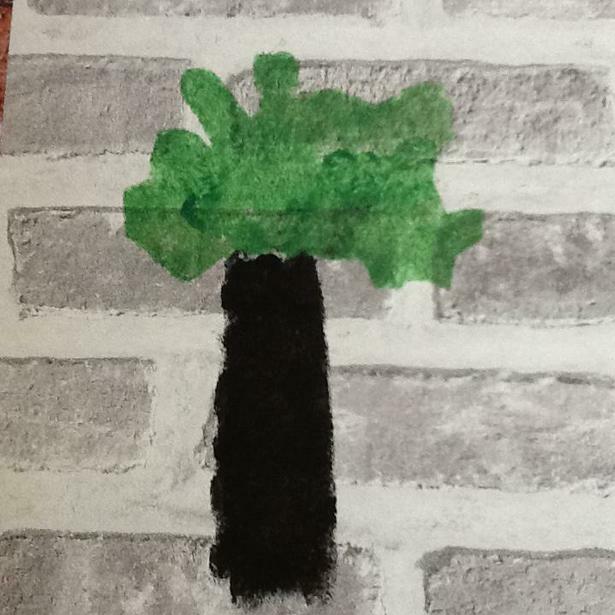 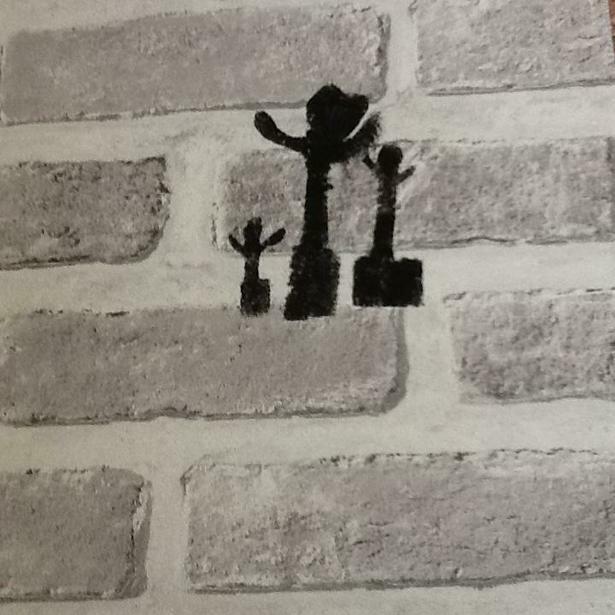 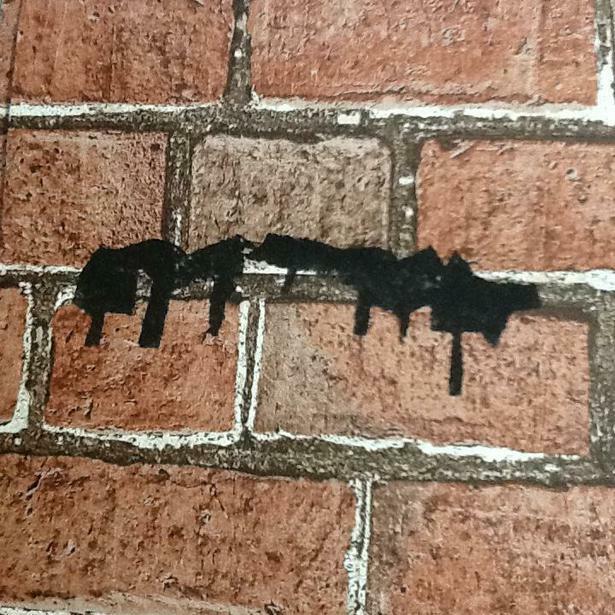 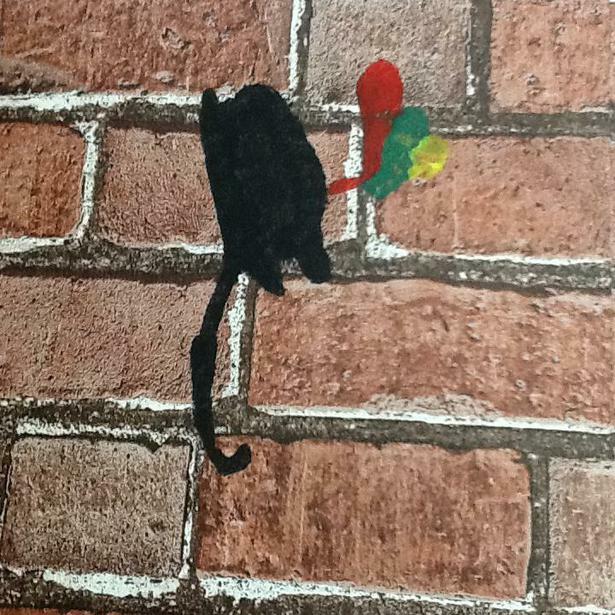 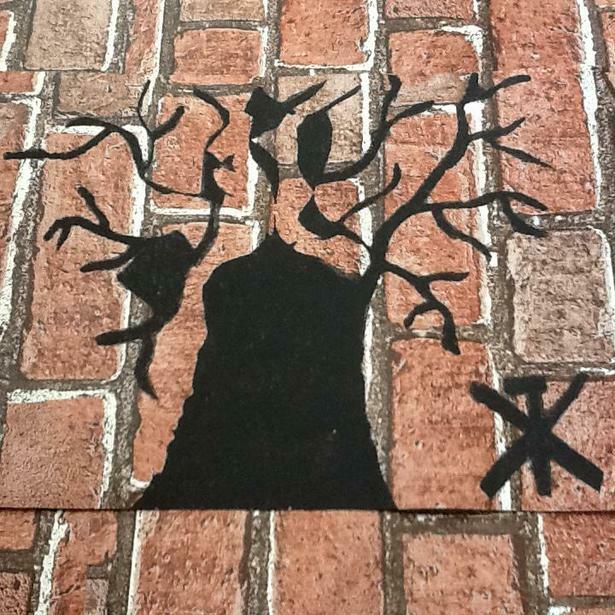 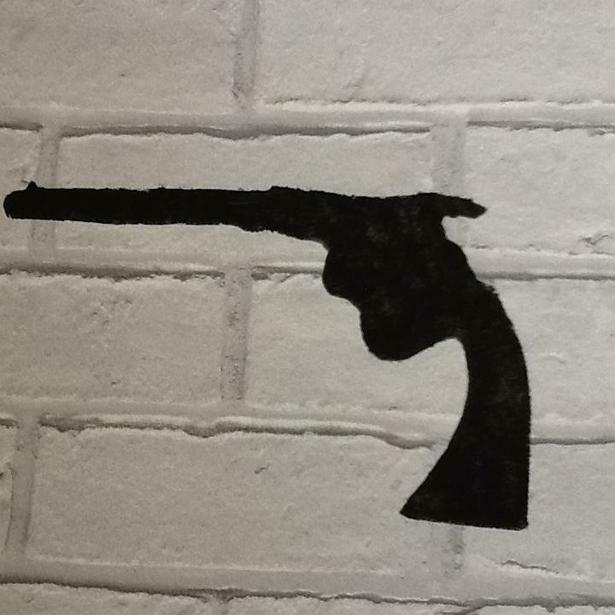 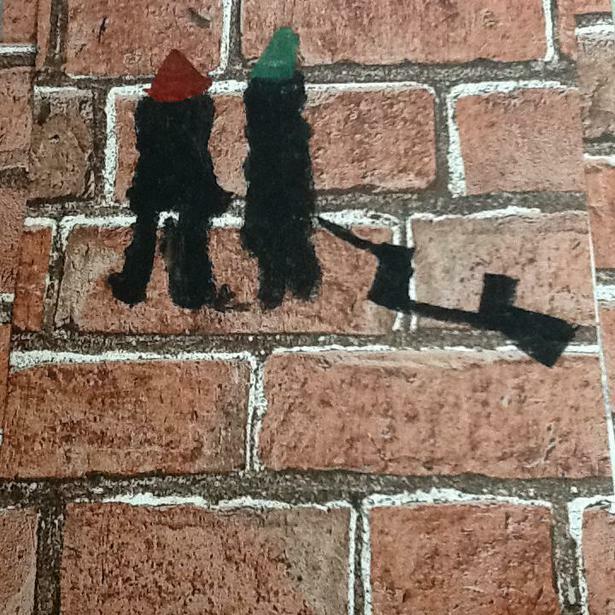 We had a go at designing our own graffiti, turning it into a stencil and then painting it onto a wall background. 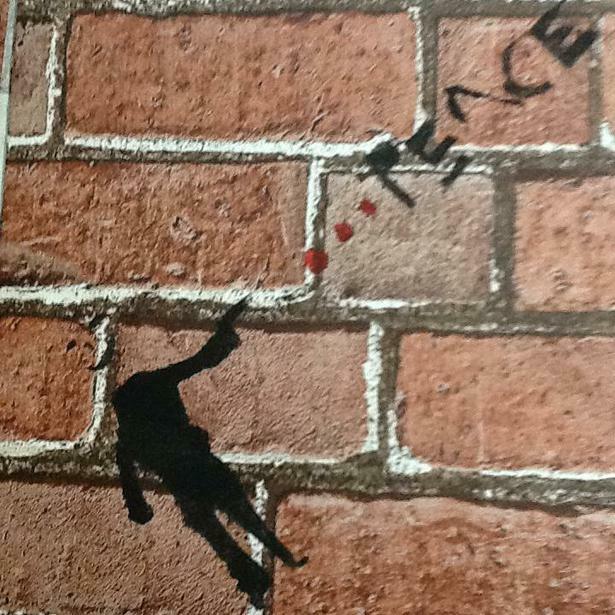 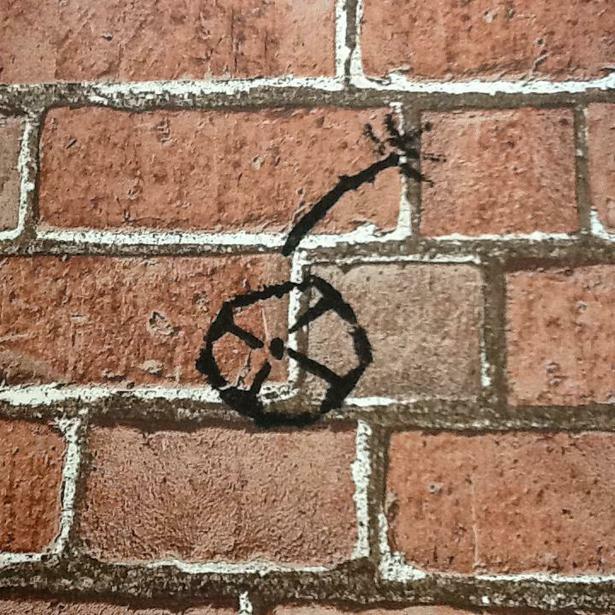 It was VERY tricky and we now understand how hard Banksy has to work. 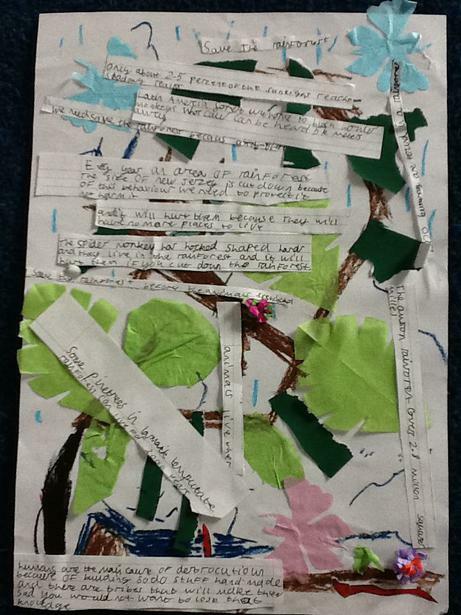 We had to really preserve and keep trying, even when we made a mistake and had to try and correct it. 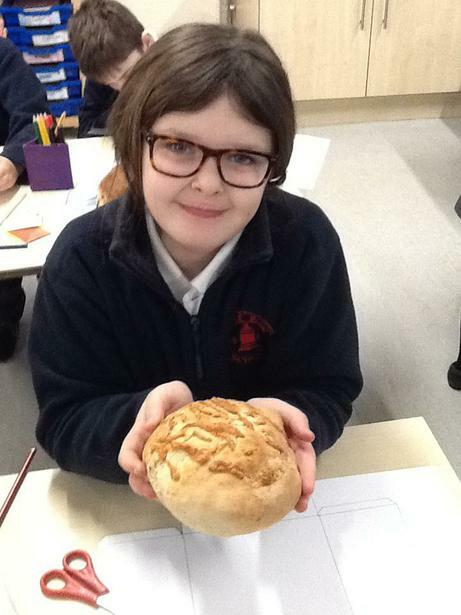 Our finished bread. 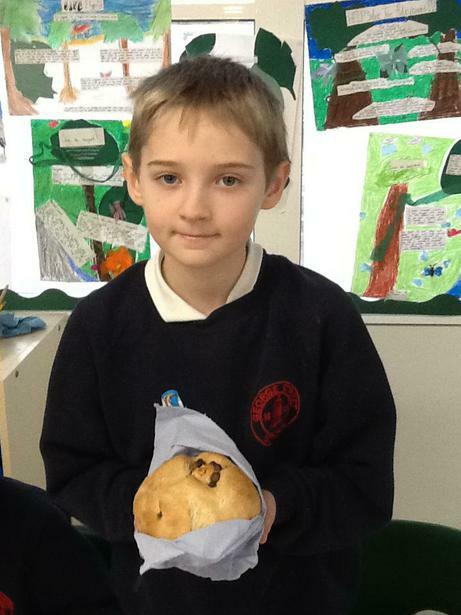 We all feel very proud! 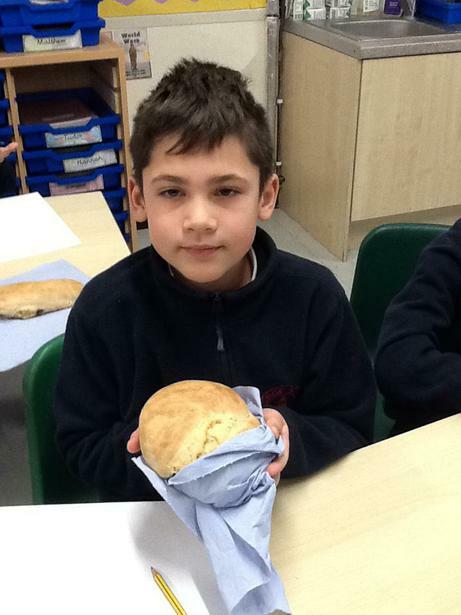 This week we have been learning about bread. 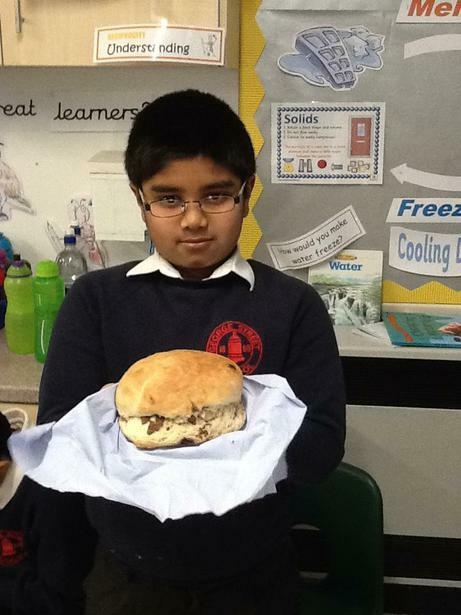 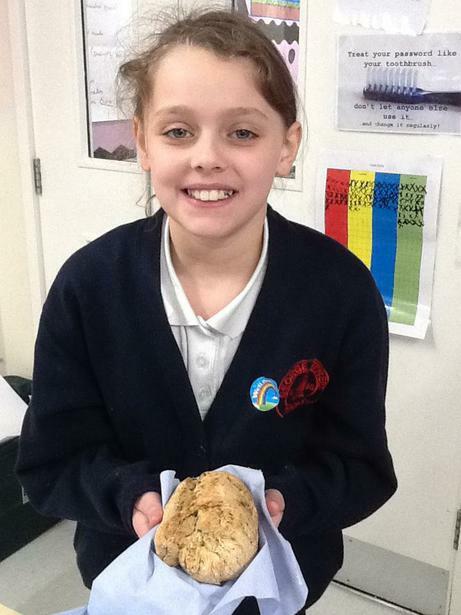 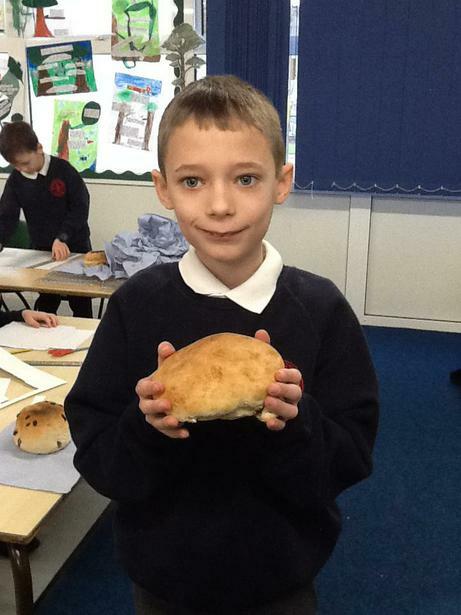 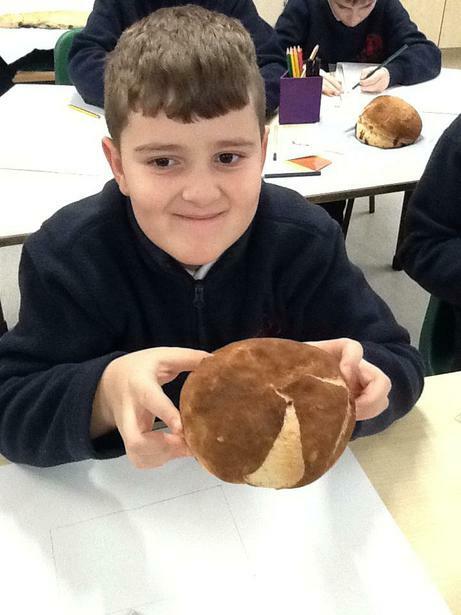 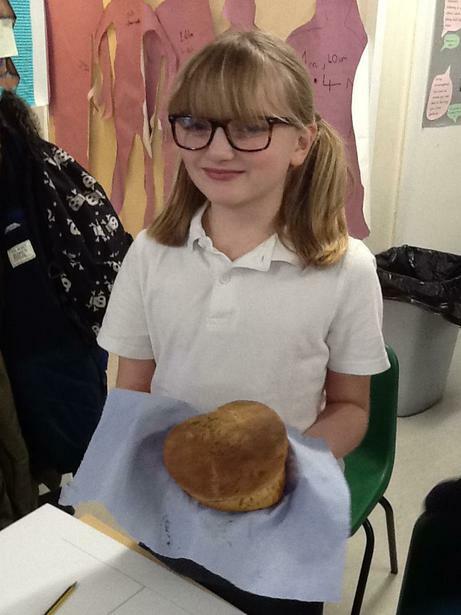 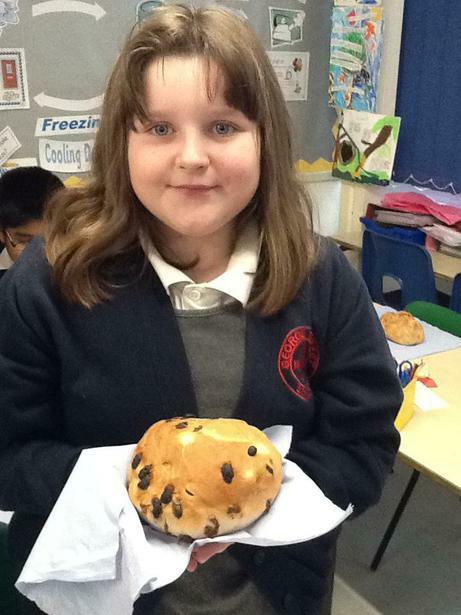 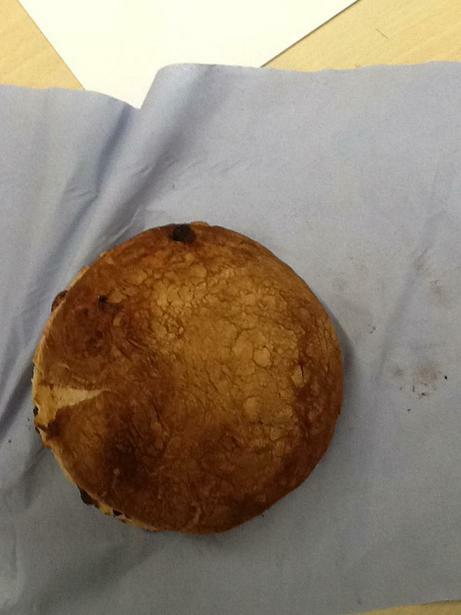 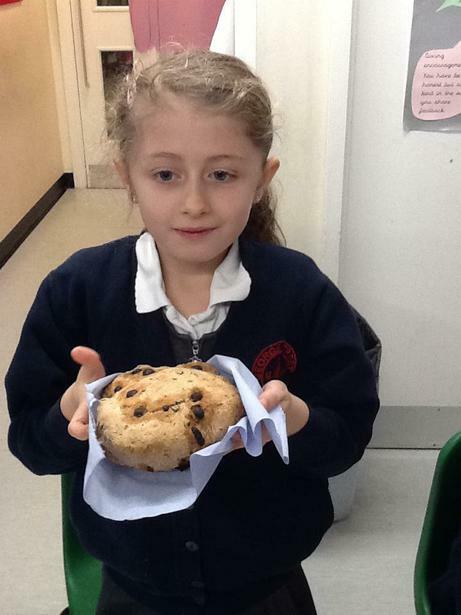 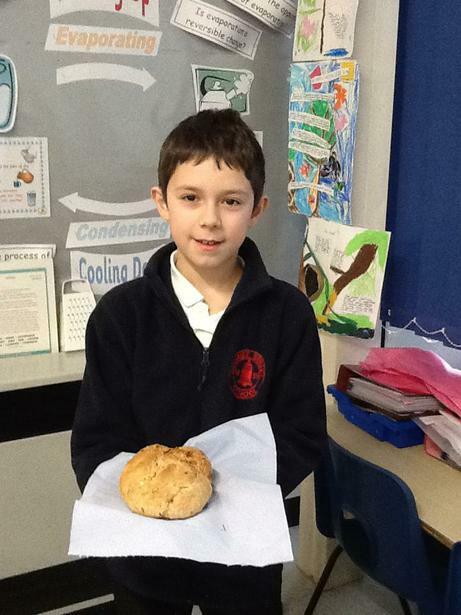 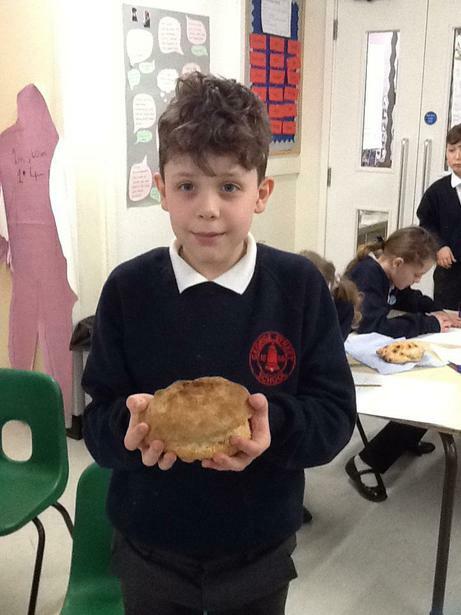 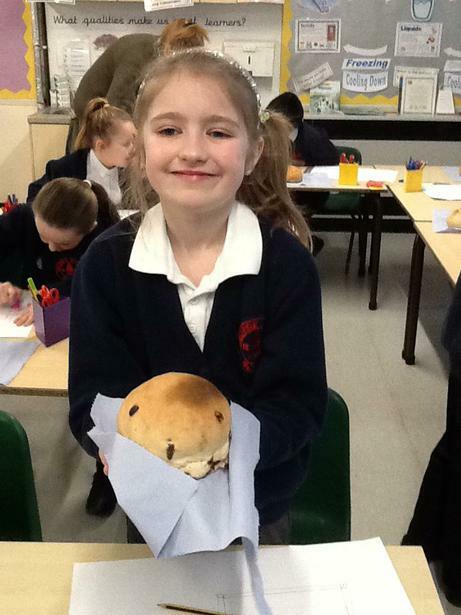 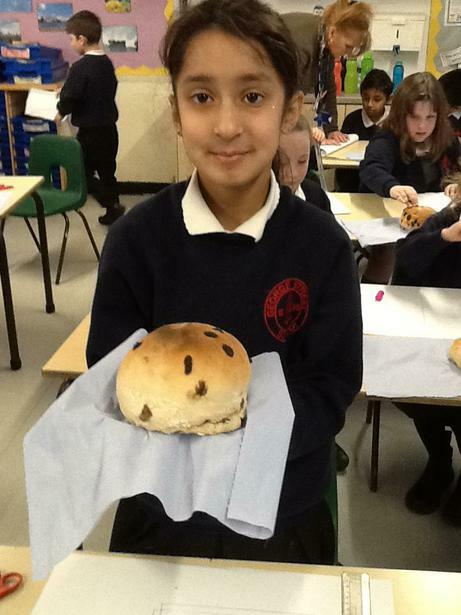 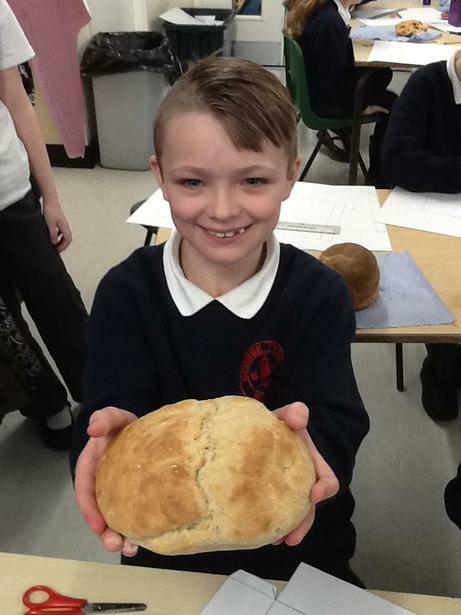 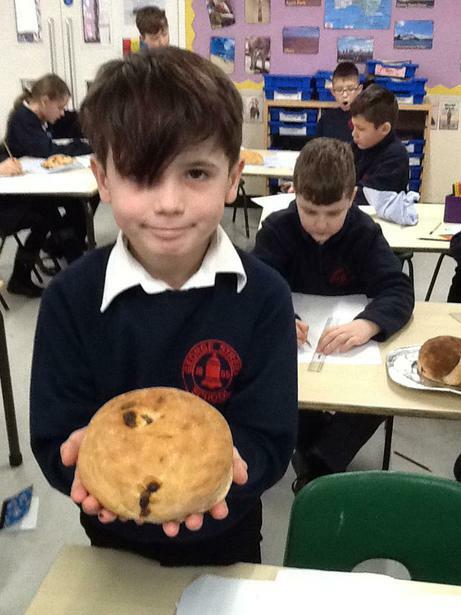 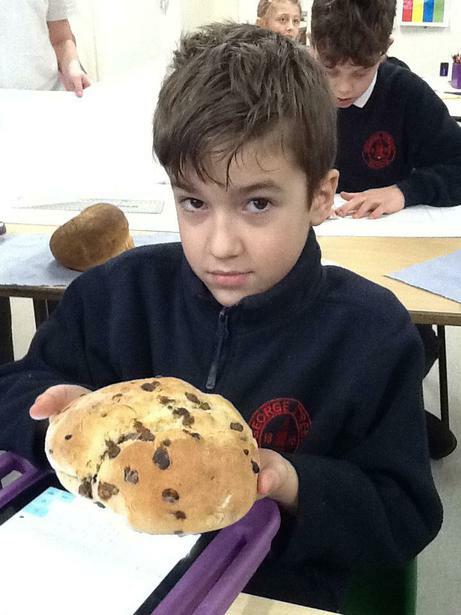 In science we found out what yeast does when it is added to bread. 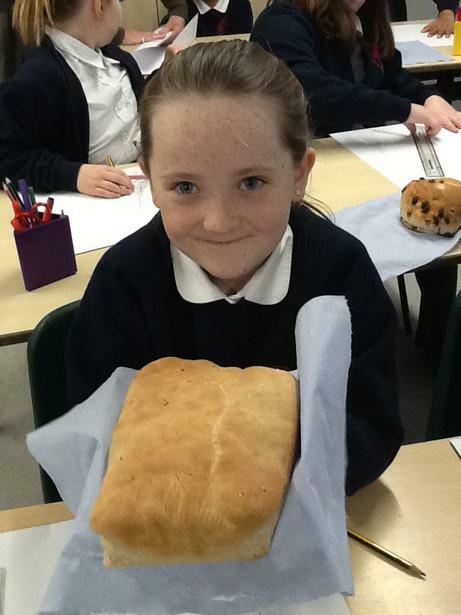 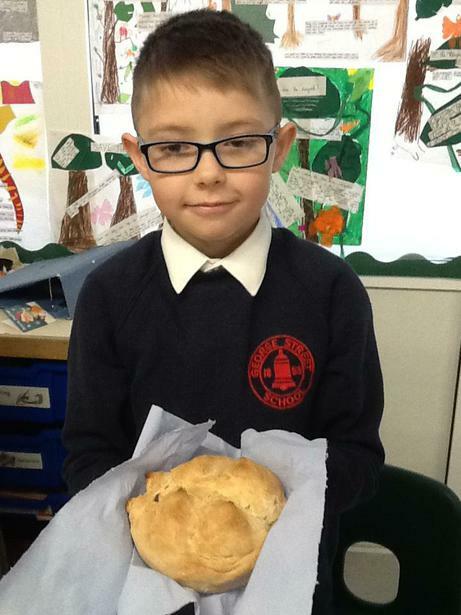 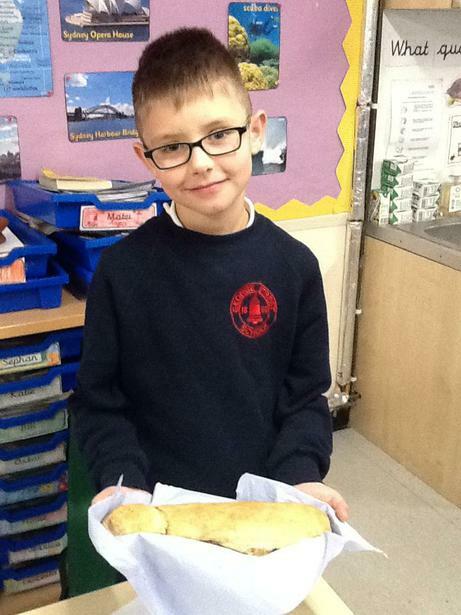 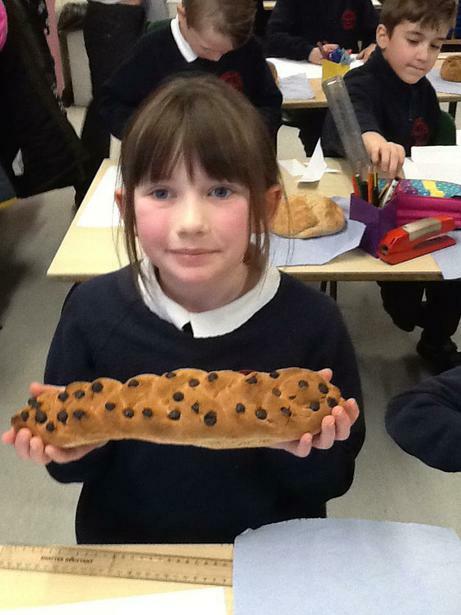 We tasted lots of bread that we can already buy to give us ideas and then designed and made 3 'tester' breads. 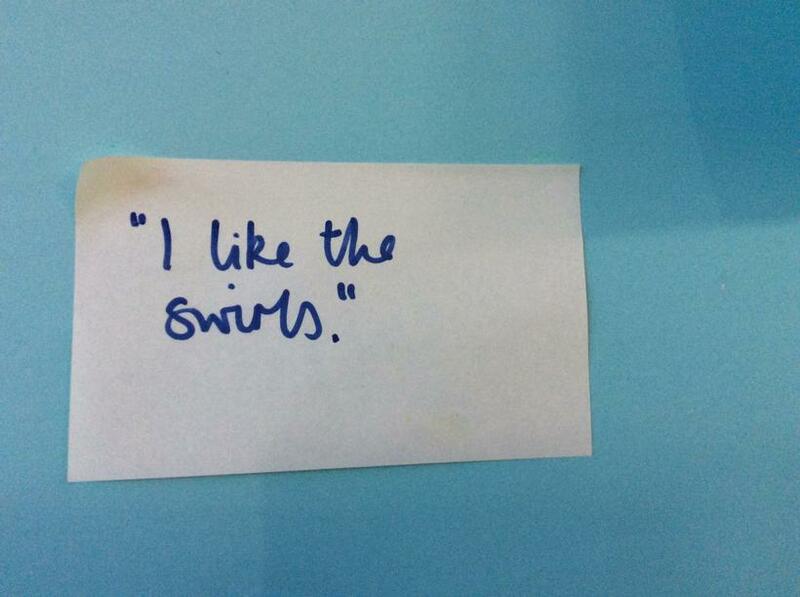 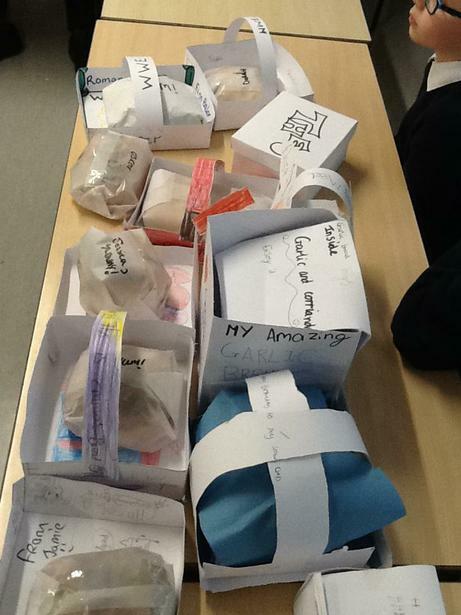 We ate this in class along with our friends and evaluated it together, choosing one to make into our final design. 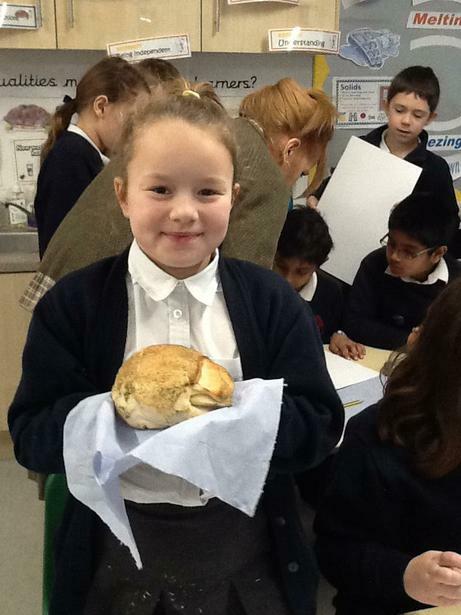 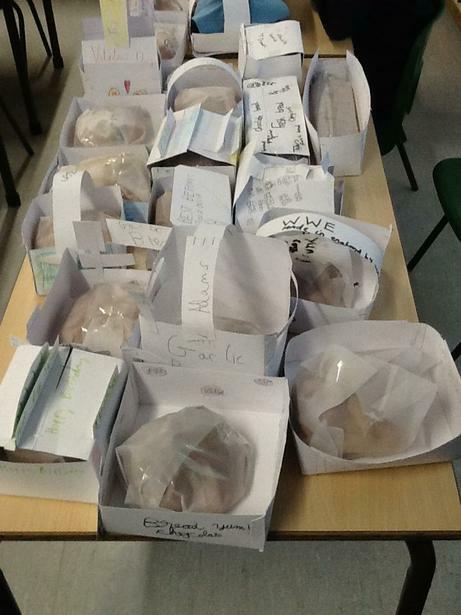 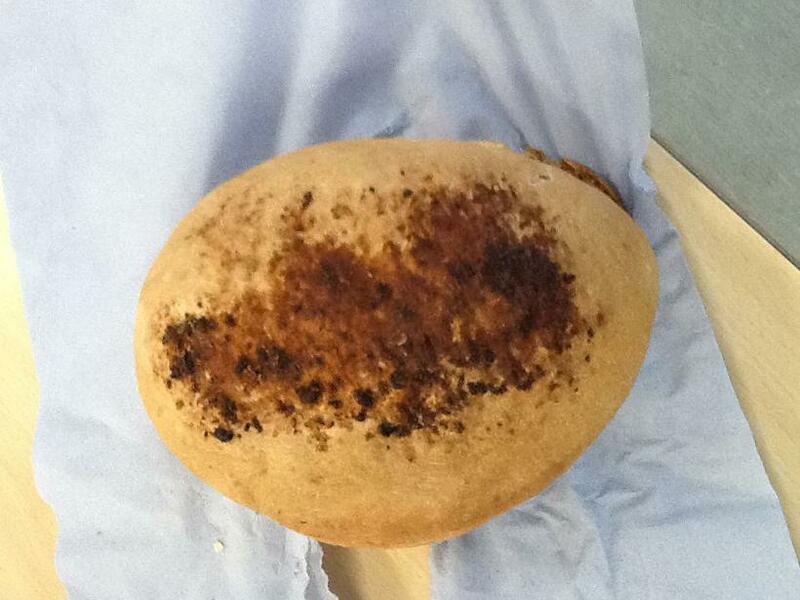 We then made our own bread from scratch and then made packaging to be able to get it home safely! 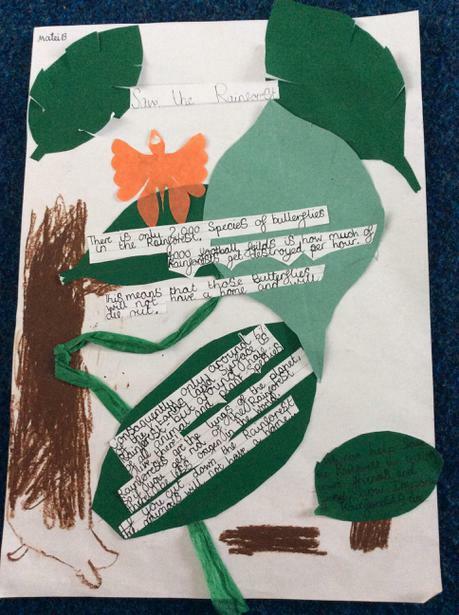 We have been learning how to write persuasively in Literacy. 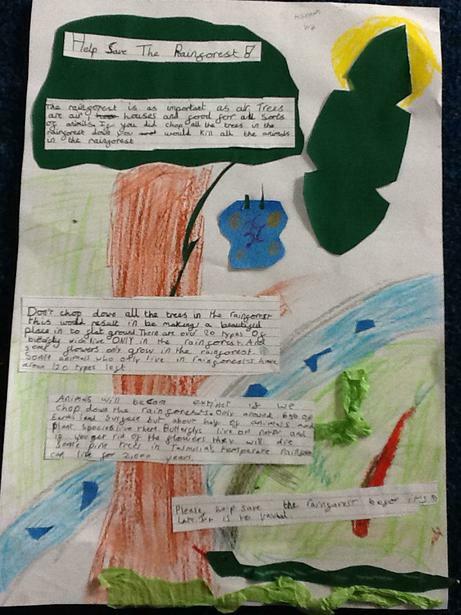 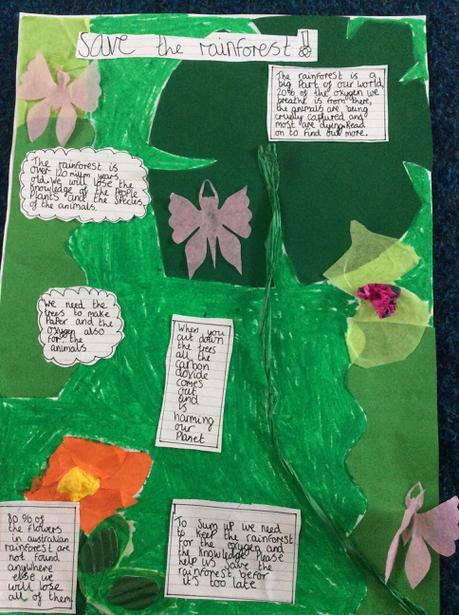 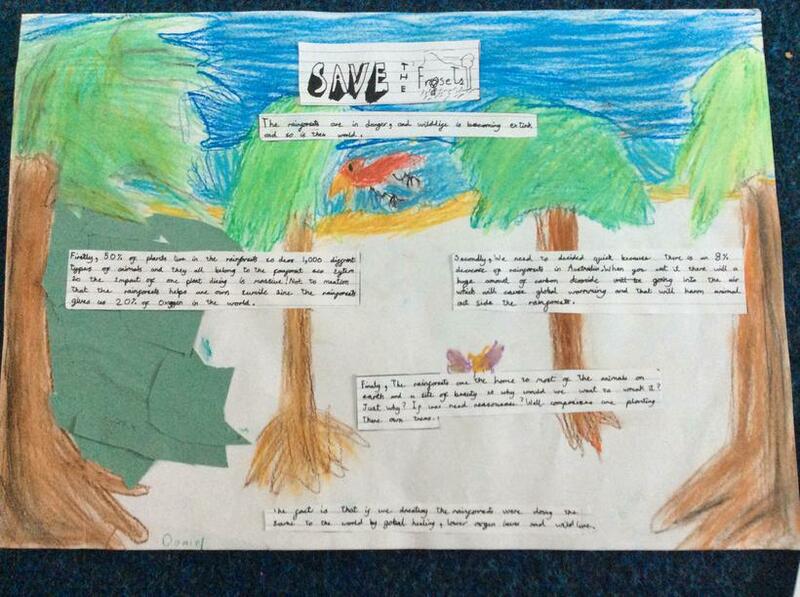 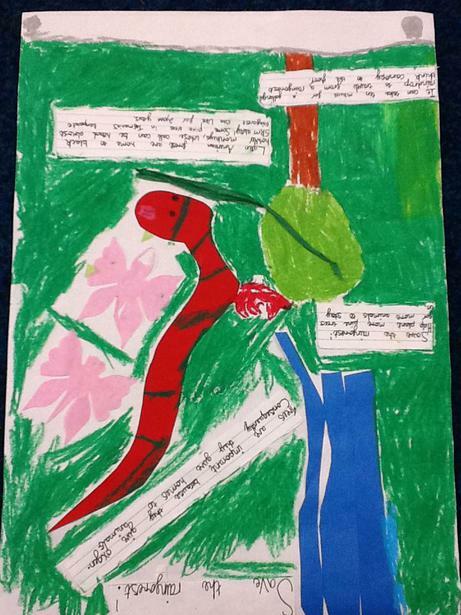 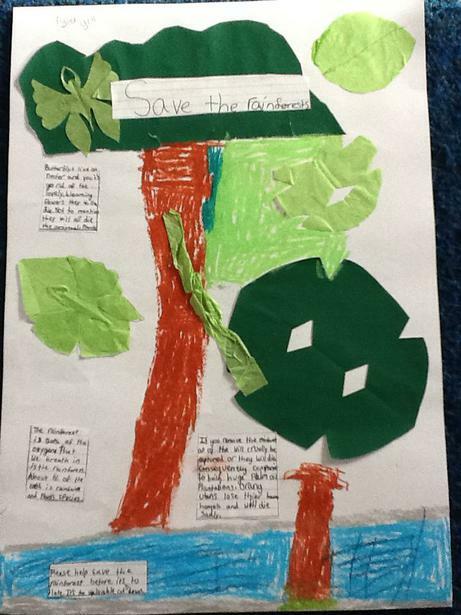 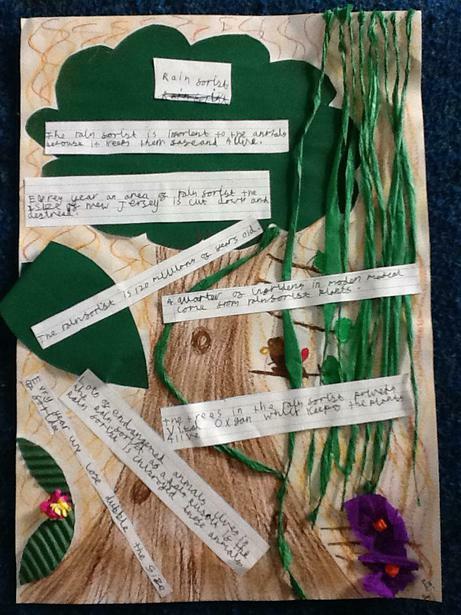 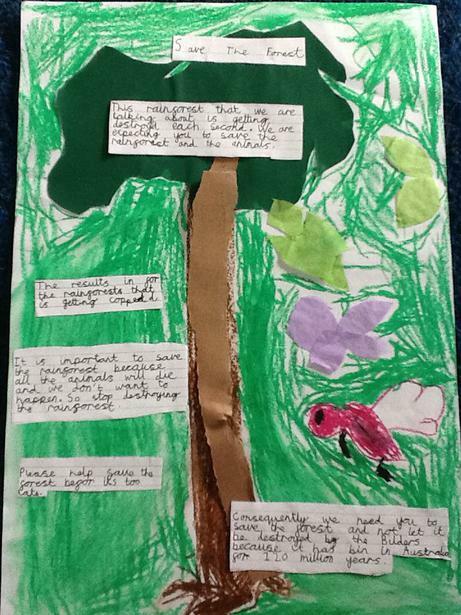 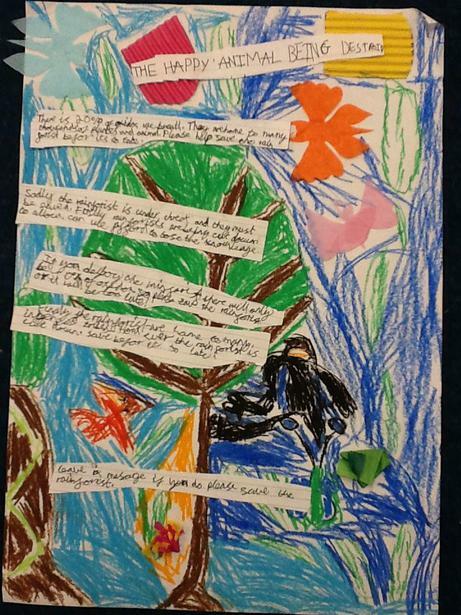 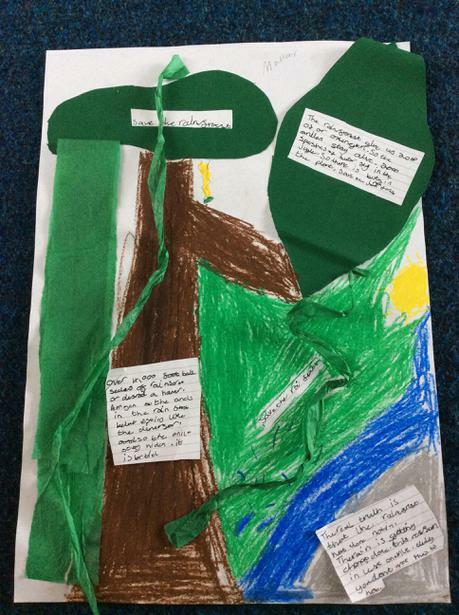 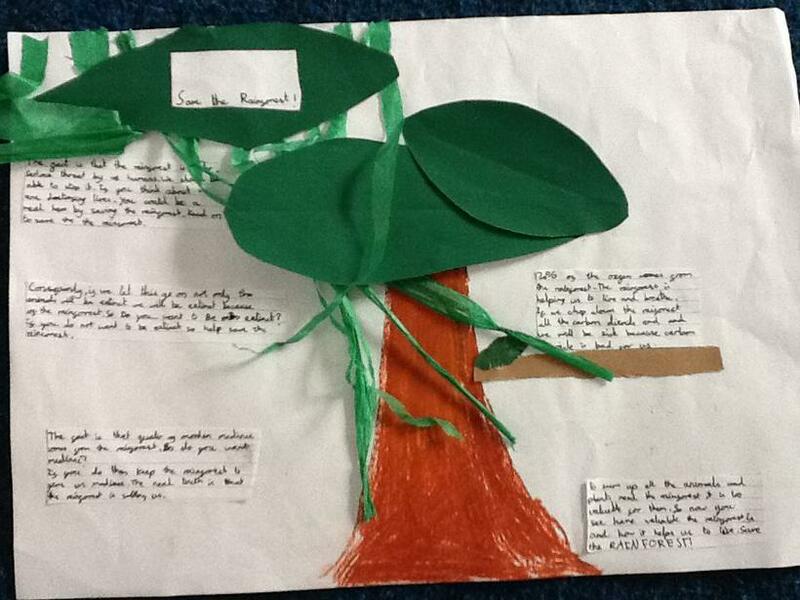 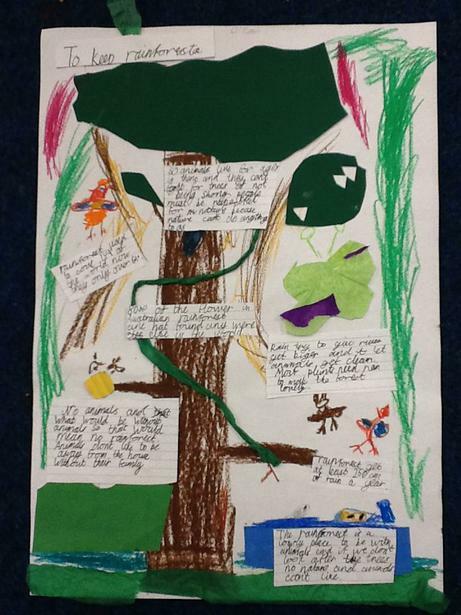 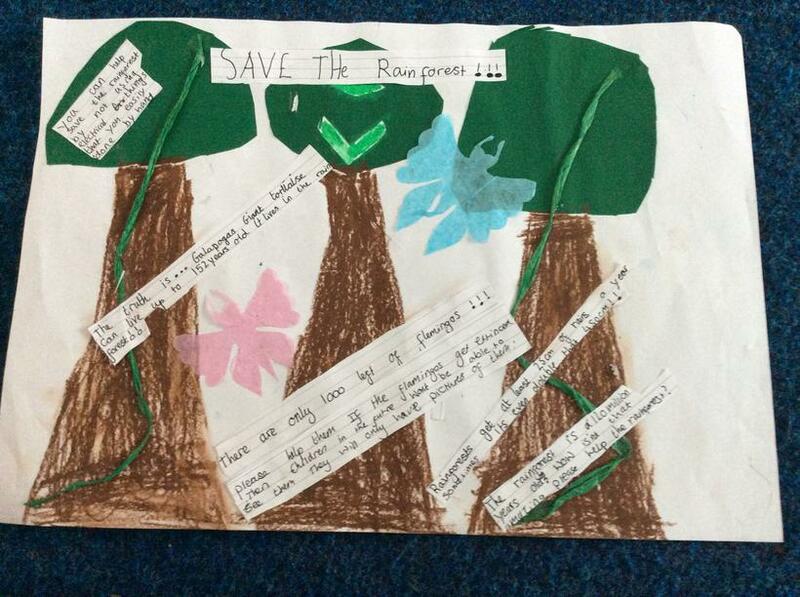 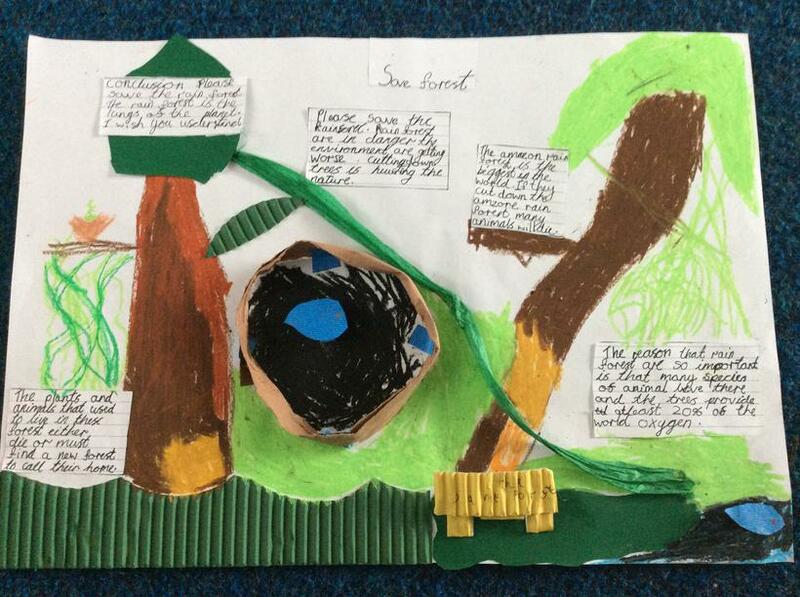 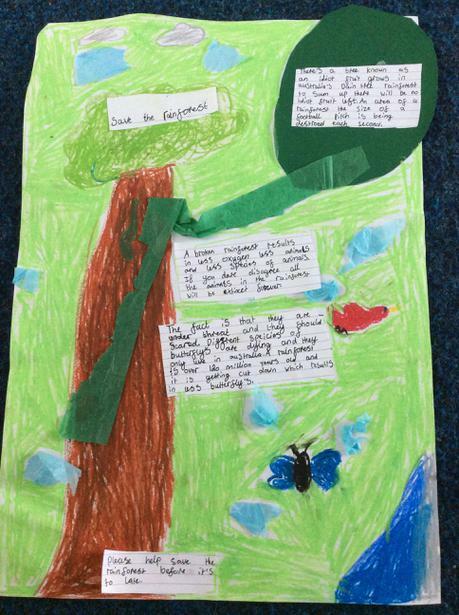 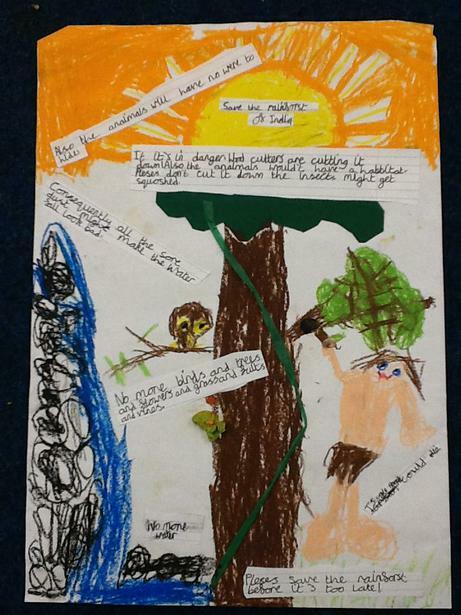 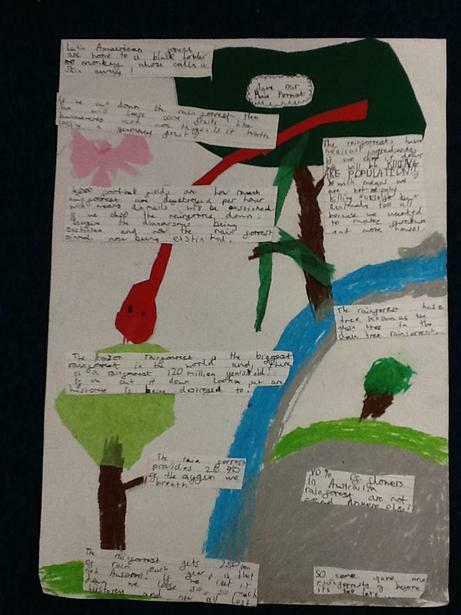 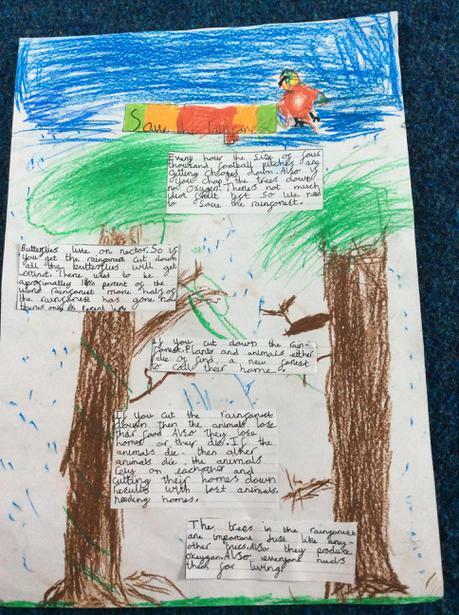 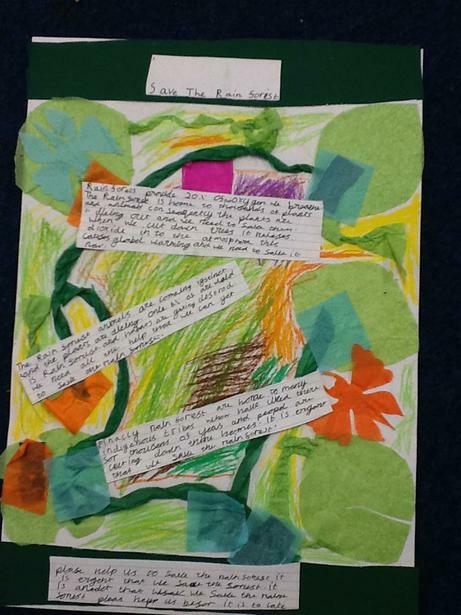 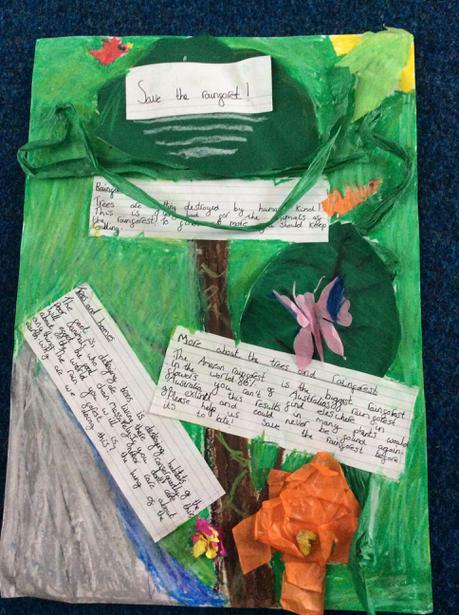 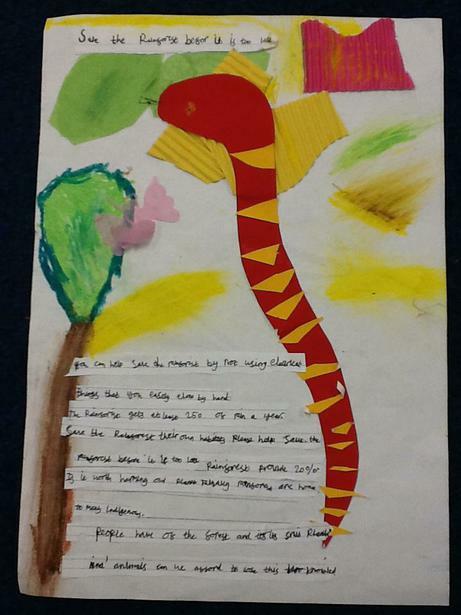 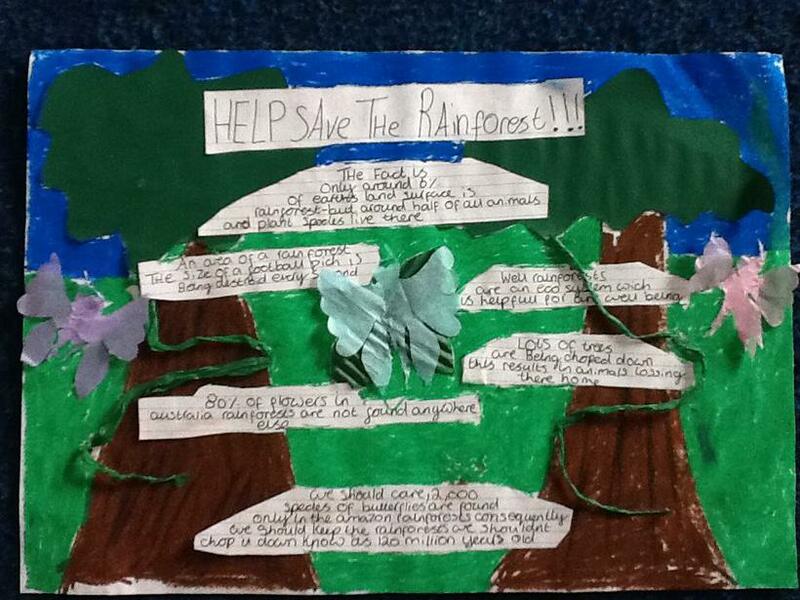 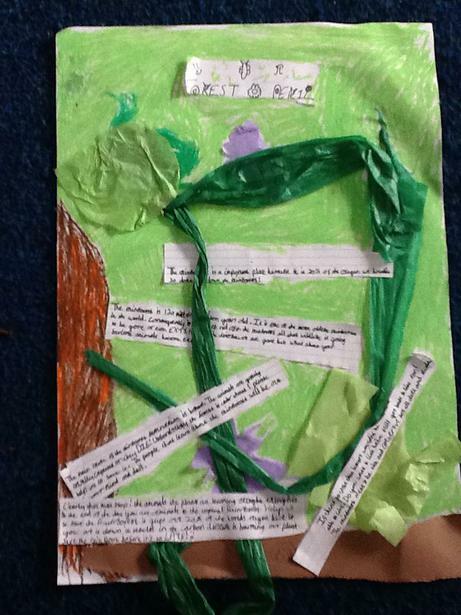 Our topic at the moment is Australia and we have linked our Literacy to this, writing about the rainforests. 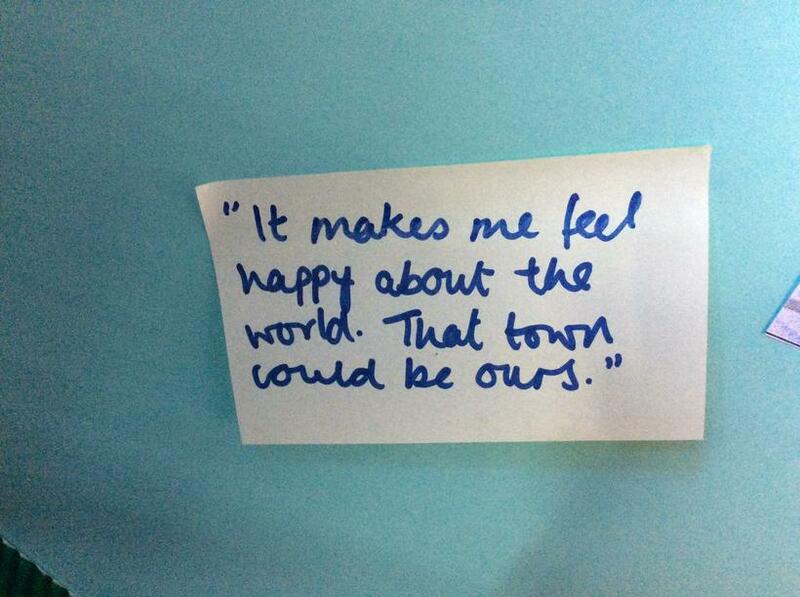 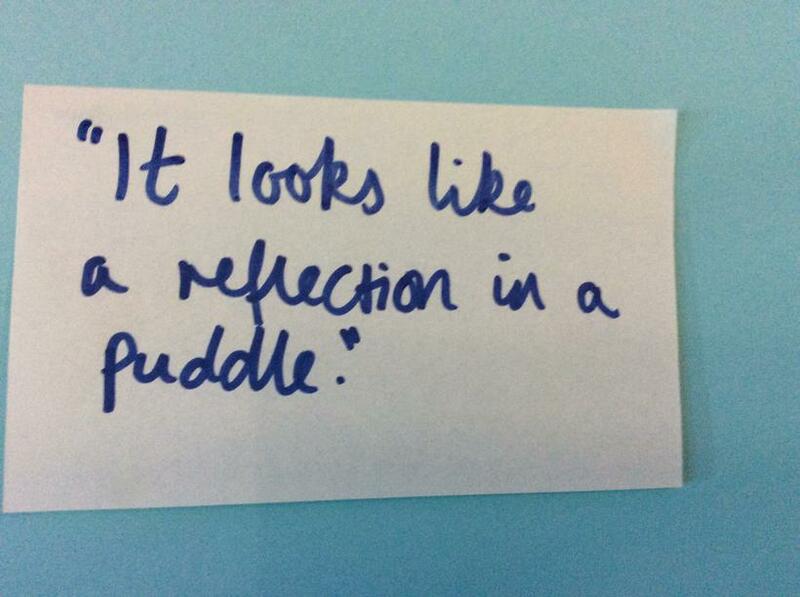 This week we have had a real focus on this year's anti-bullying theme, "Power for Good". 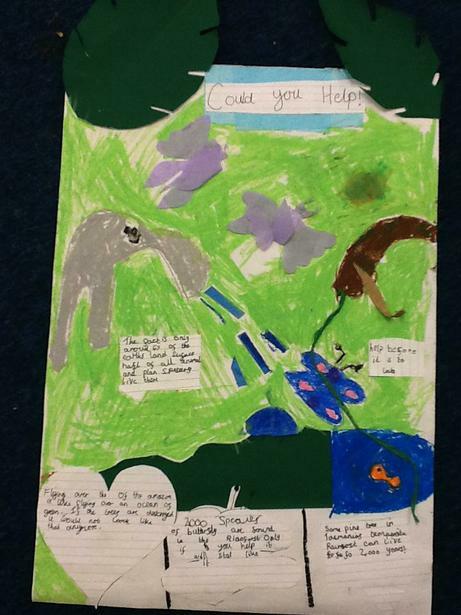 We have used superheroes as our inspiration, thinking about what 'powers' we can all use to prevent bullying. 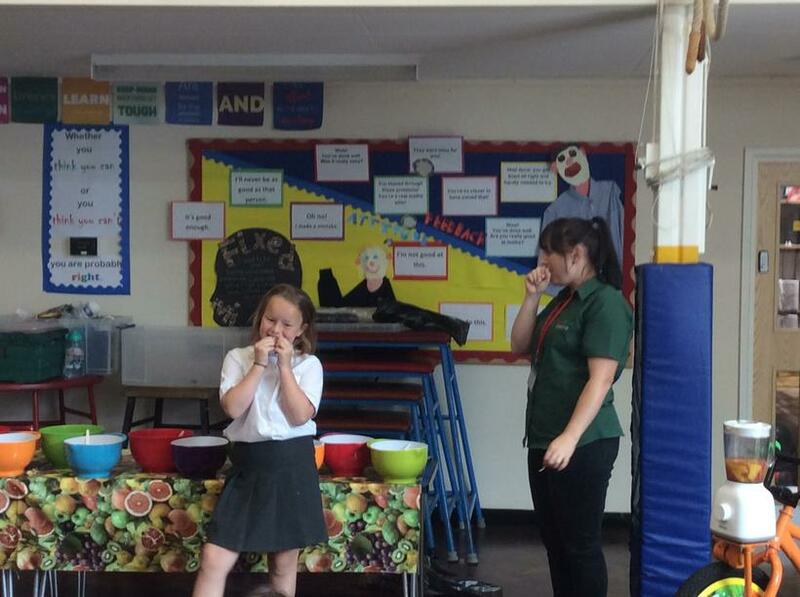 We really enjoyed our dance workshop on Thursday- we loved jiving! 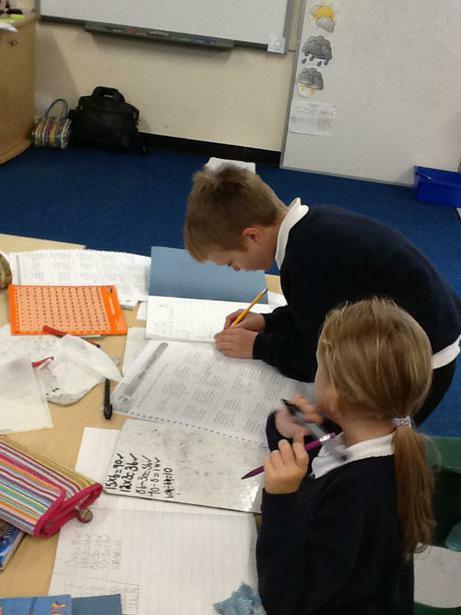 We have been doing lots of number work this week in maths. 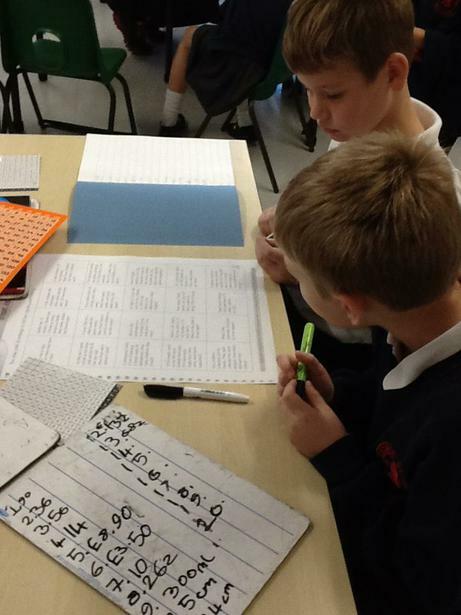 We've been using bead strings, number lines, place value sliders and base ten to help us. 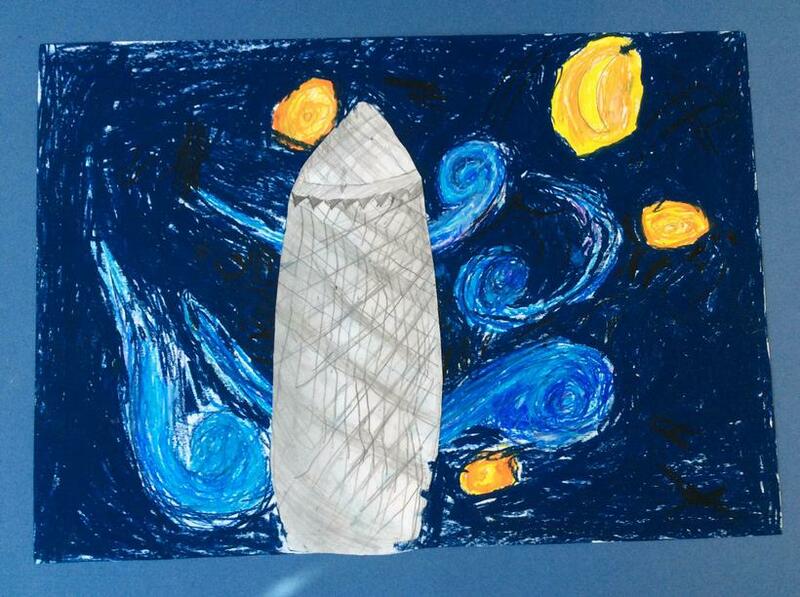 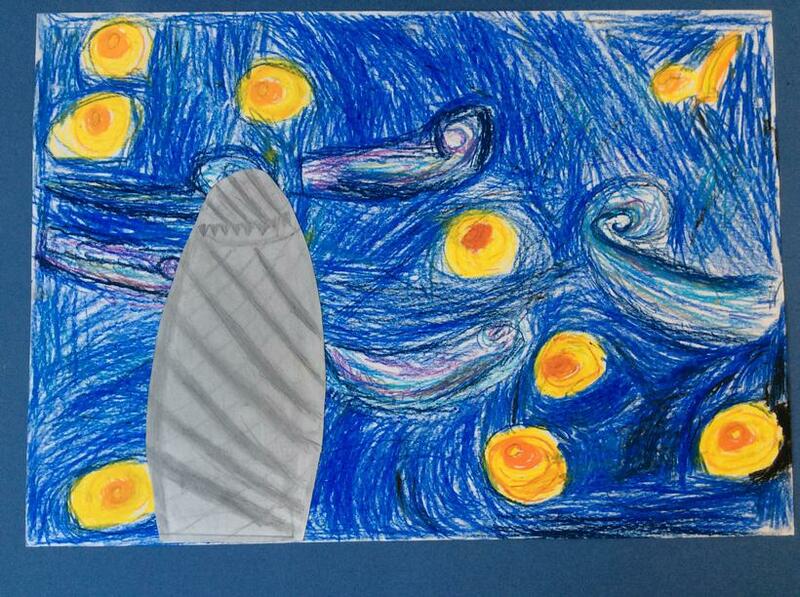 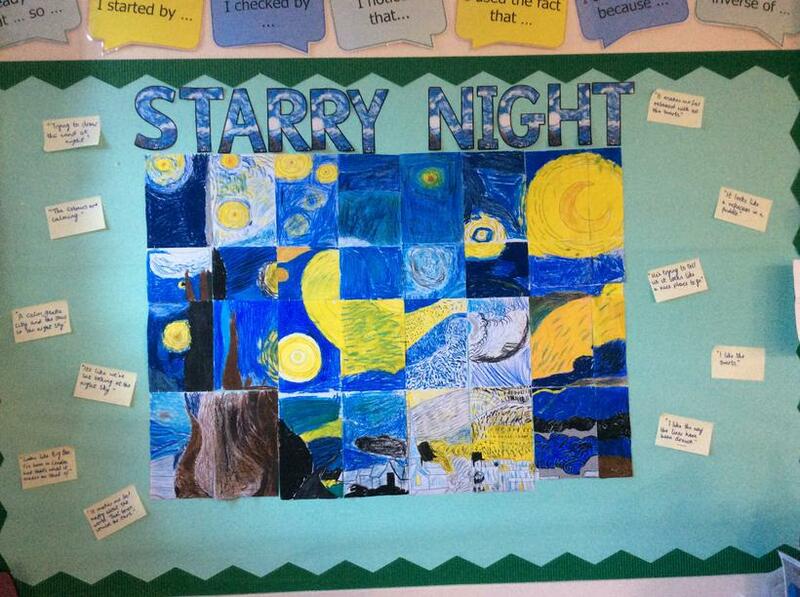 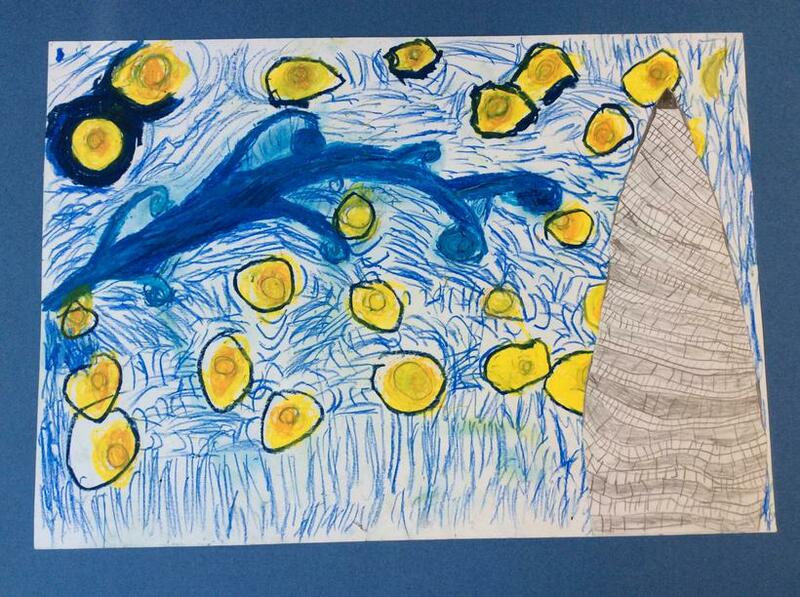 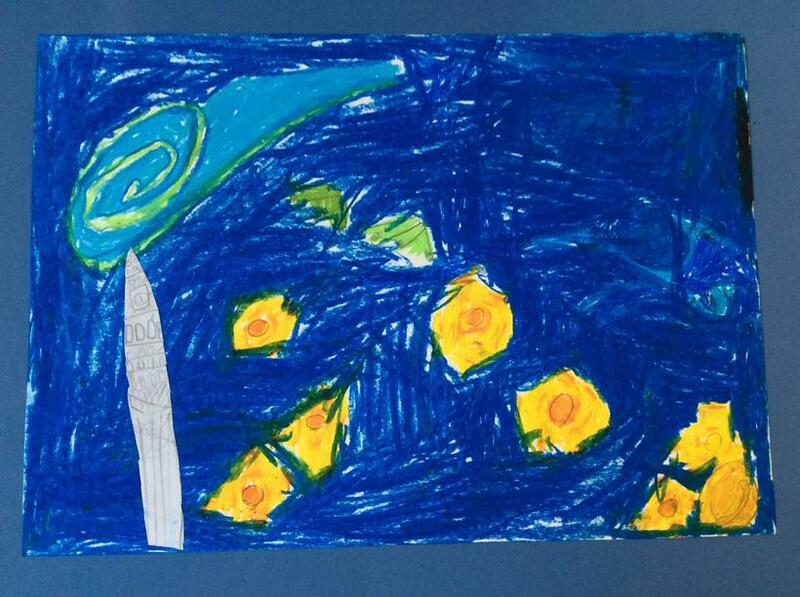 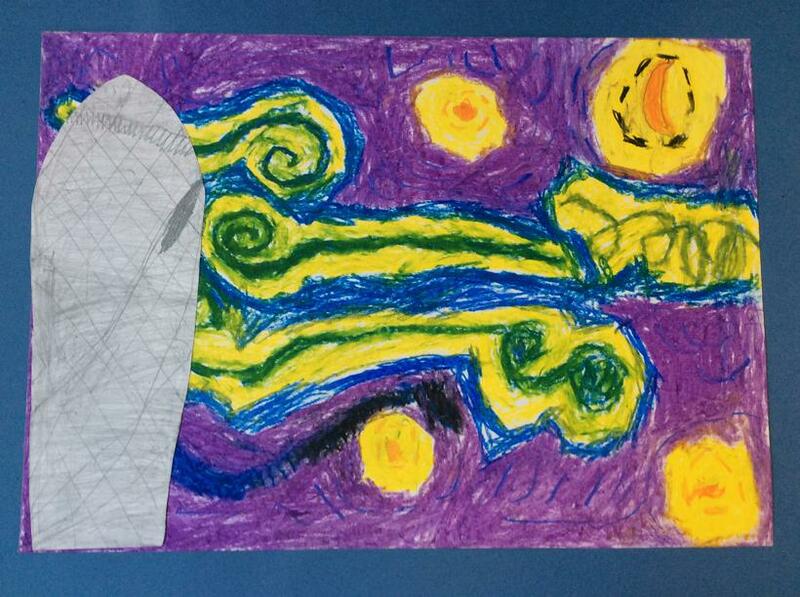 We all did some sewing, thinking about our starry night. 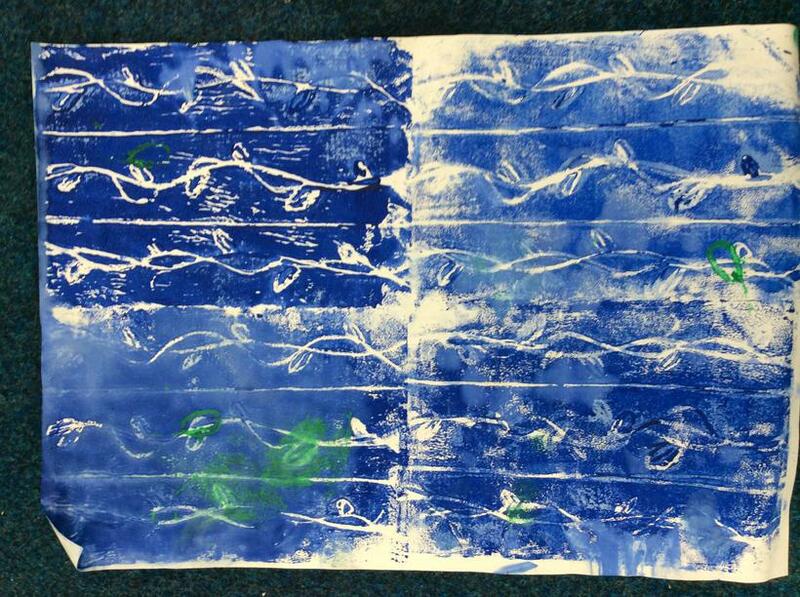 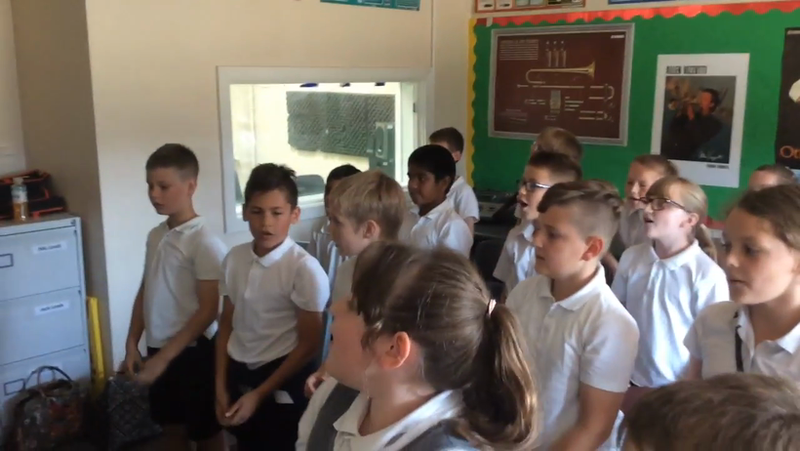 Every class has done this and they will all be joined to make a whole school piece! 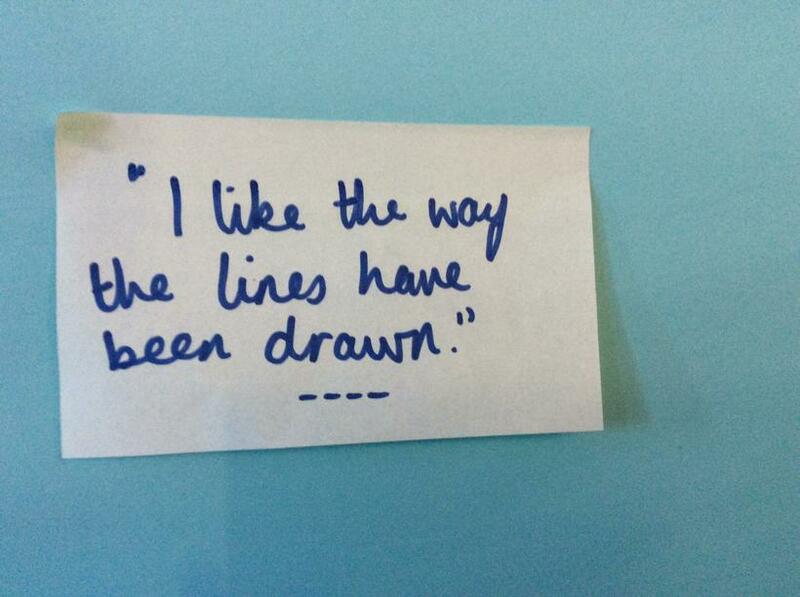 We have been looking at lines and shading techniques while we have been sketching. 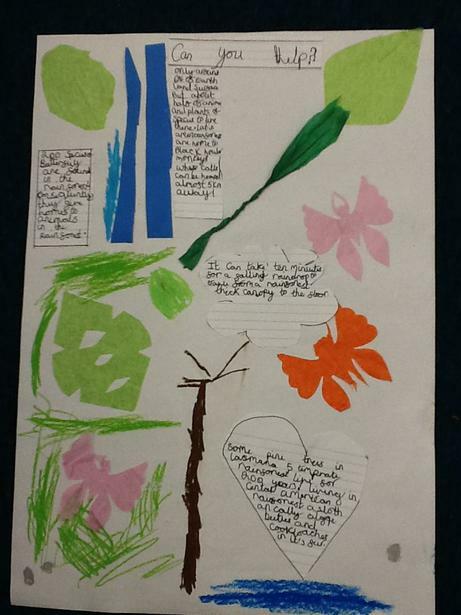 We have visited St Mary's Church and to develop our observation and sketching skills. 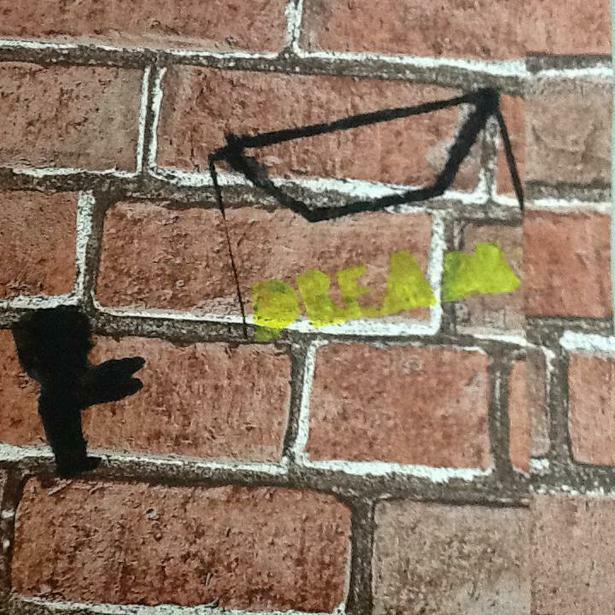 We will be applying these skills to some other buildings later in the week. 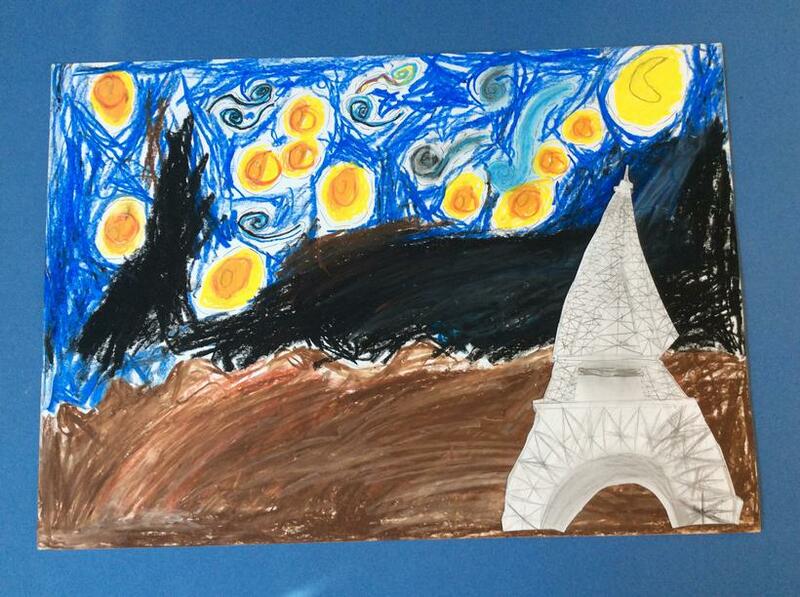 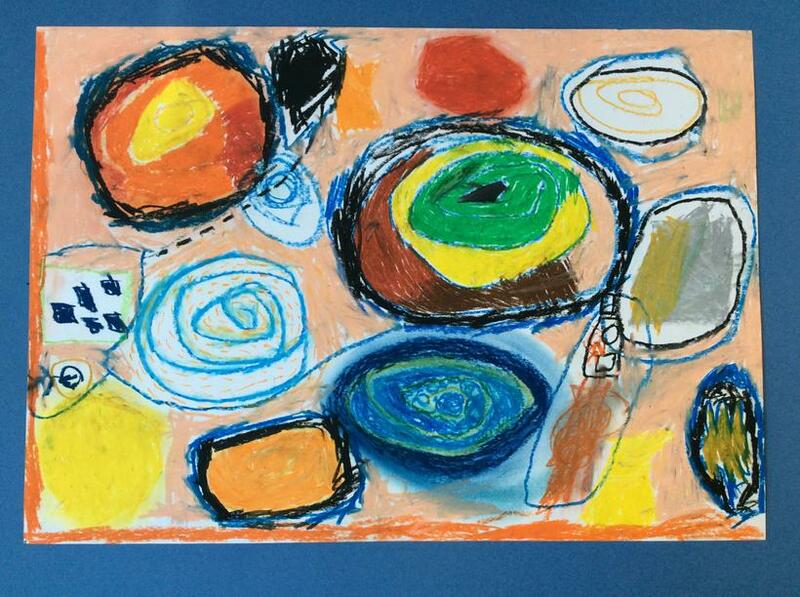 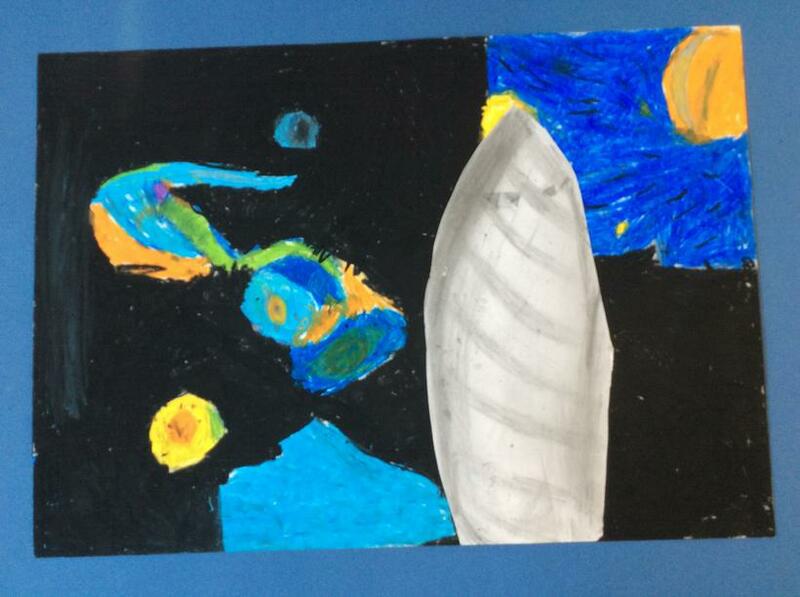 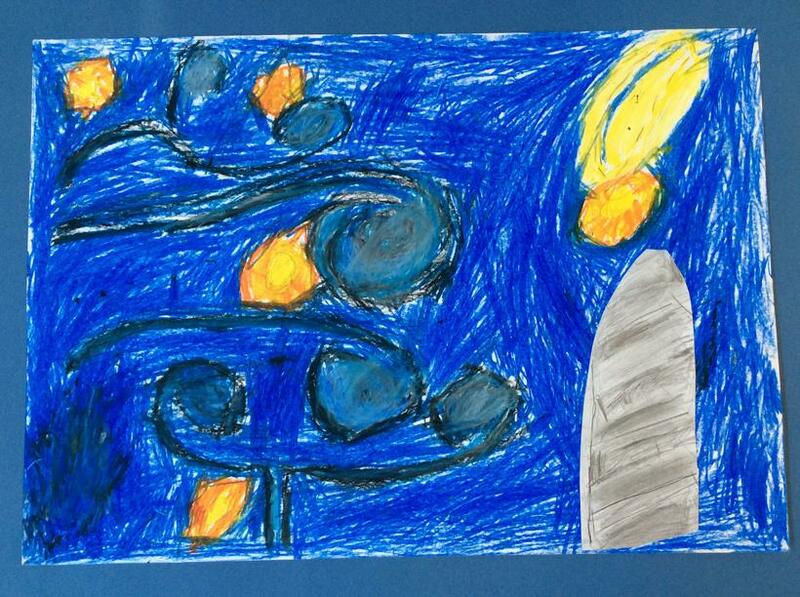 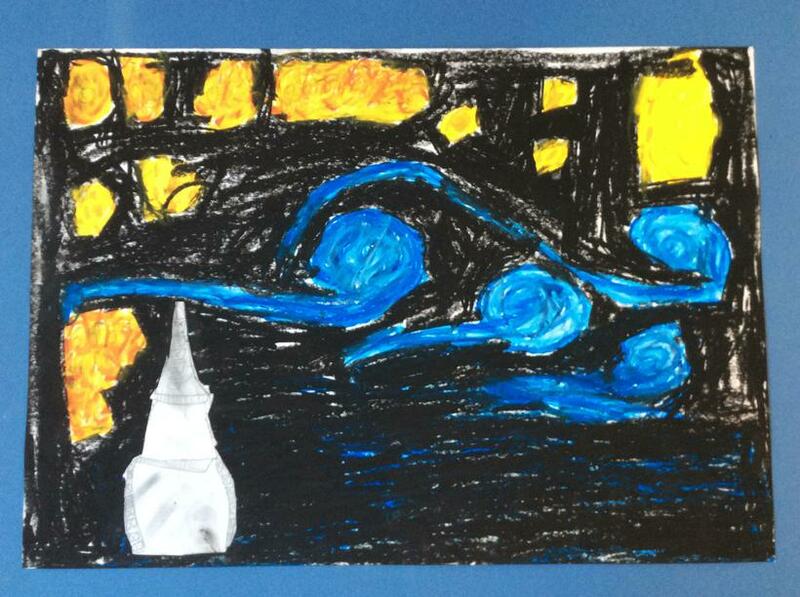 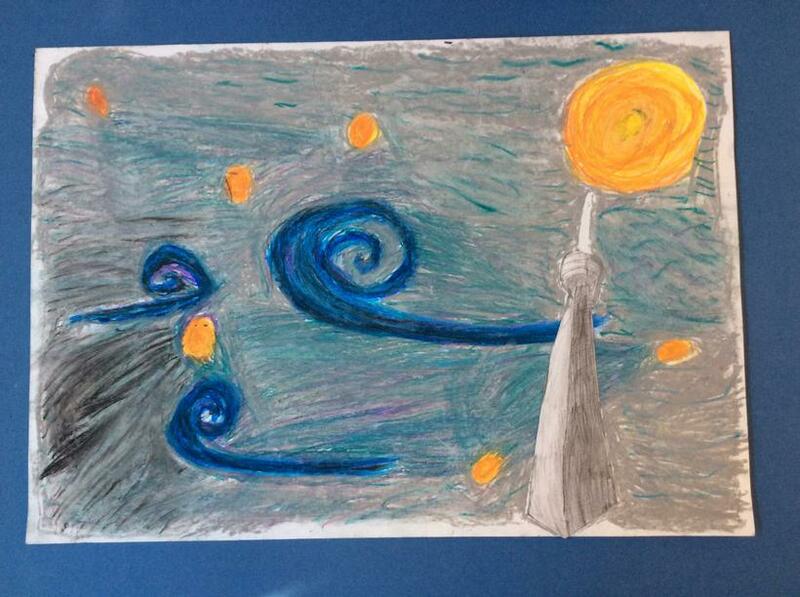 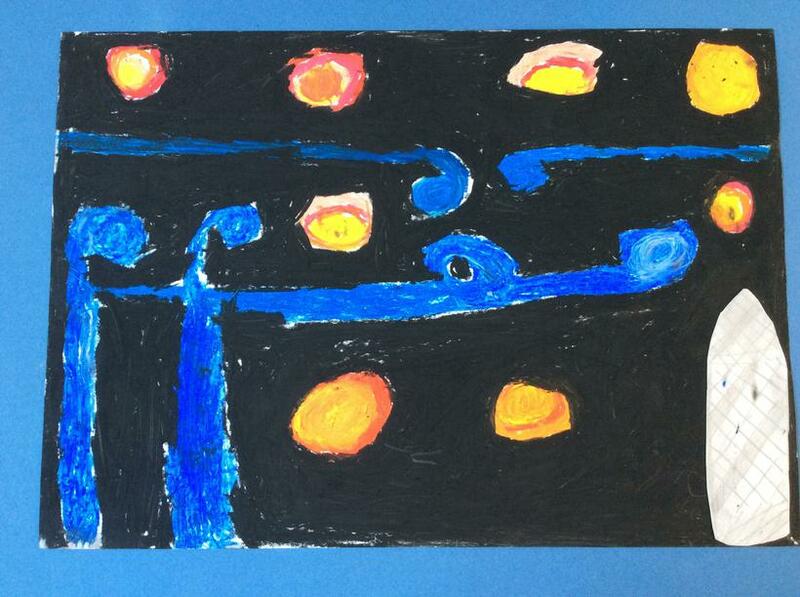 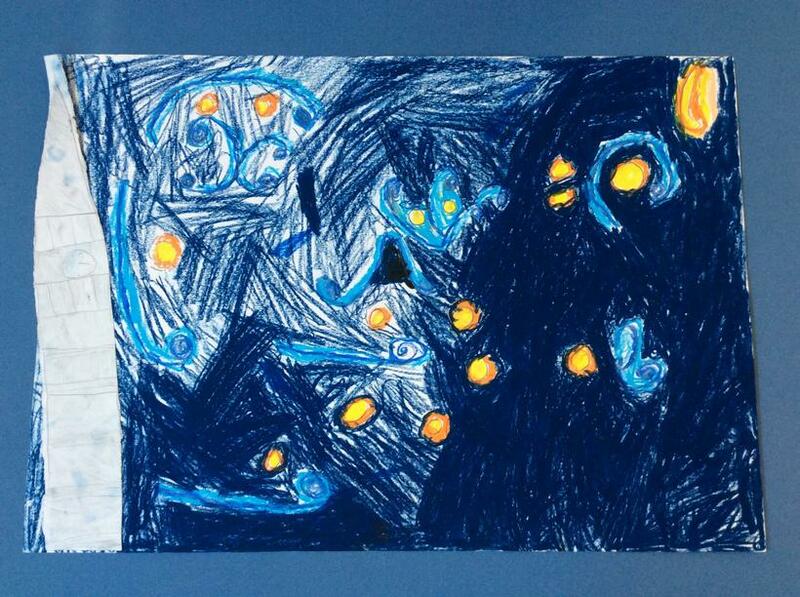 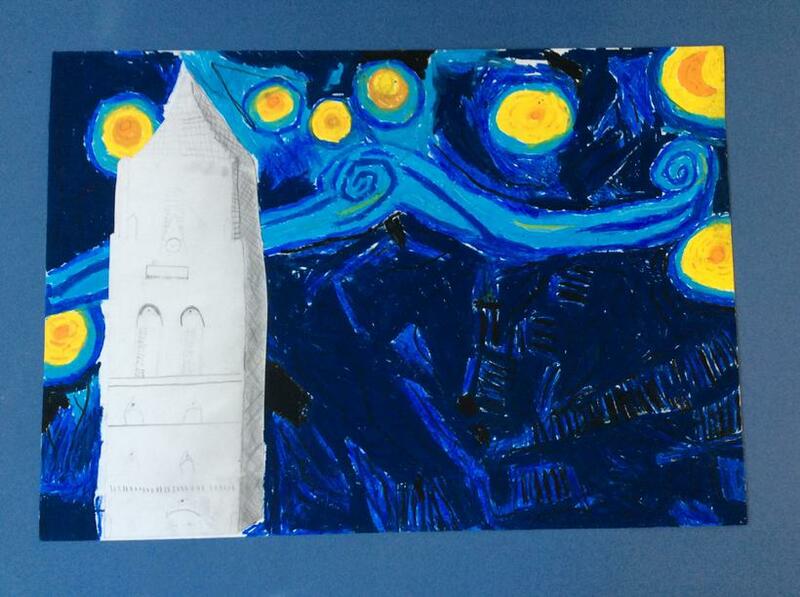 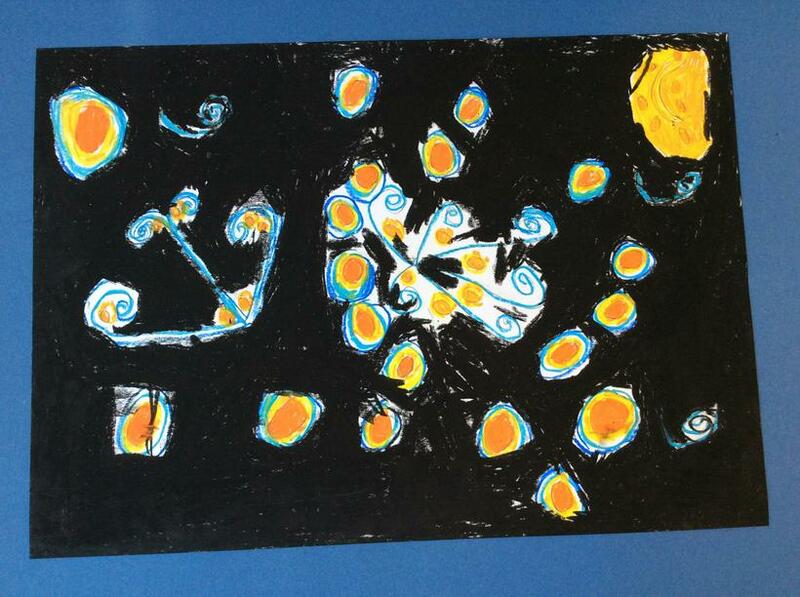 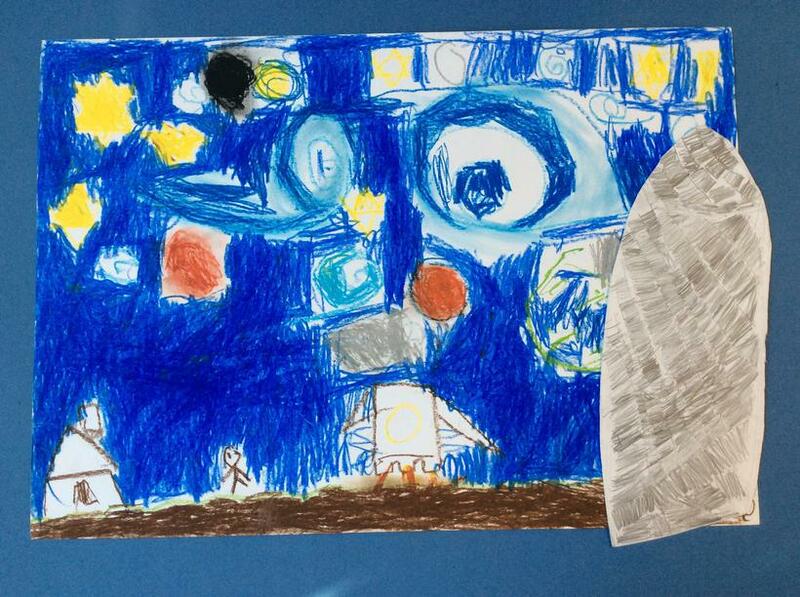 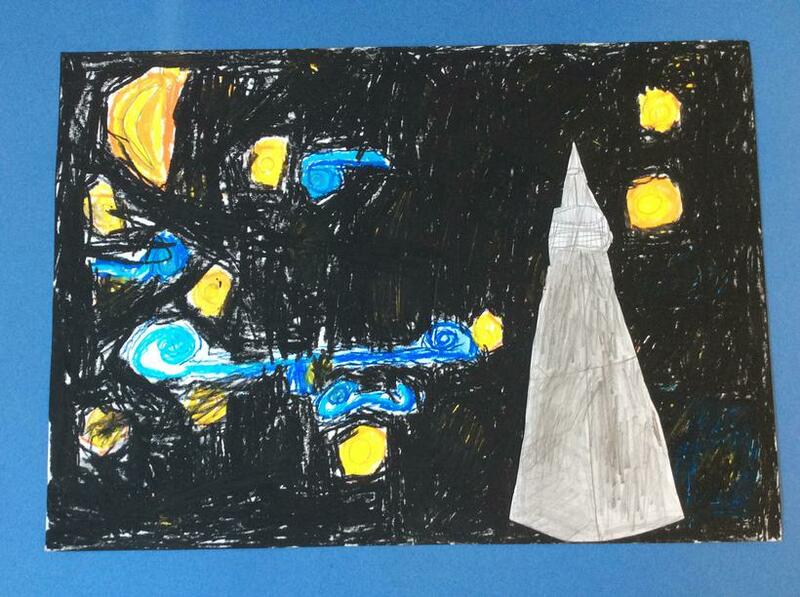 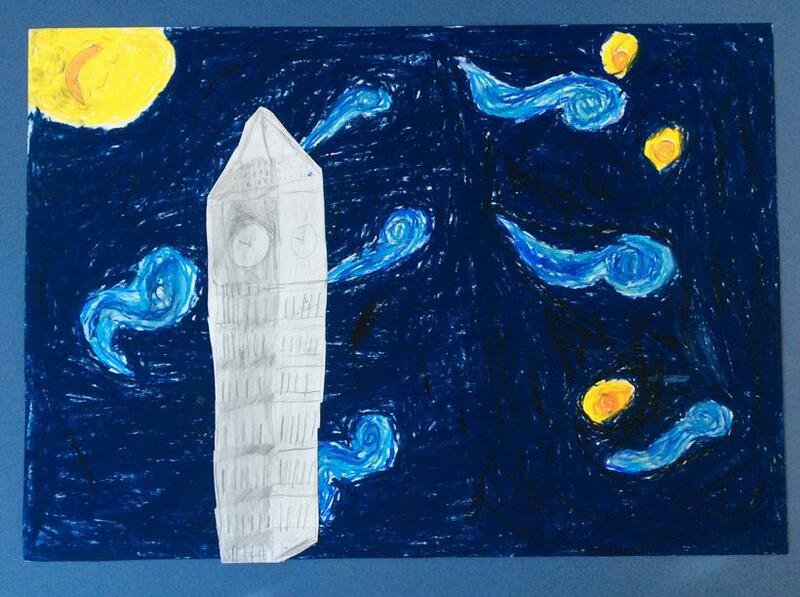 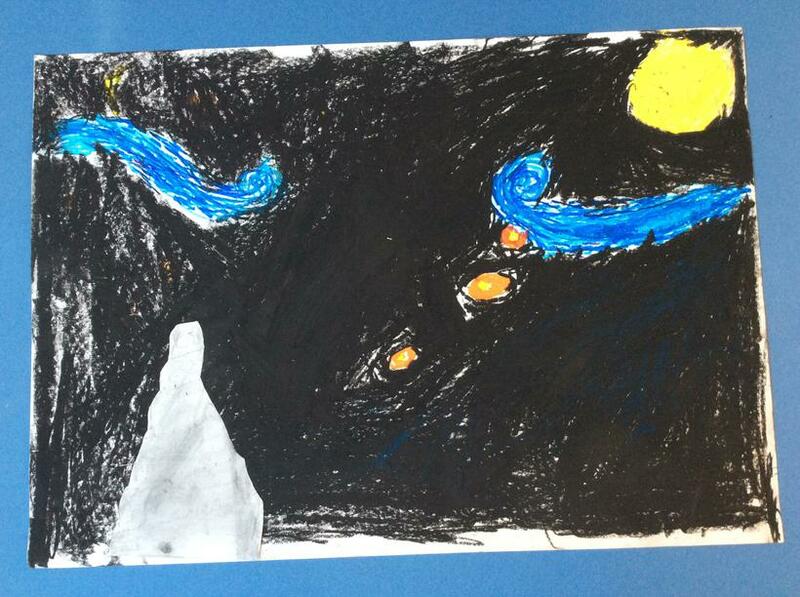 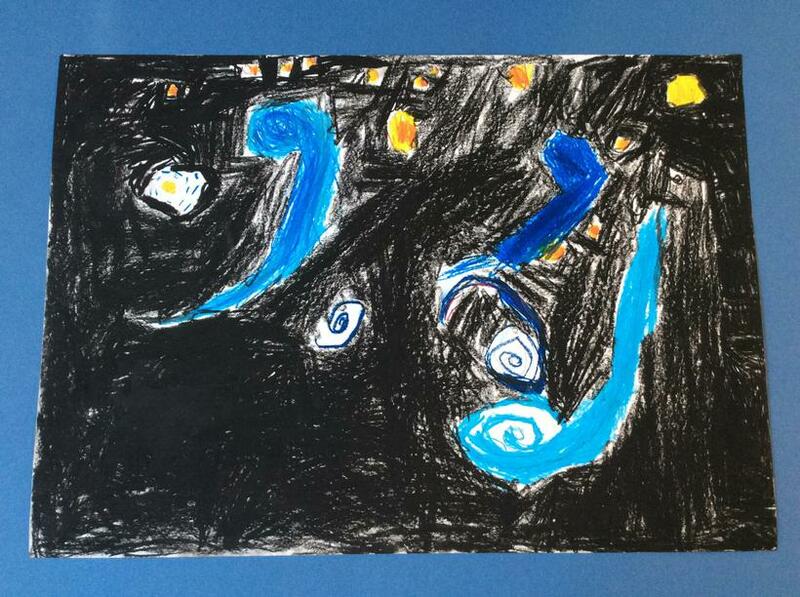 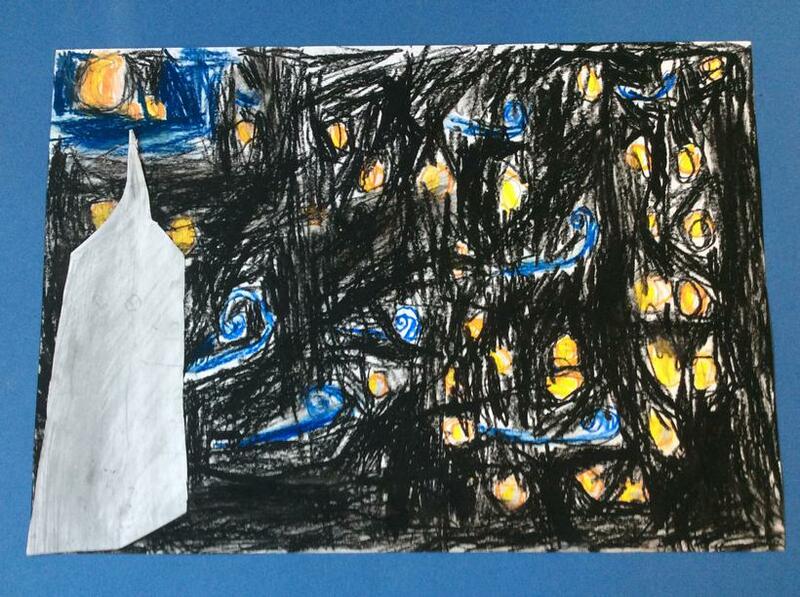 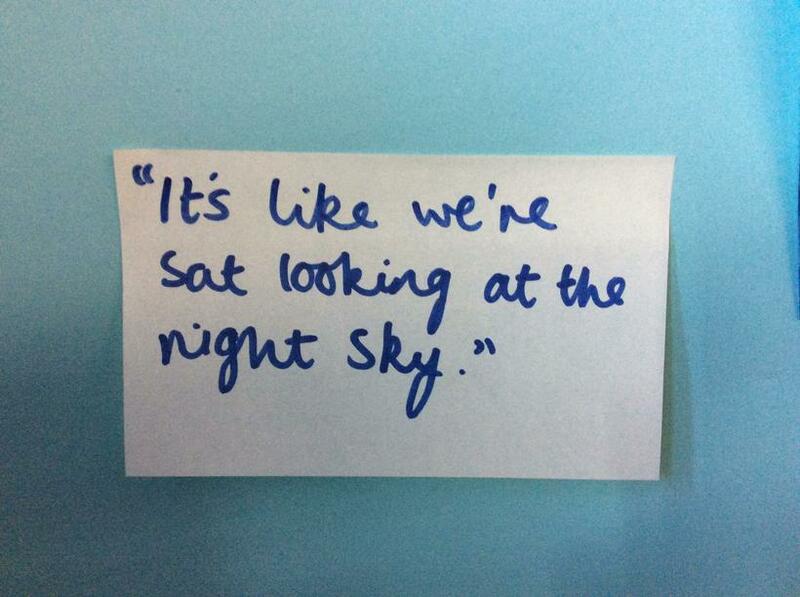 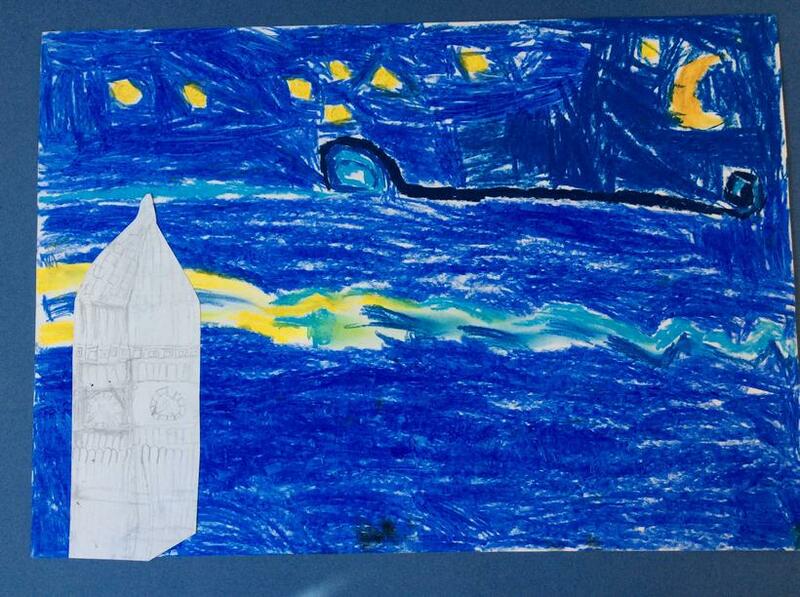 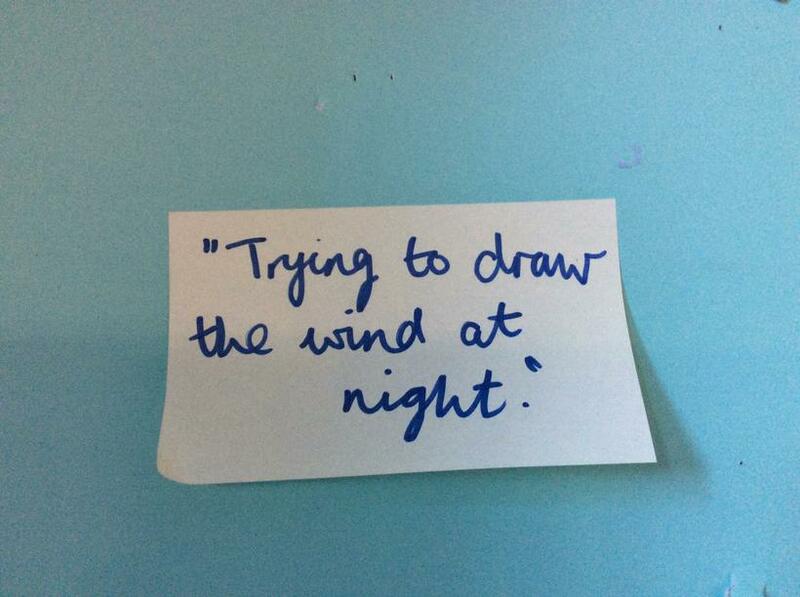 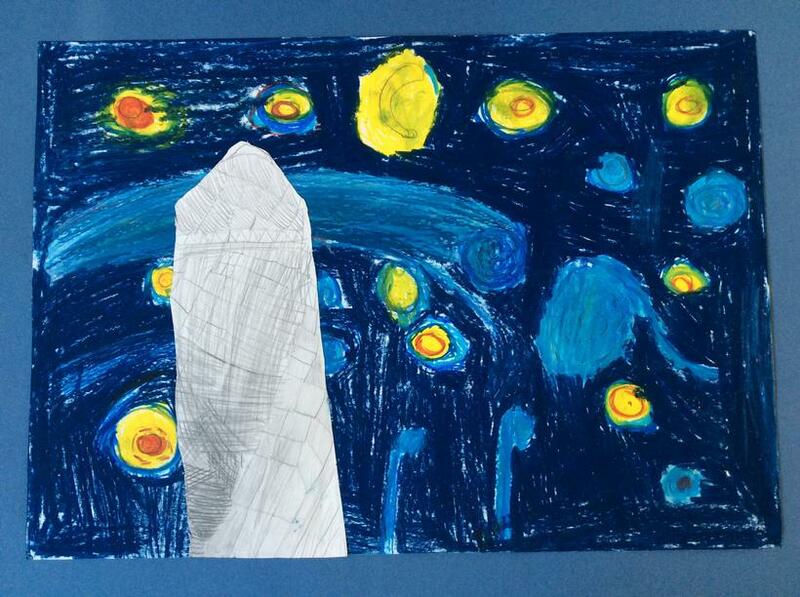 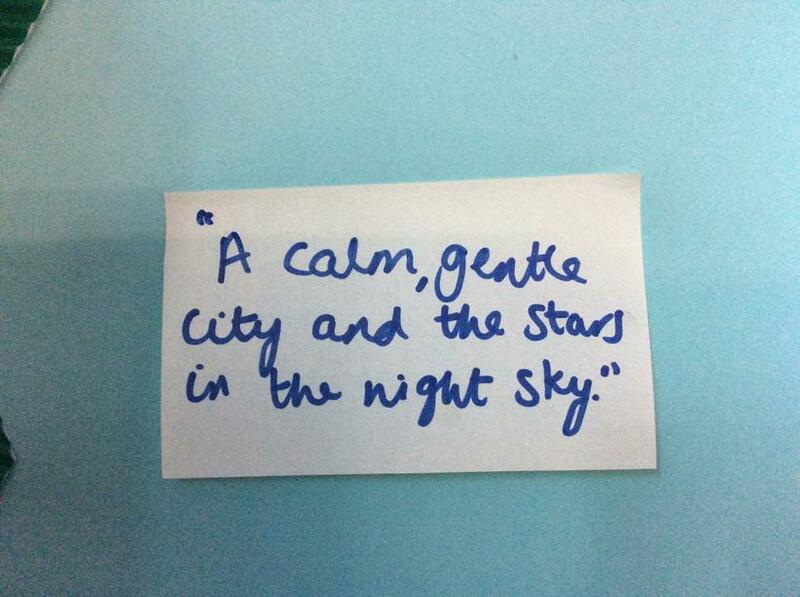 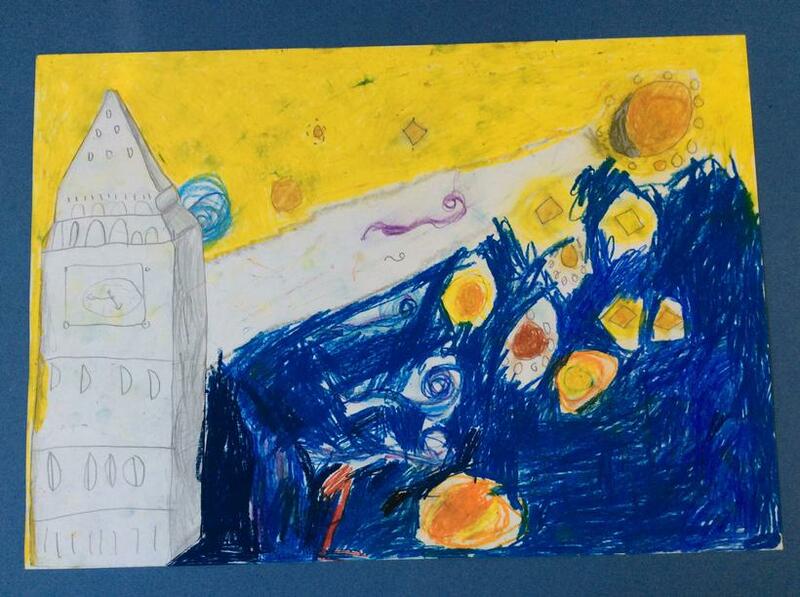 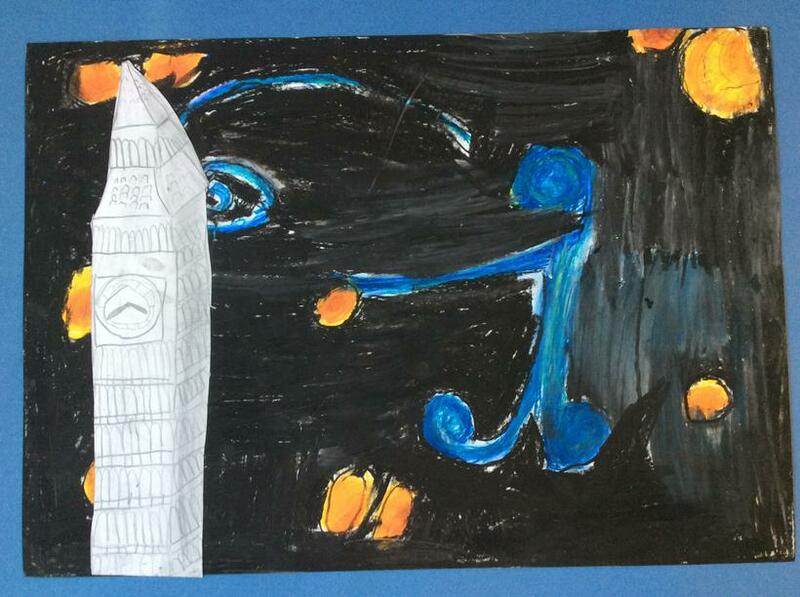 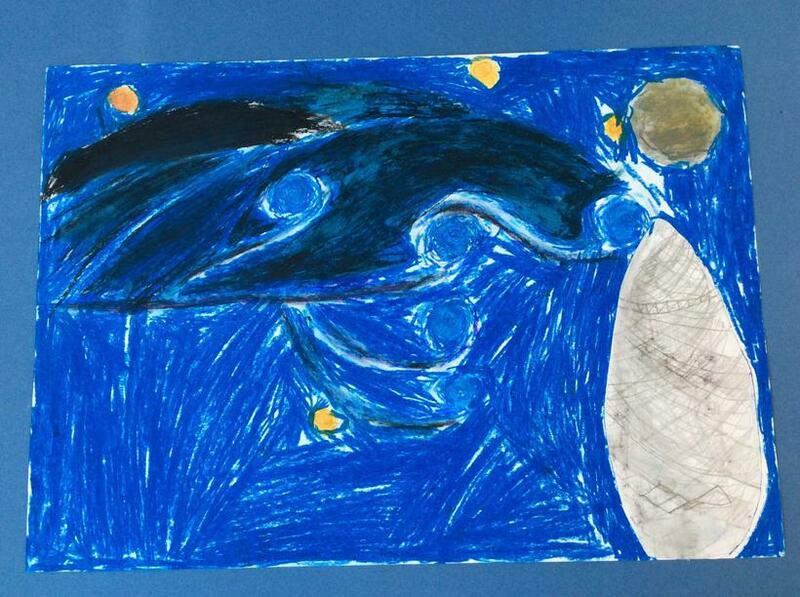 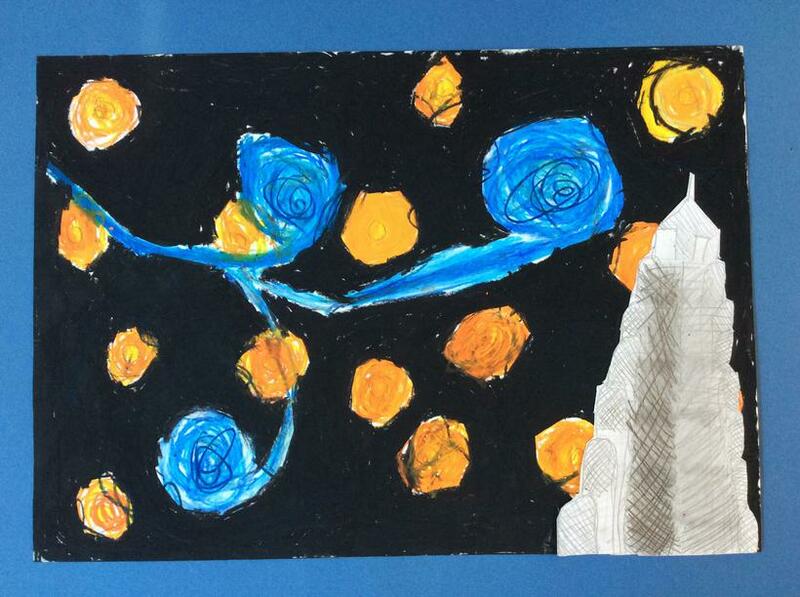 We've kicked off our art week by looking at our focus piece, 'Starry Night'. 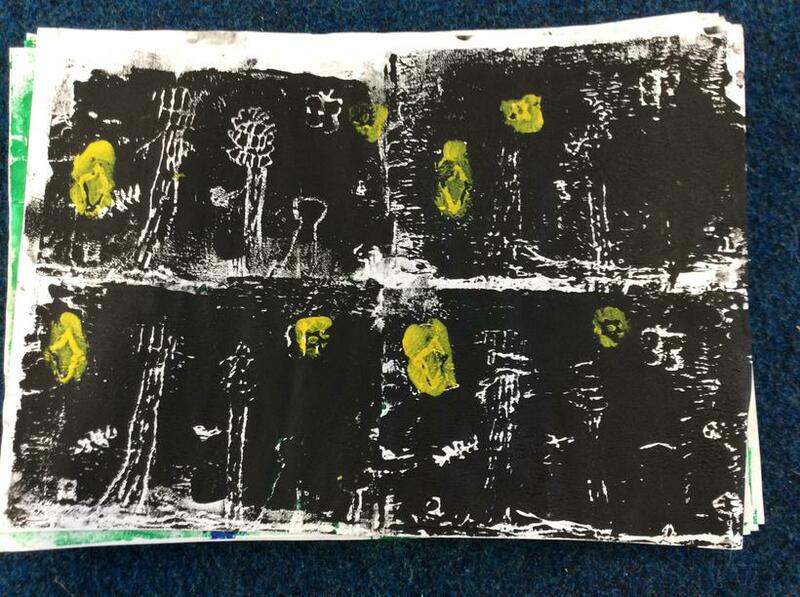 We've used our careful observation skills to study the painting; used oil pastels to recreate in to make a whole class piece and have begun to shape our own pieces inspired by it. 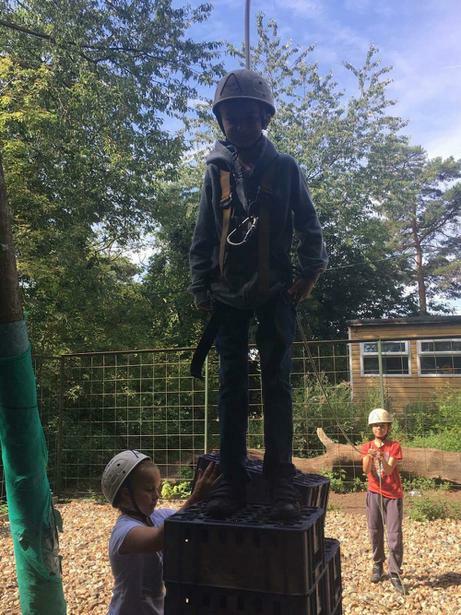 All in a day! 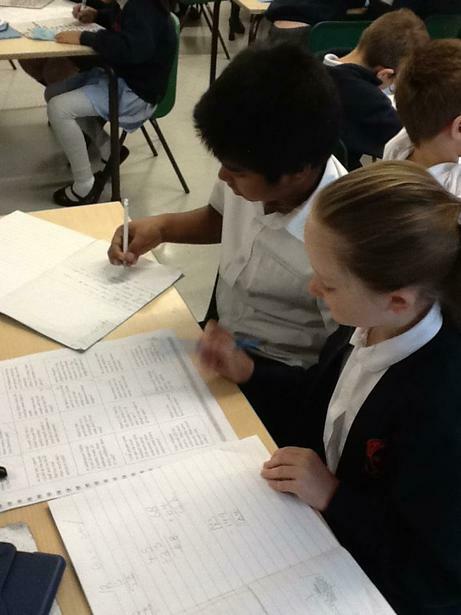 We have been applying our maths knowledge and using our problem solving skills this week! 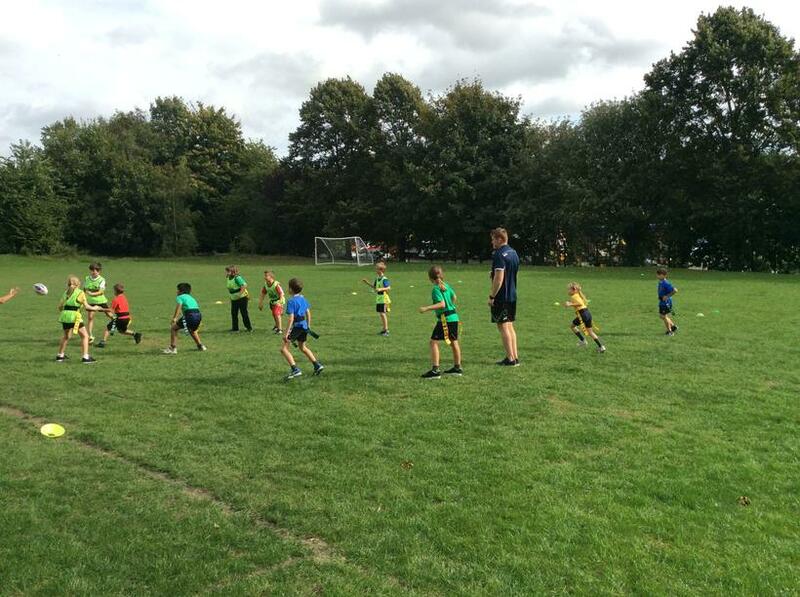 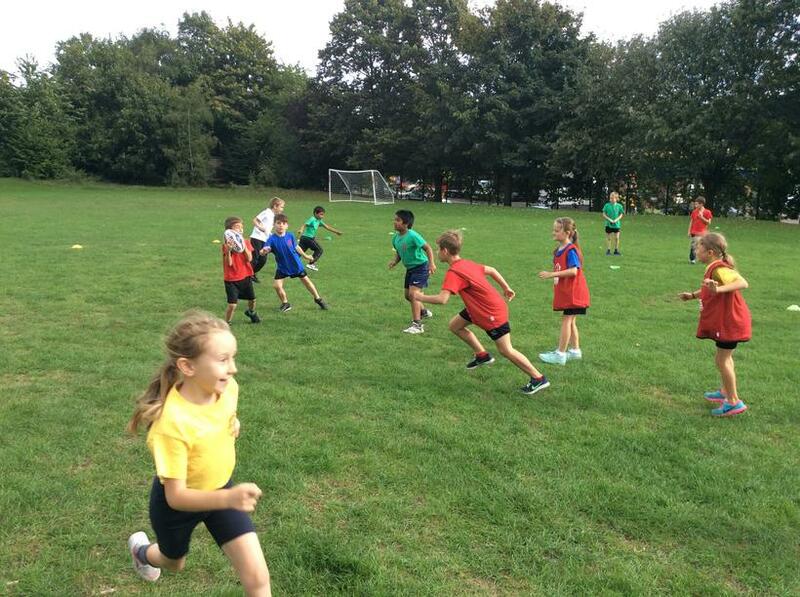 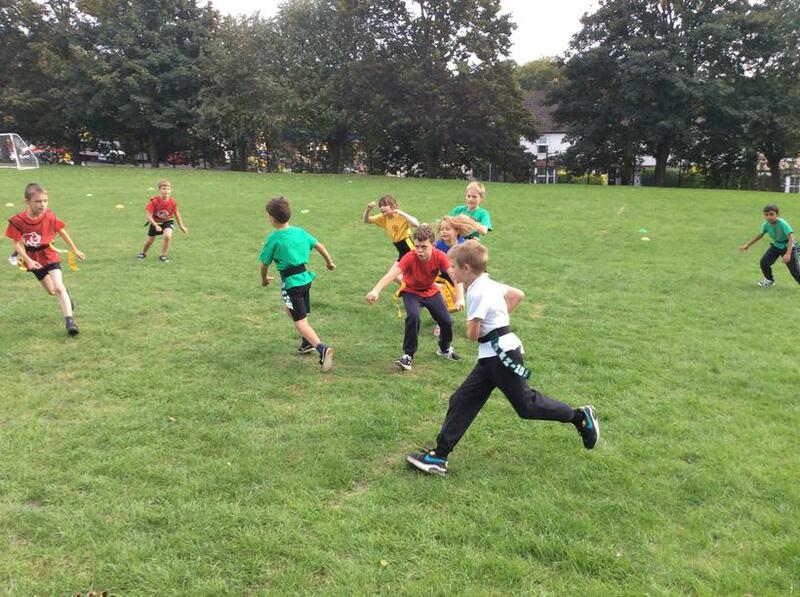 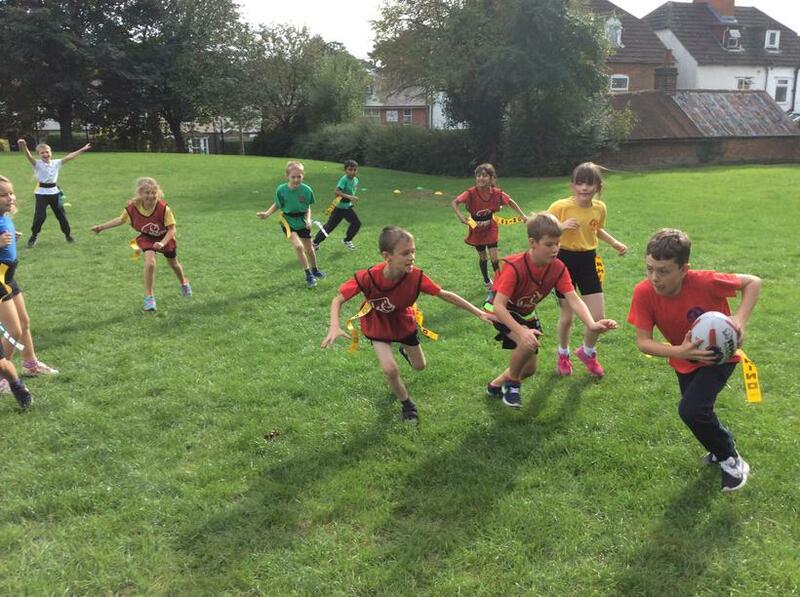 In PE we have been lucky enough to have a Hemel Stags coach teach us rugby this term.